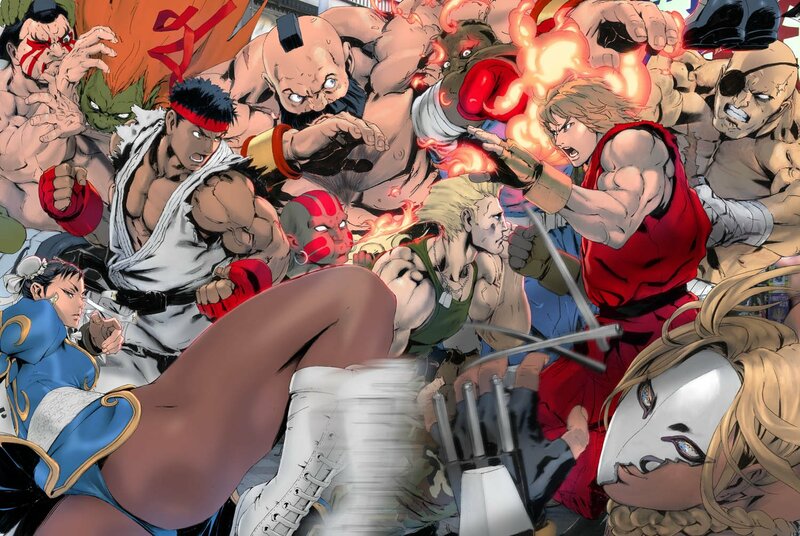 The Fighters Generation proudly presents "Fighting Game Artist Profiles"... a tribute to the legendary artists who have contributed immeasurably to the success of the fighting genre. 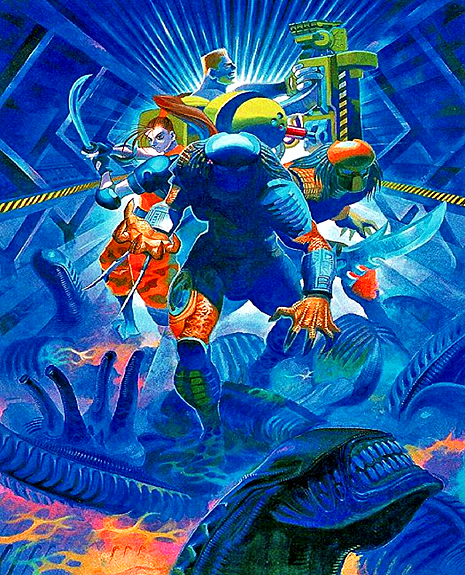 In the early 90's (and for many years to come), these artists blurred the line between "video game" and "art". 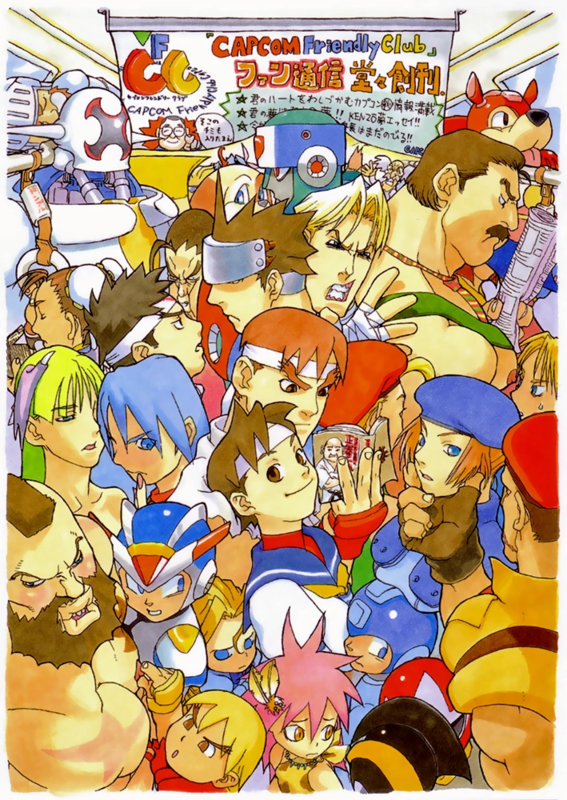 Countless character illustrations, beautiful promotional posters, and artwork filled with heart and expression would define the "image" of the fighting genre... in turn, providing an ever-growing interest, appreciation, and inspiration to fans that love fighting games and their characters. 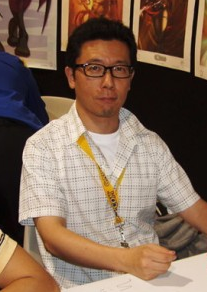 Toshiaki "Shinkiro" Mori was born December 14, 1962. 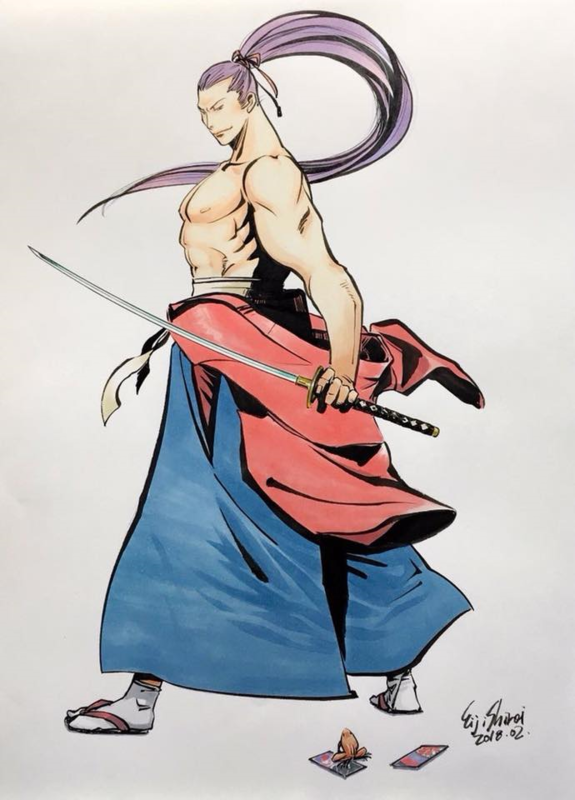 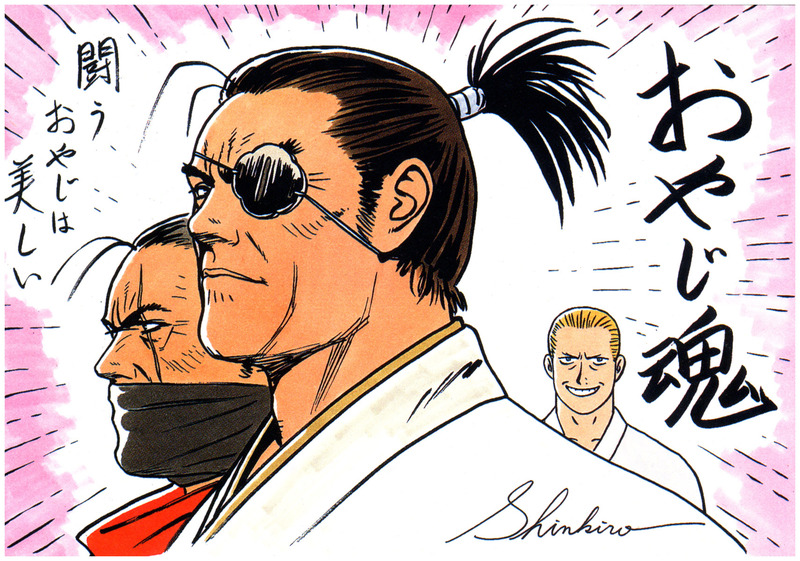 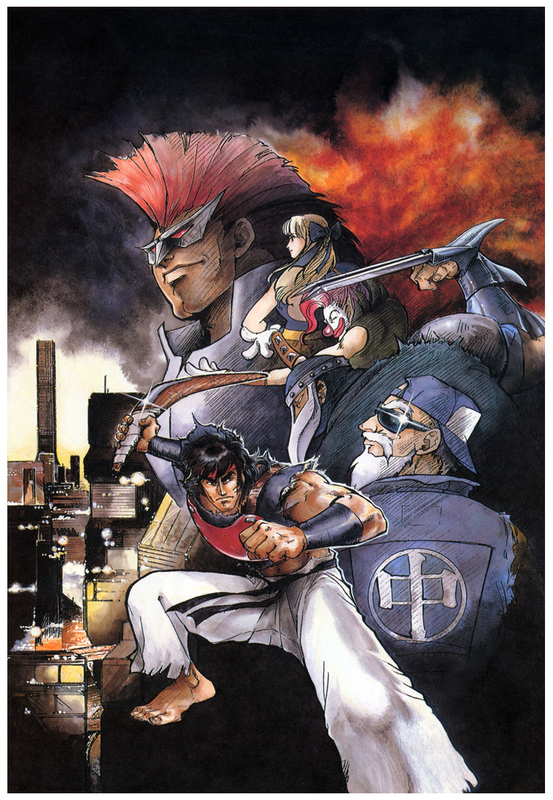 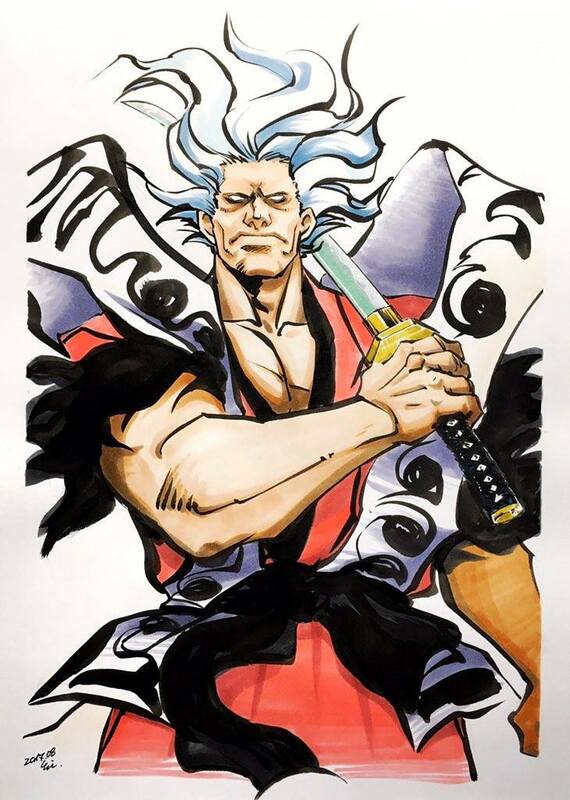 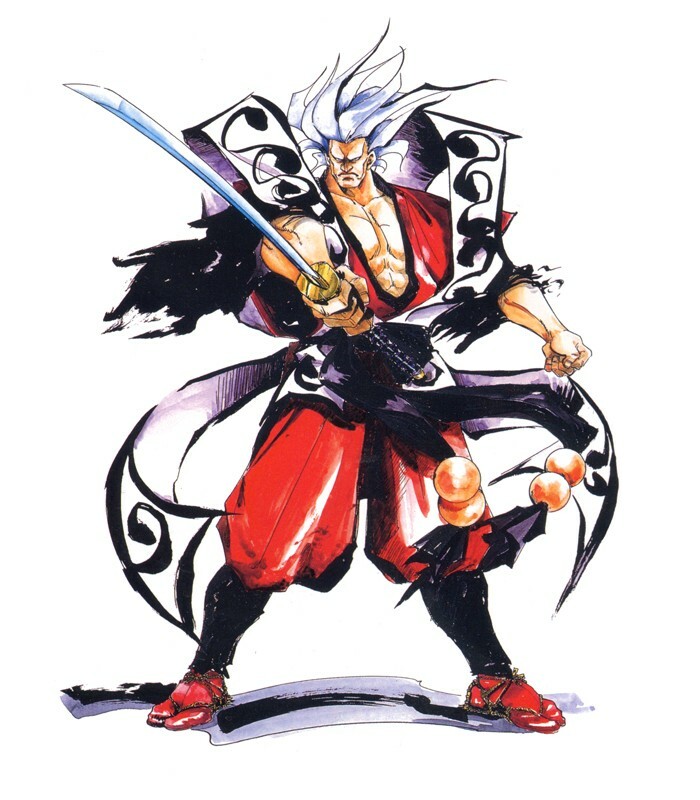 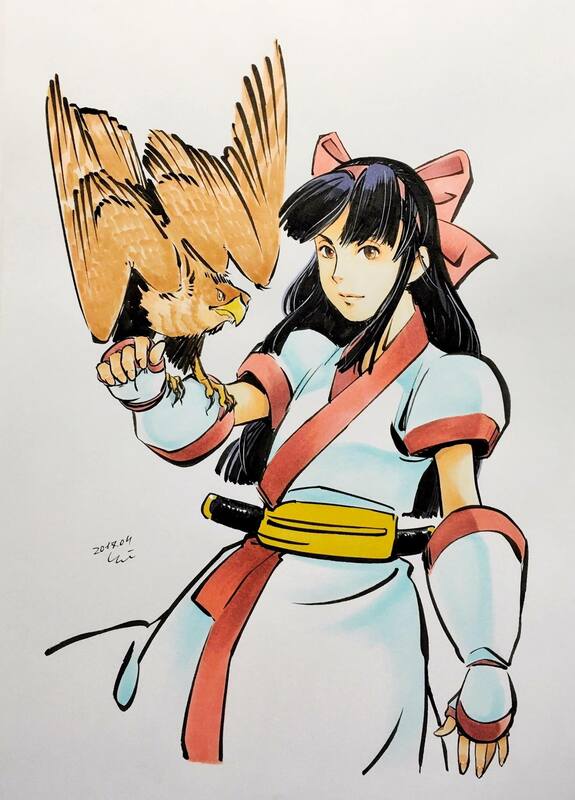 He got his start as an artist for SNK where he provided character designs and many cover illustrations for a wide variety of Neo Geo games, including: King of Fighters 94-2000, Art of Fighting, Samurai Shodown, Fatal Fury, Metal Slug, Last Blade, and many others. 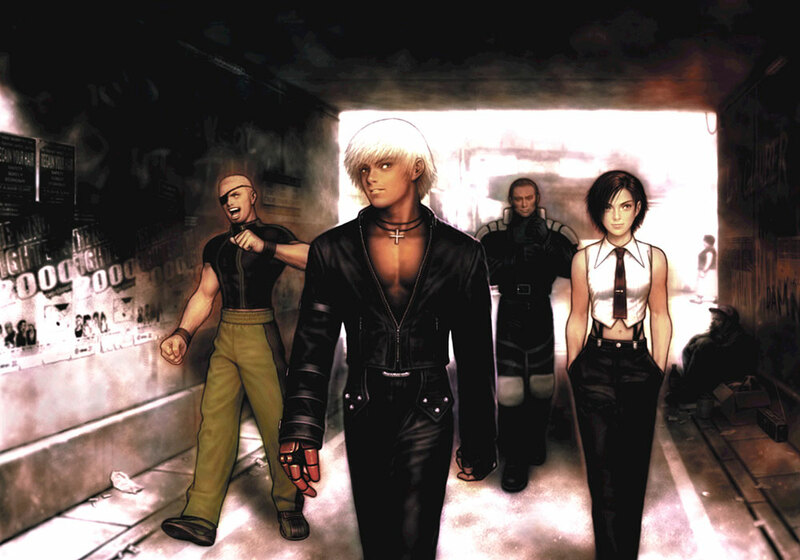 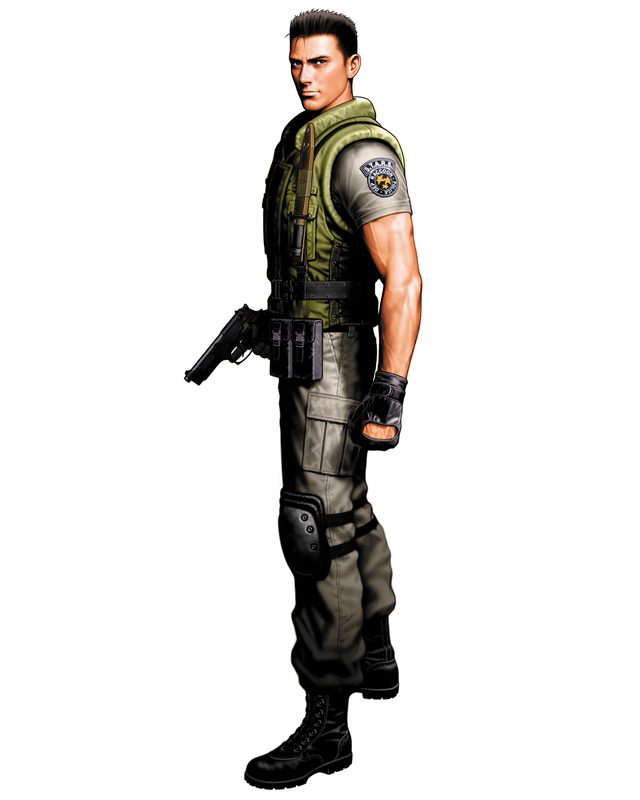 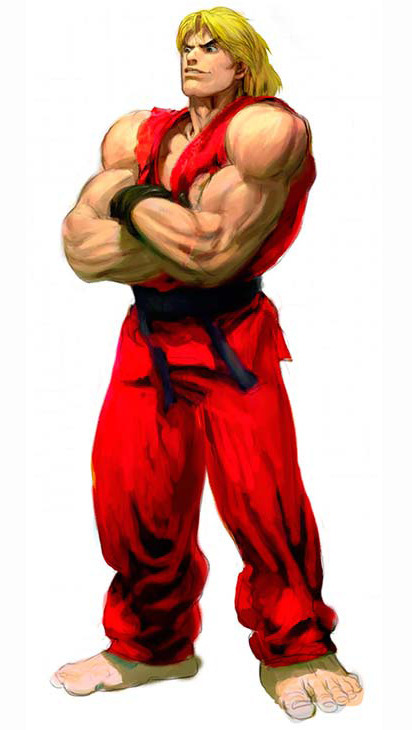 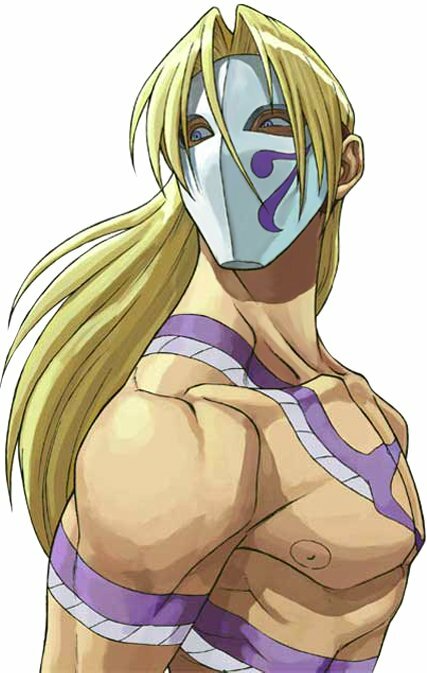 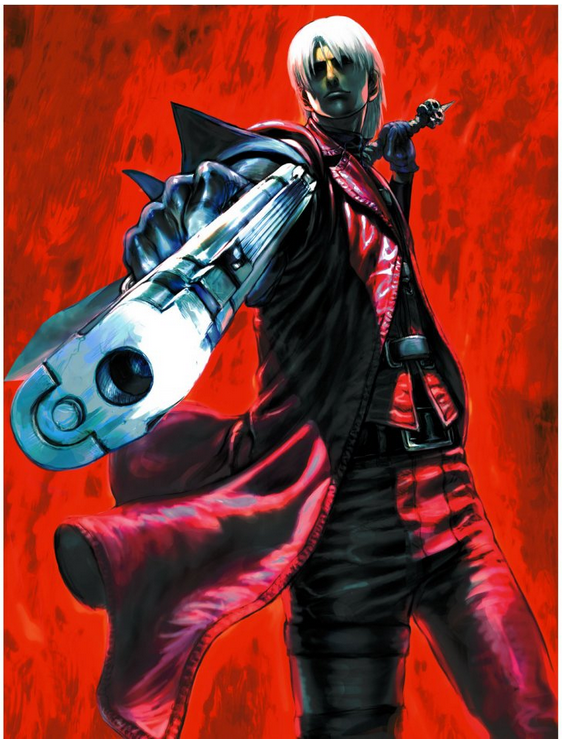 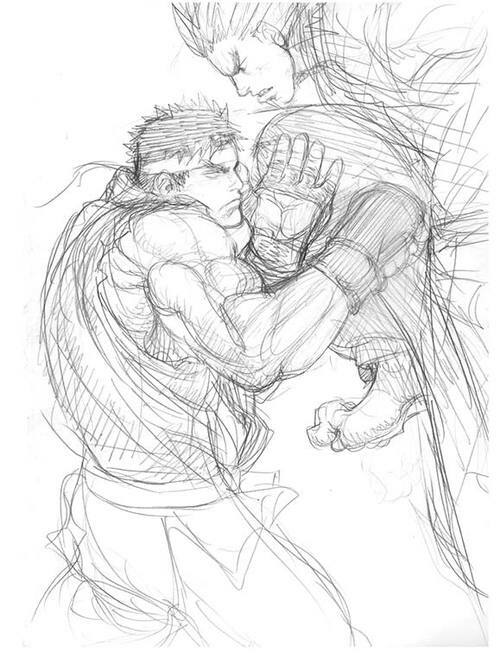 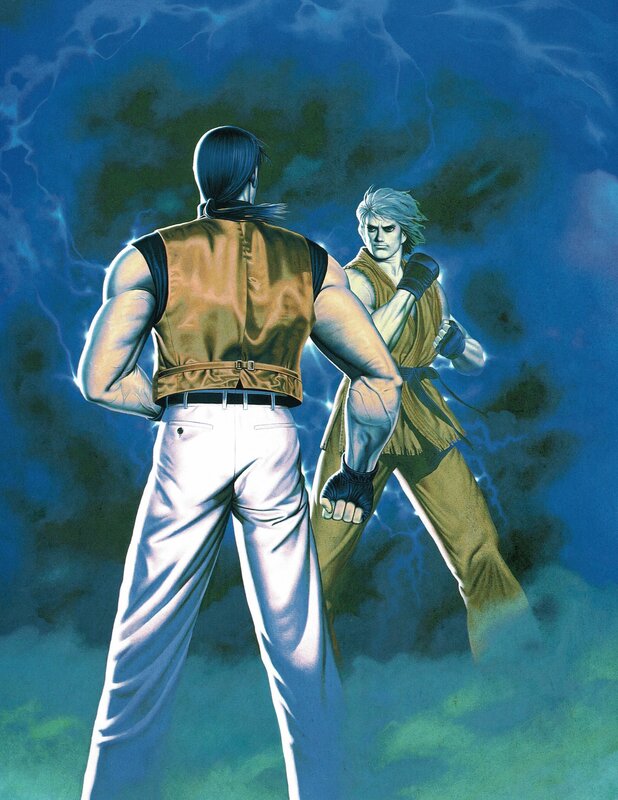 Shinkiro's iconic art style was always incredibly unique due to his "realistic" airbrush technique when drawing characters. 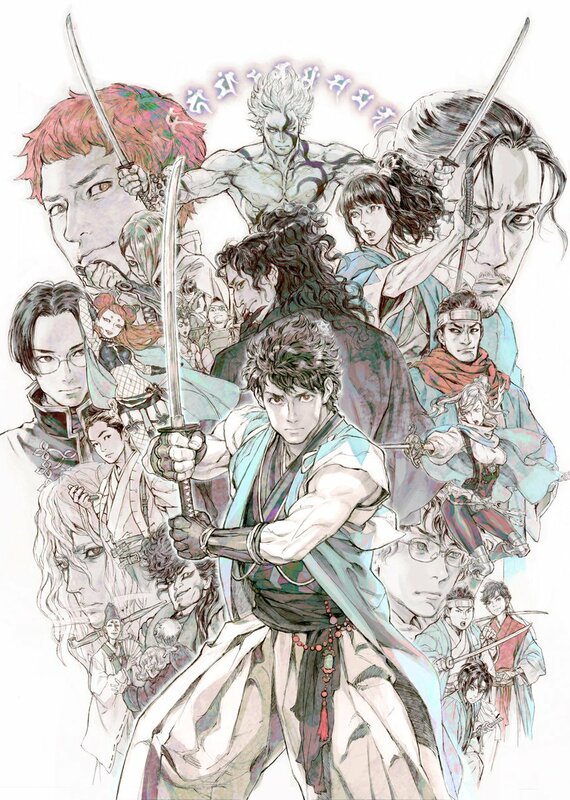 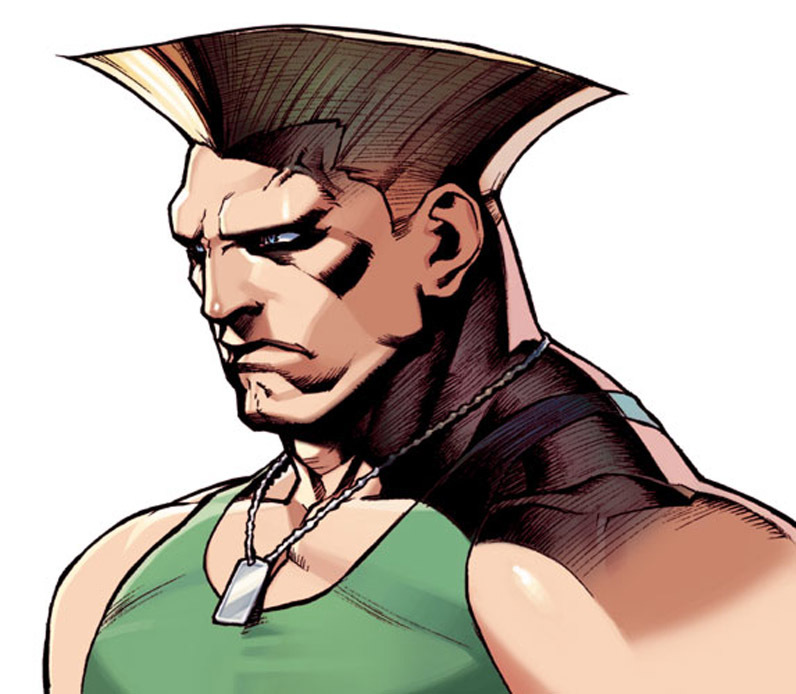 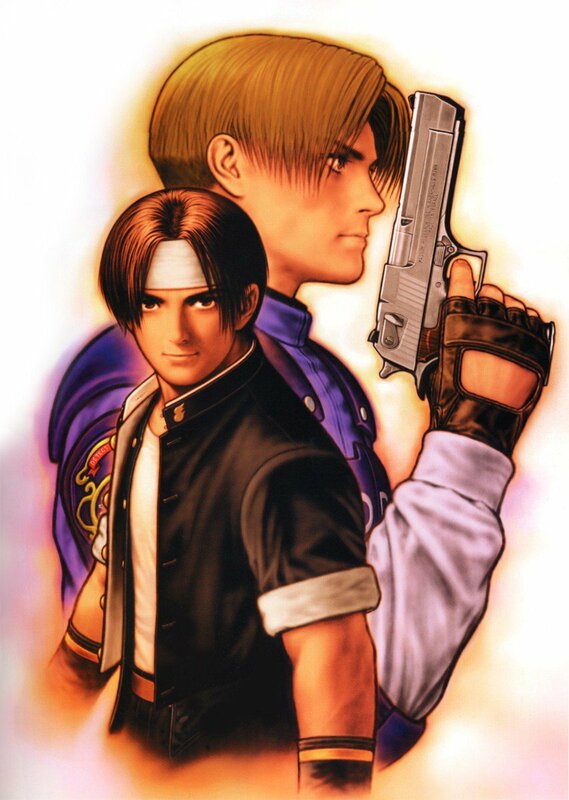 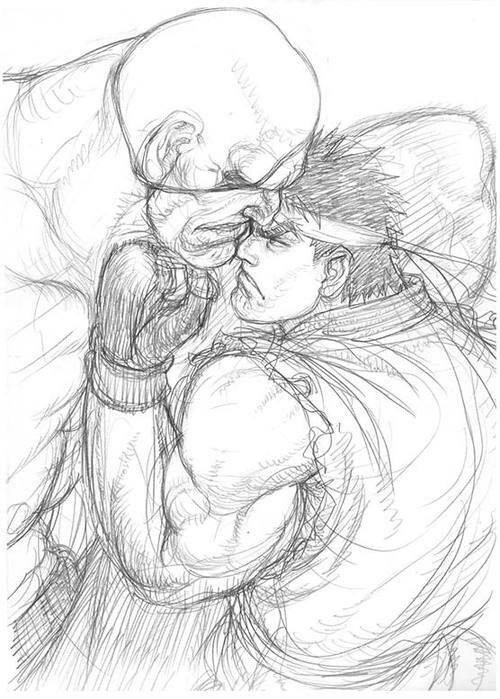 A face drawn by Shinkiro has always been easily recognizable, as he uses the same general format/shape for drawing all male and female characters respectively. 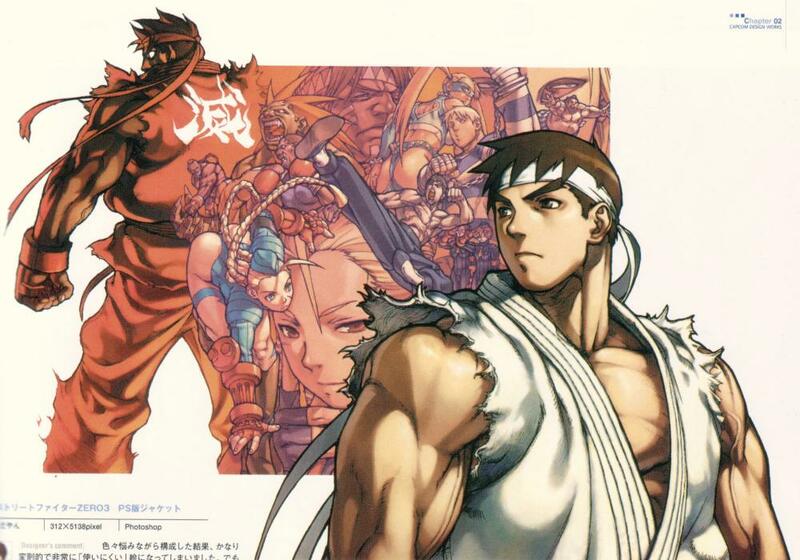 Shinkiro was laid off in 2000 due to SNK's bankruptcy and was almost immediately thereafter employed by Capcom! 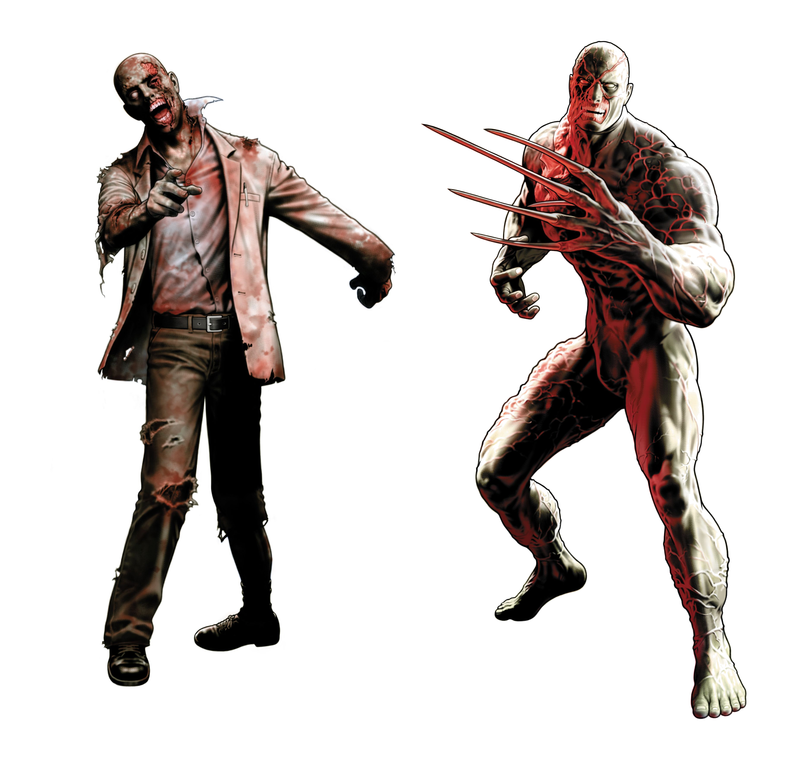 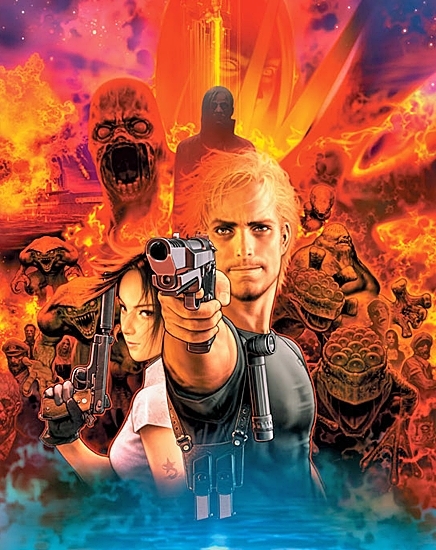 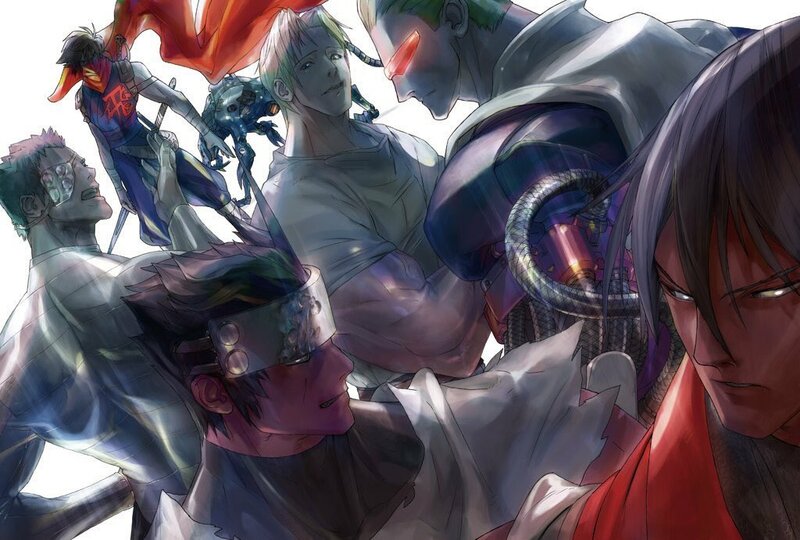 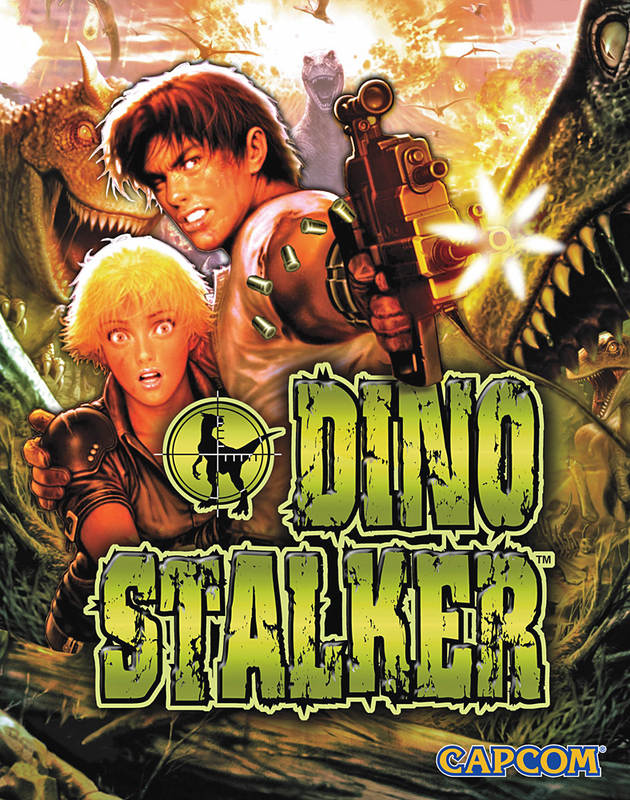 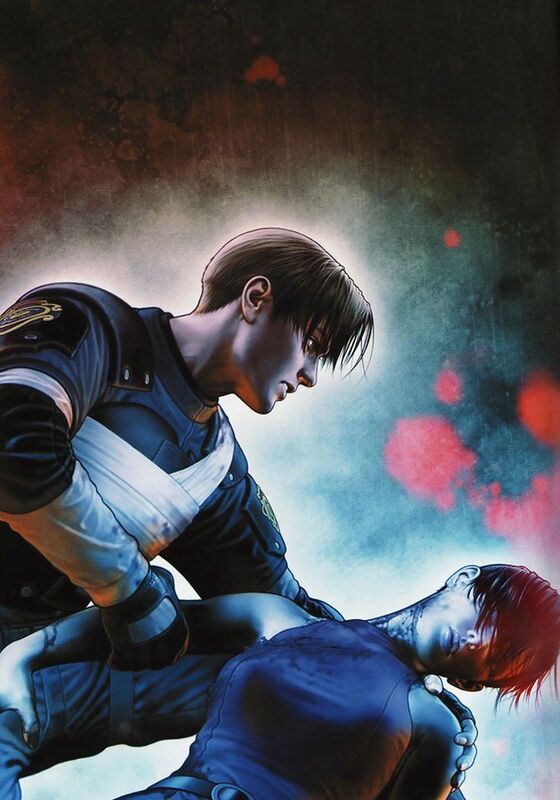 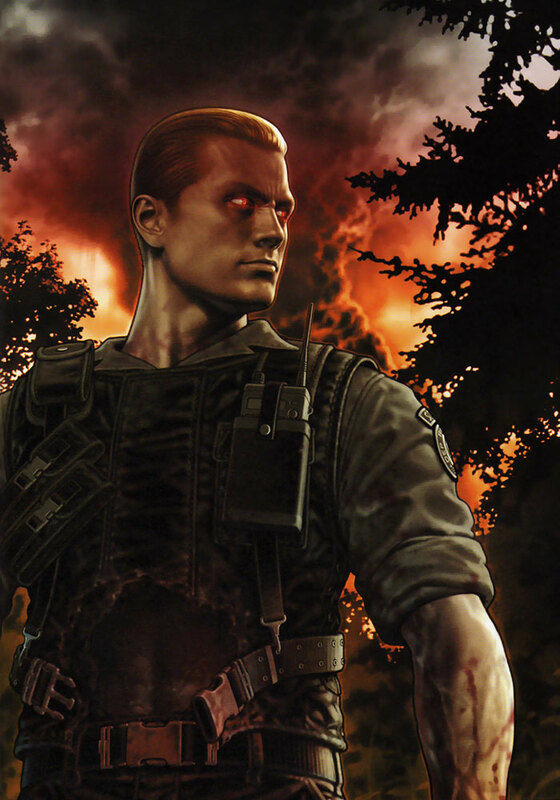 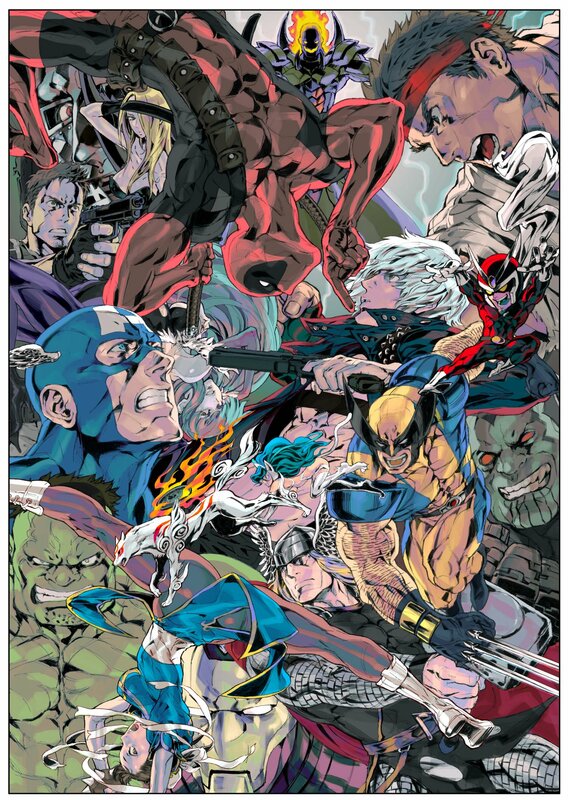 Shinkiro began doing cover artwork for a wide variety of Capcom games, including: Capcom VS SNK, Tatsunoko Vs. Capcom, Marvel Vs. Capcom 3, Resident Evil: Dead Aim, Dino Stalker, Final Fight One, Super Ghouls 'n Ghosts, Dead Rising, and Devil May Cry 5. 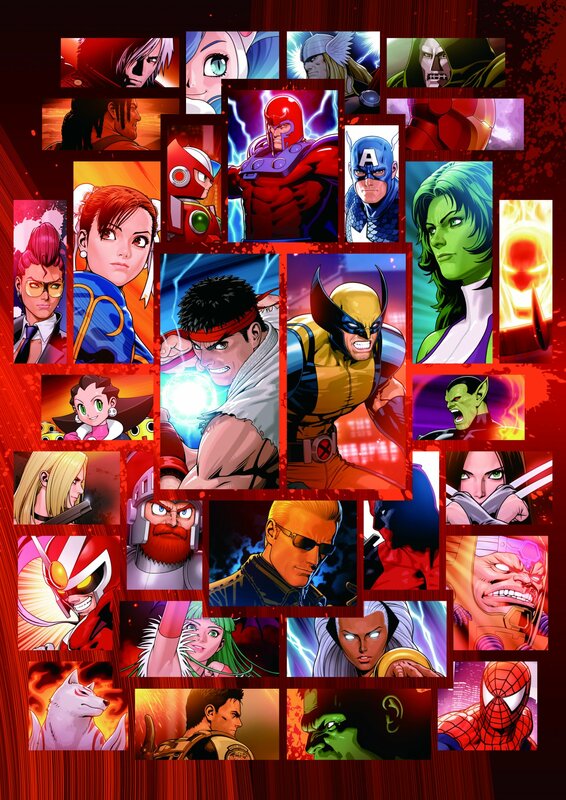 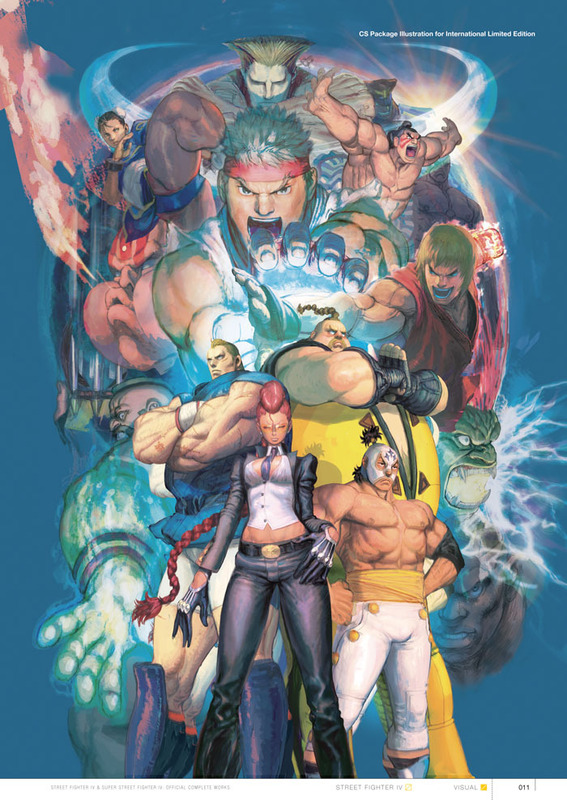 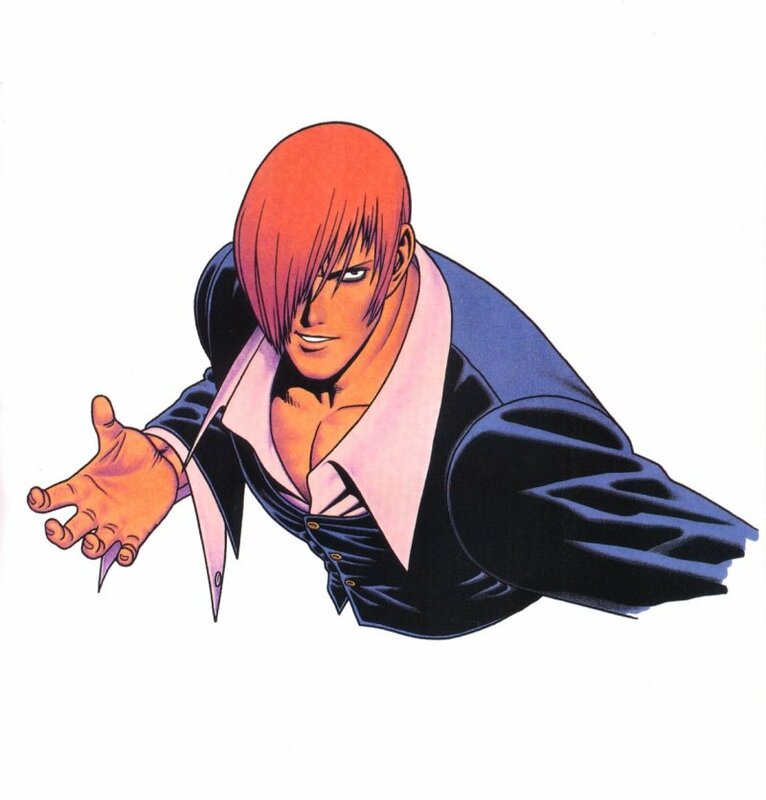 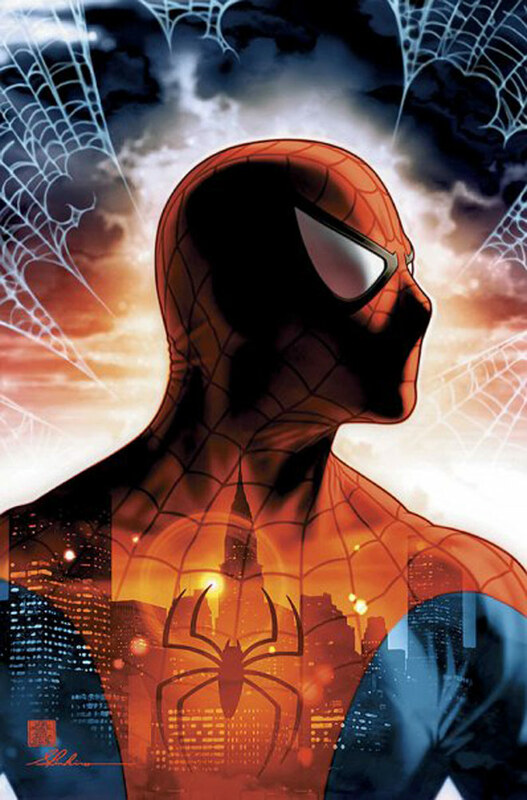 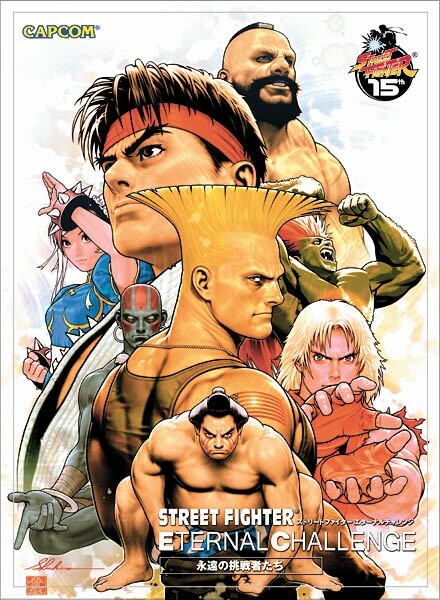 Shinkiro has also done cover art for American comics such as Spider-Man Unlimited and UDON's Street Fighter comic series. 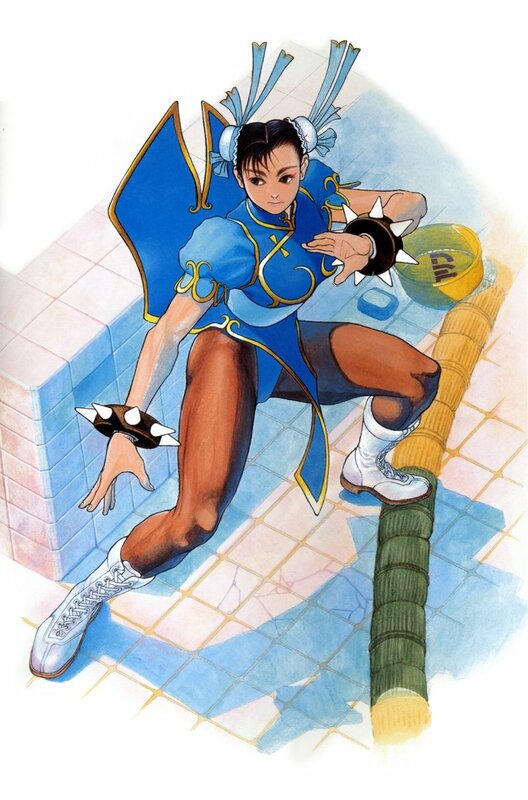 Born July 21, 1964, Akira Yasuda works under the pen name "Akiman" and joined Capcom in 1985. 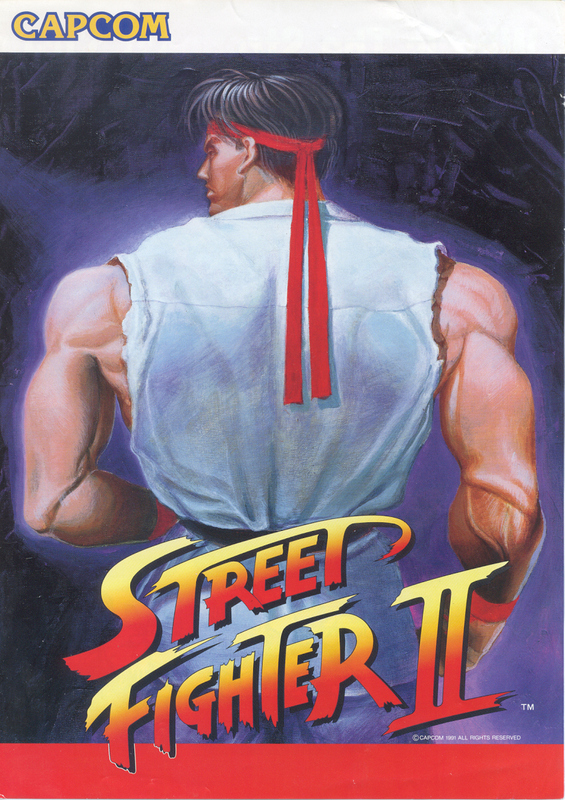 After illustrating characters in 1989's Final Fight, he began working on Street Fighter 2, and soon became one of the most influential fighting game designers ever. 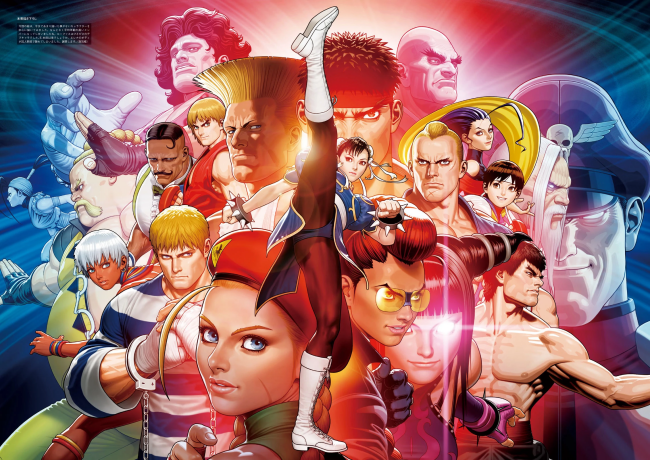 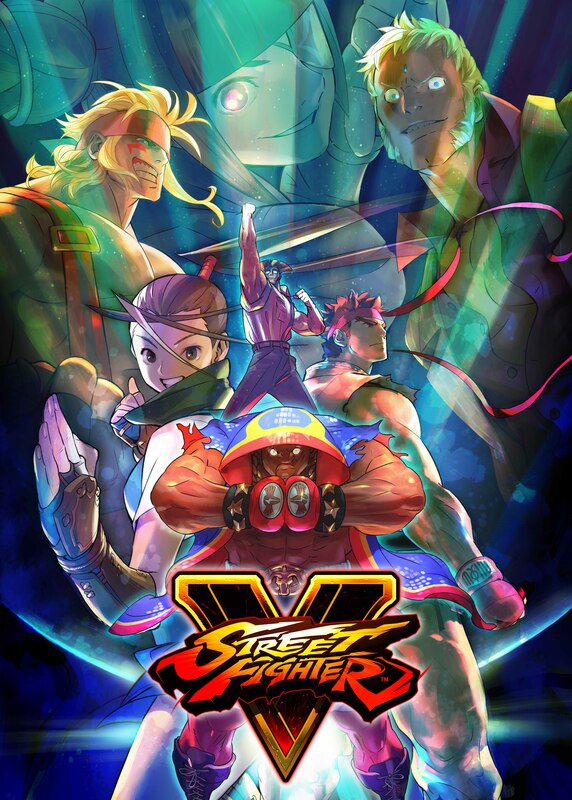 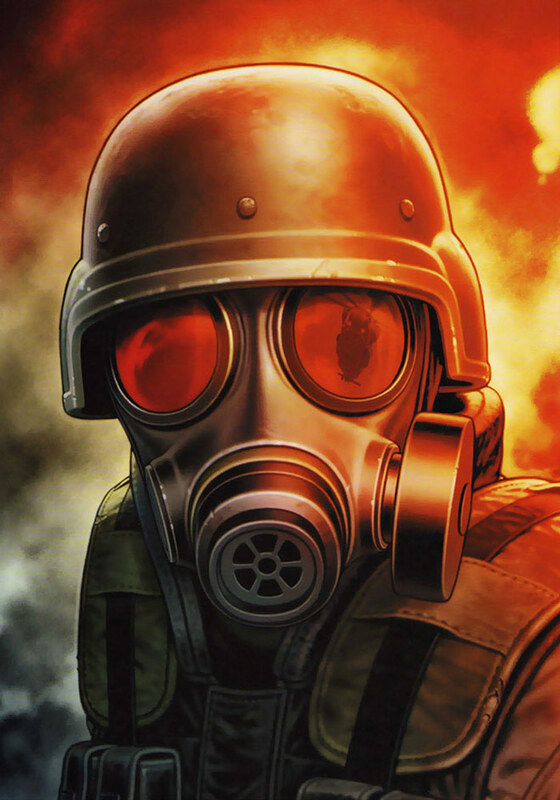 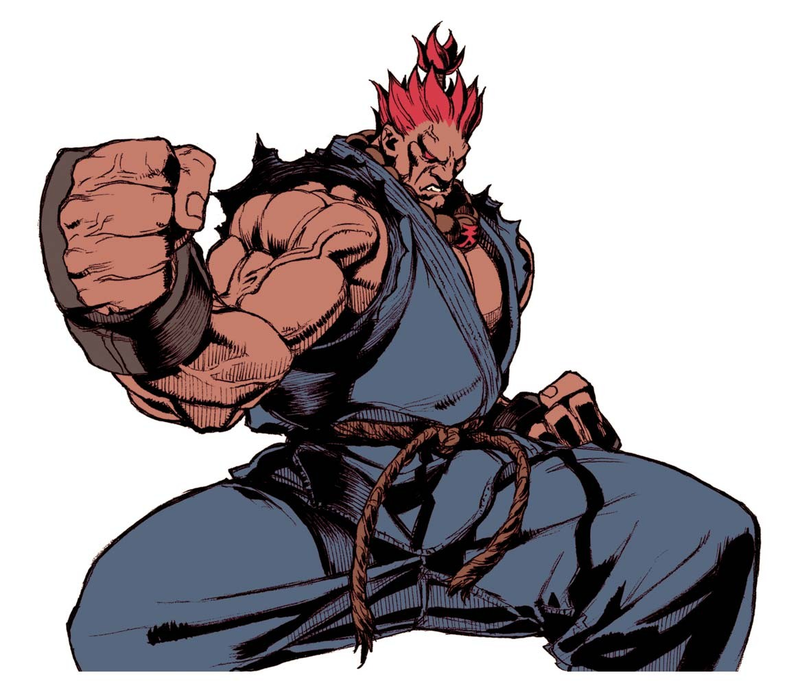 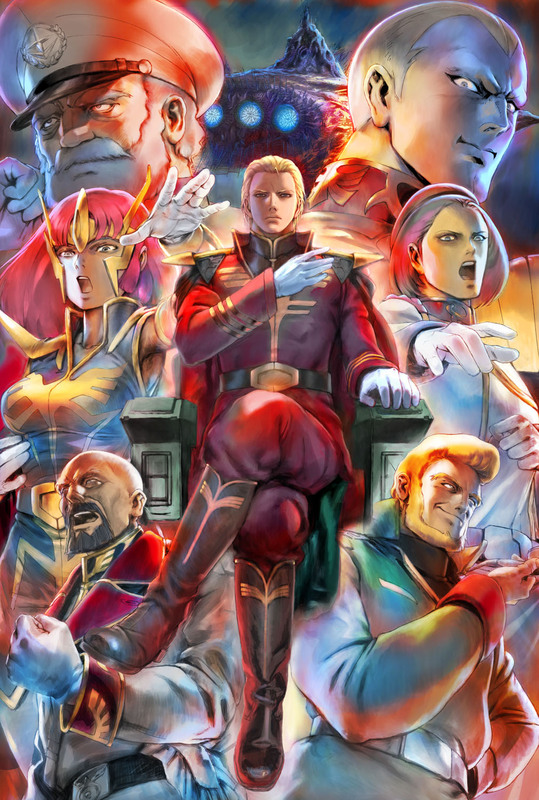 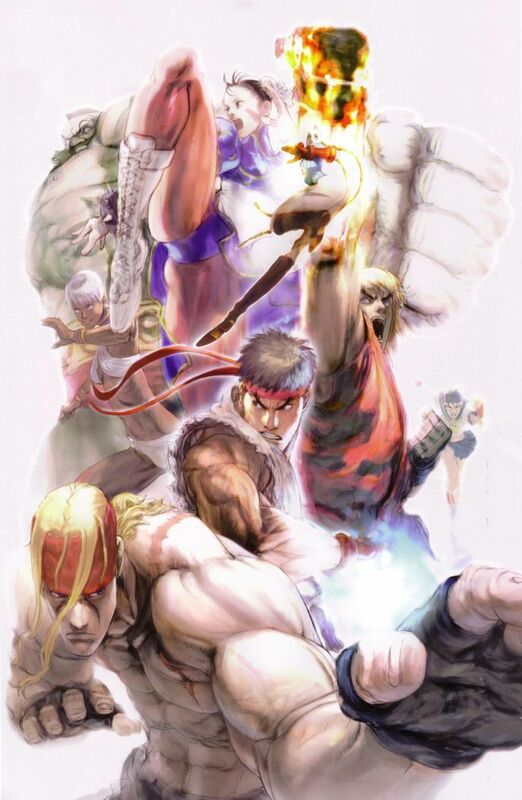 Akiman has created iconic characters and artwork for some of Capcom's most well-known games, including: Street Fighter Alpha, Street Fighter 2, Street Fighter III, Final Fight, Warzard, Star Gladiator, Power Stone and Captain Commando. 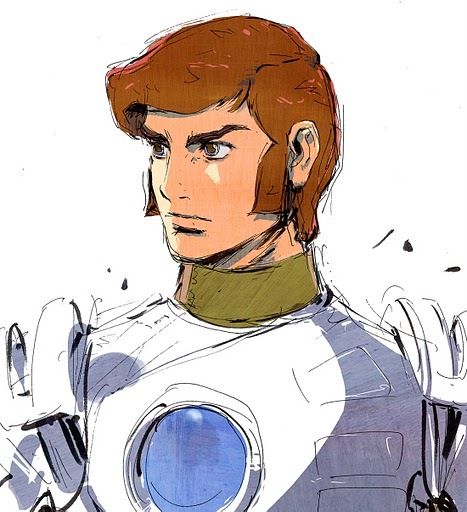 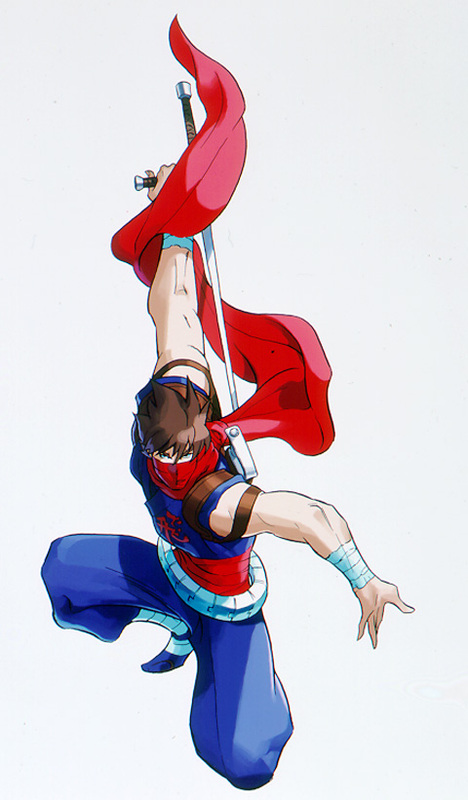 Aside from bringing life to many characters in the fighting genre, Akira was also involved with working on anime such as Gundam and Overman King Gainer. 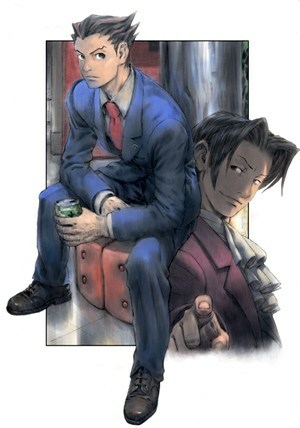 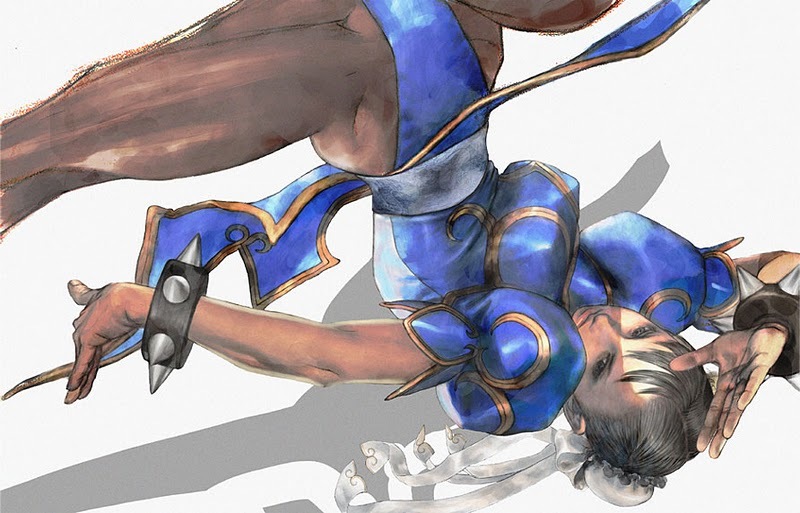 He officially left Capcom in 2003 and started working as a freelance artist. 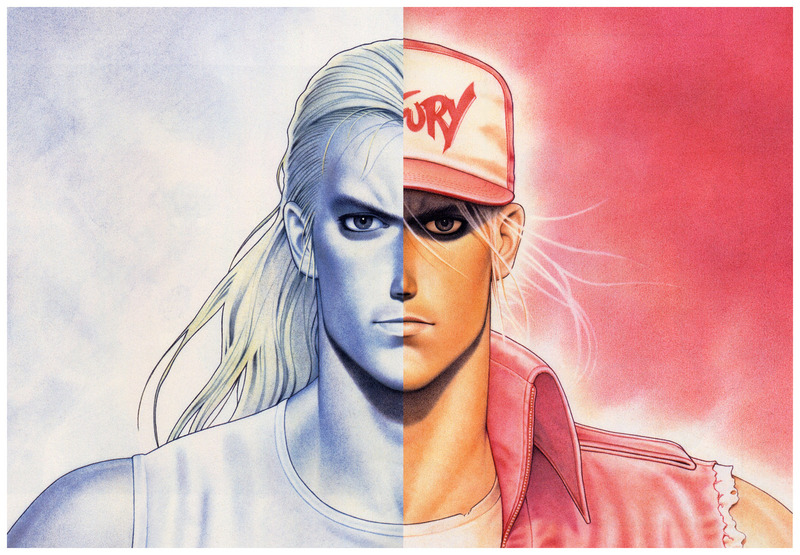 He also appeared in the Initial D live action movie as a Red Suns Member and in Tomie: Rebirth as Waiter. 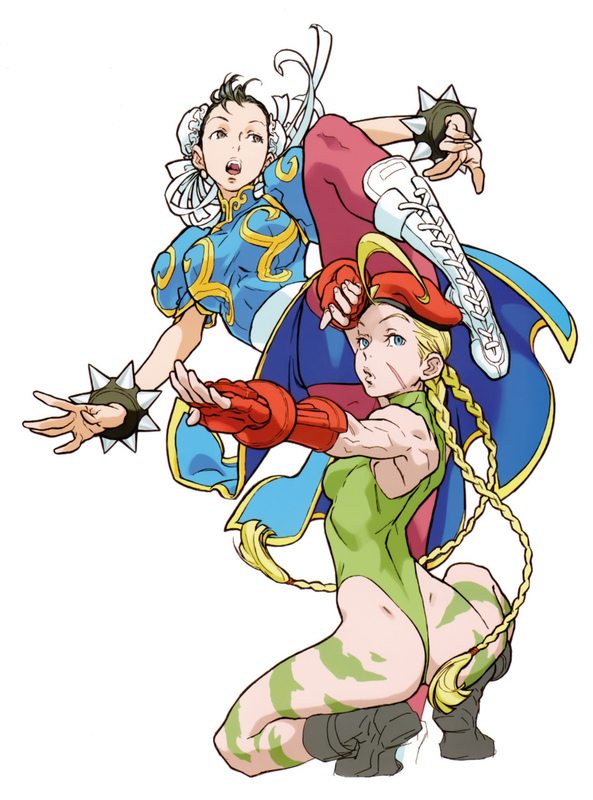 Akiman also invested heavily in the growth of his successors, making significant contributions to Capcom's graphics and animation patterns. 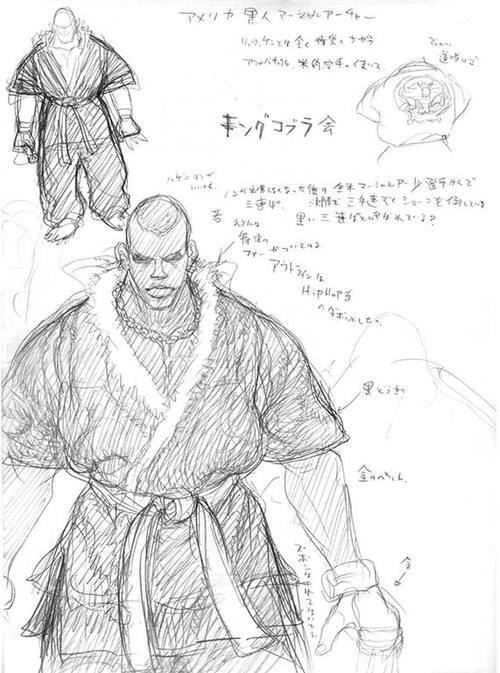 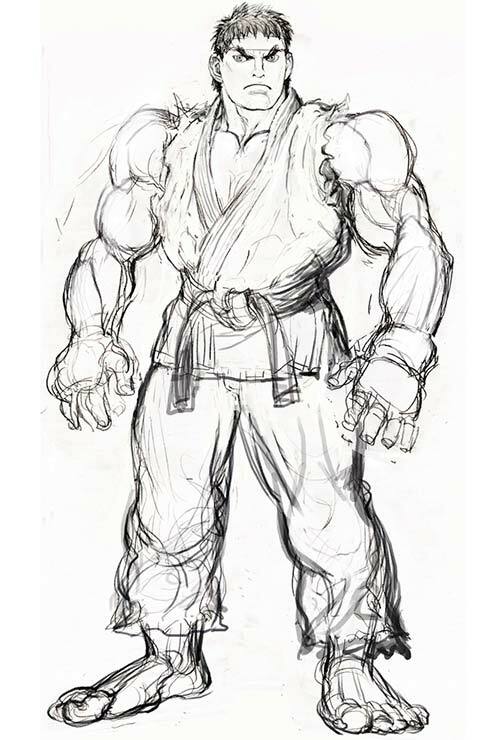 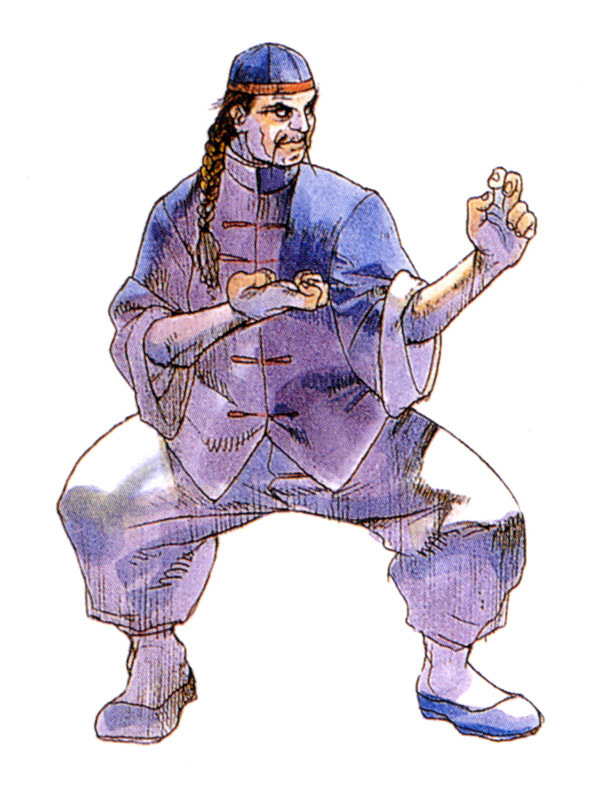 Akiman was responsible for editing Capcom's Street Fighter Anatomy Reference Guide, which was used to teach other Capcom artists since the mid 1990's. 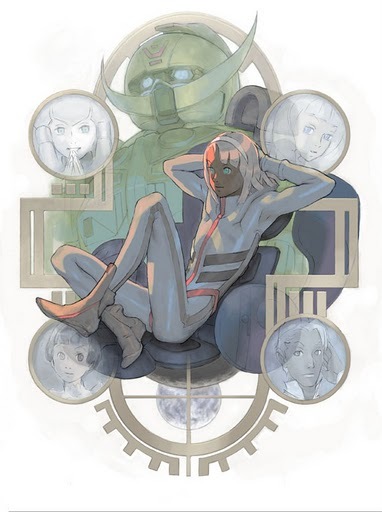 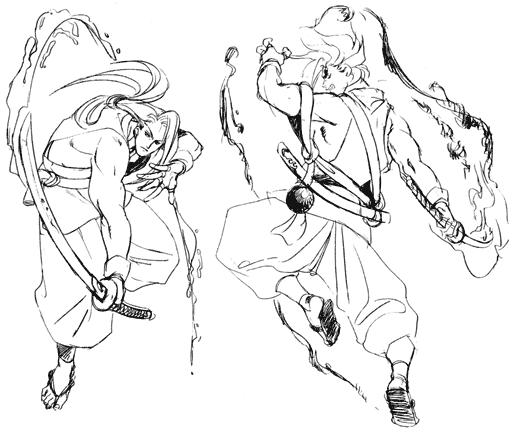 He currently works as a freelance illustrator, character and mechanical designer, and as a manga artist. 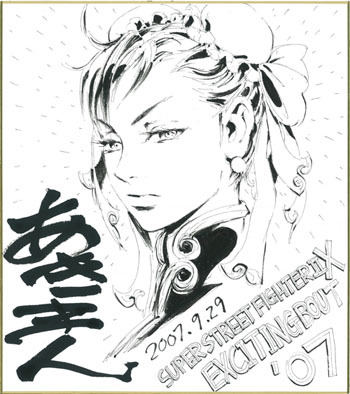 Enjoy a great mini-documentary about Akira Yasuda, below! 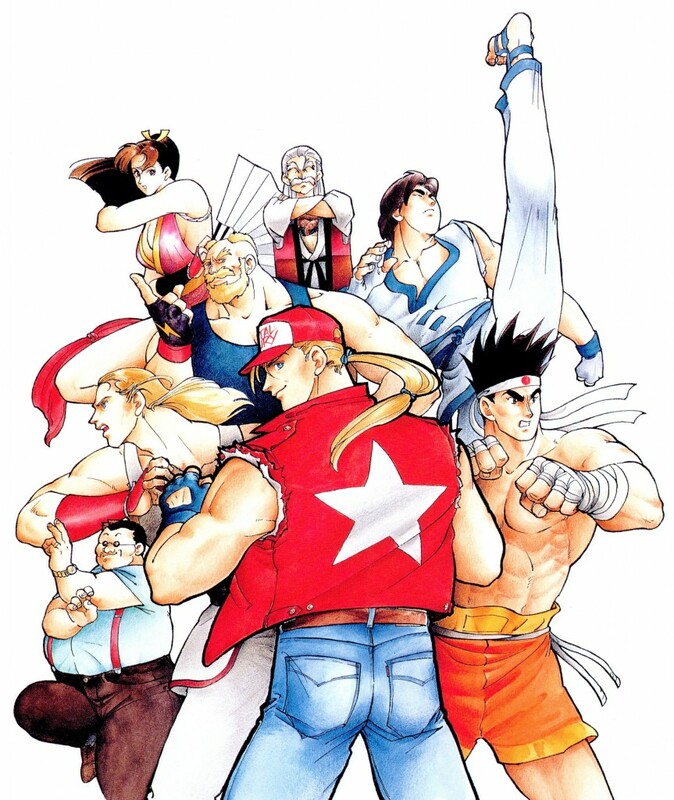 Bengus has been with Capcom since the beginning of the Street Fighter series in 1987. 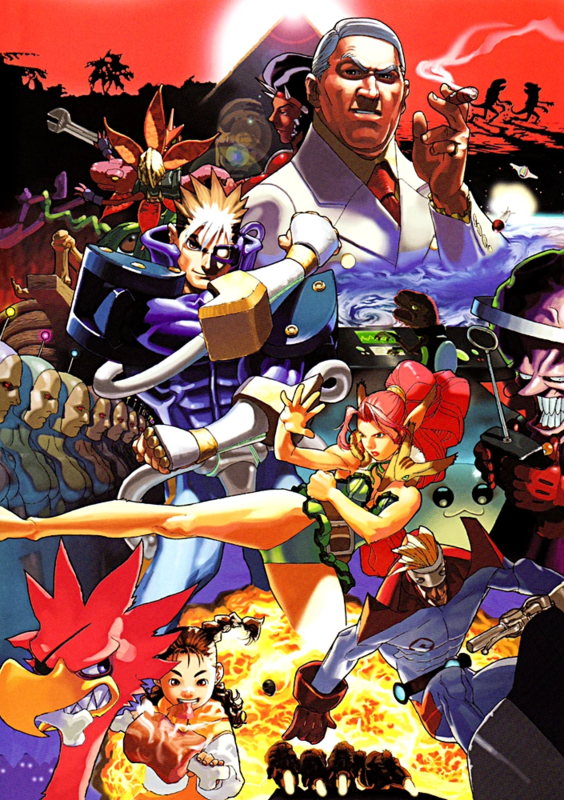 He played a huge part in designing the original Street Fighter cast and Darkstalkers cast. 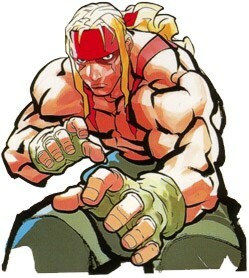 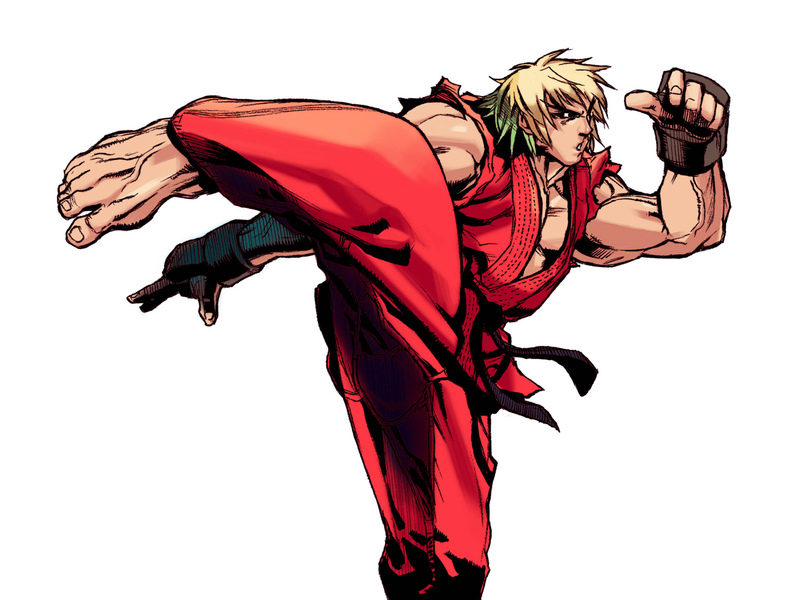 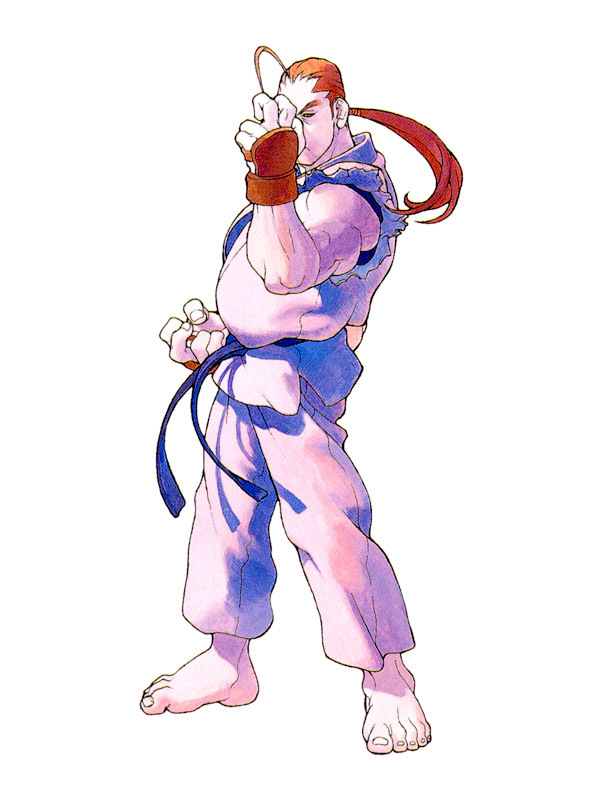 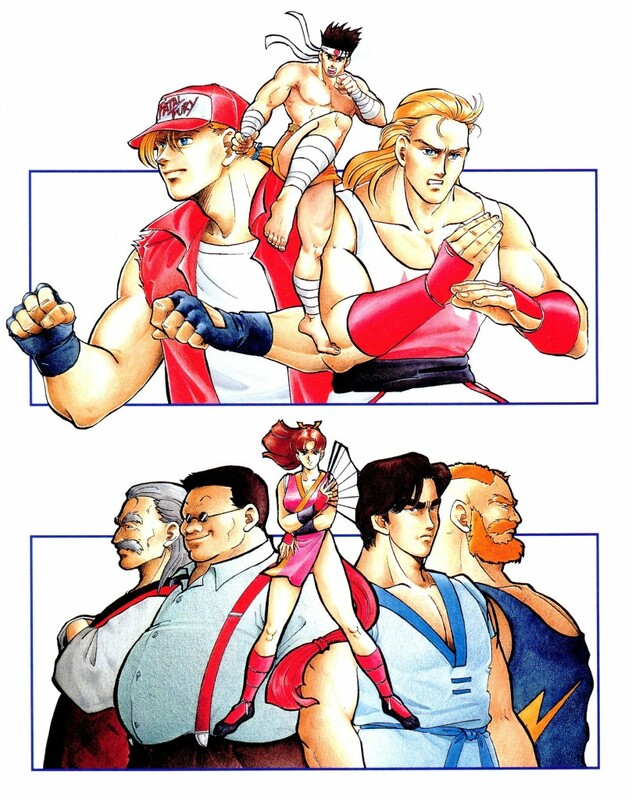 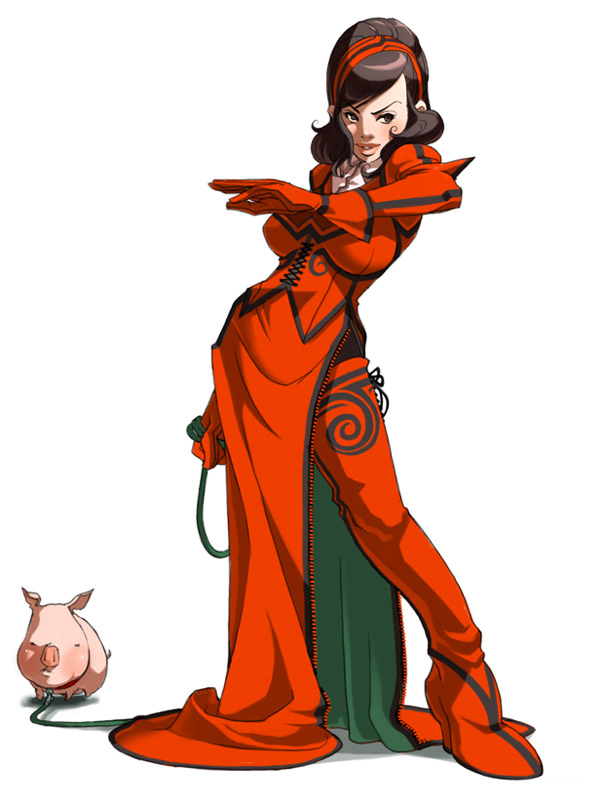 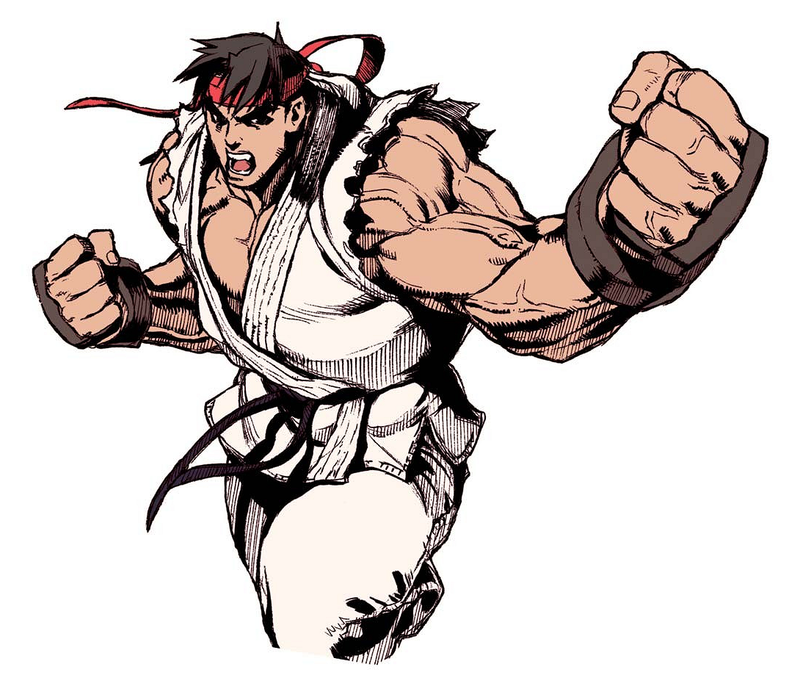 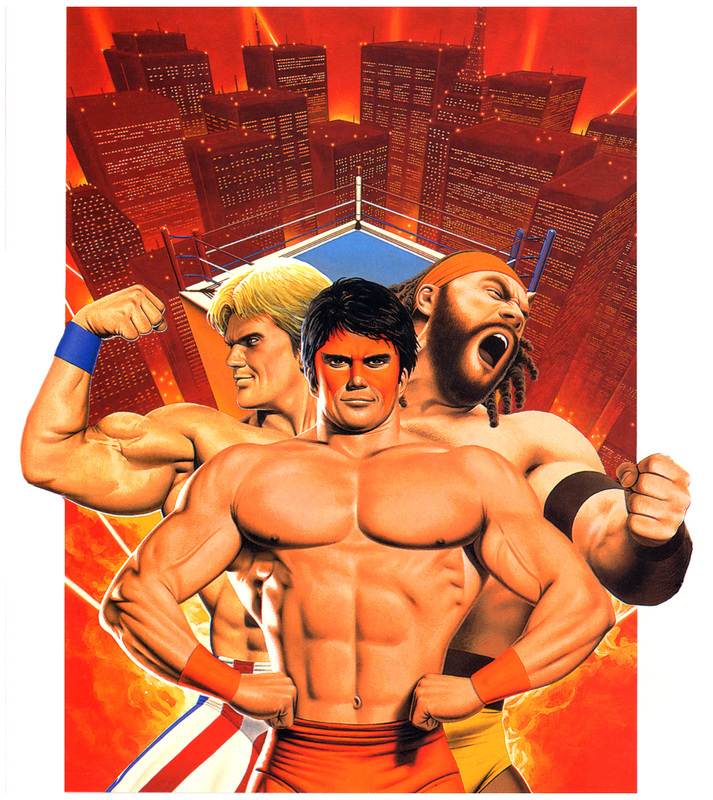 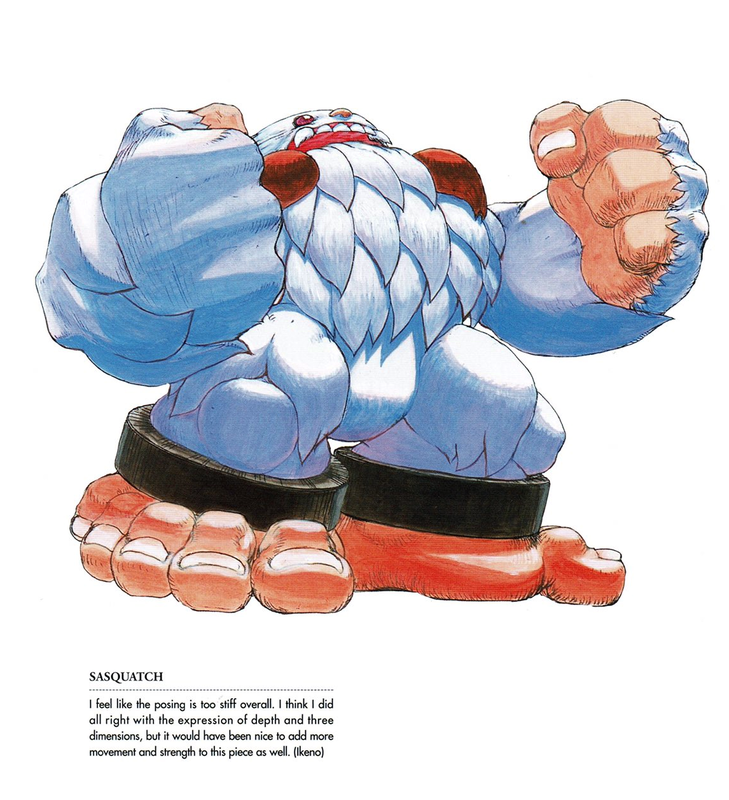 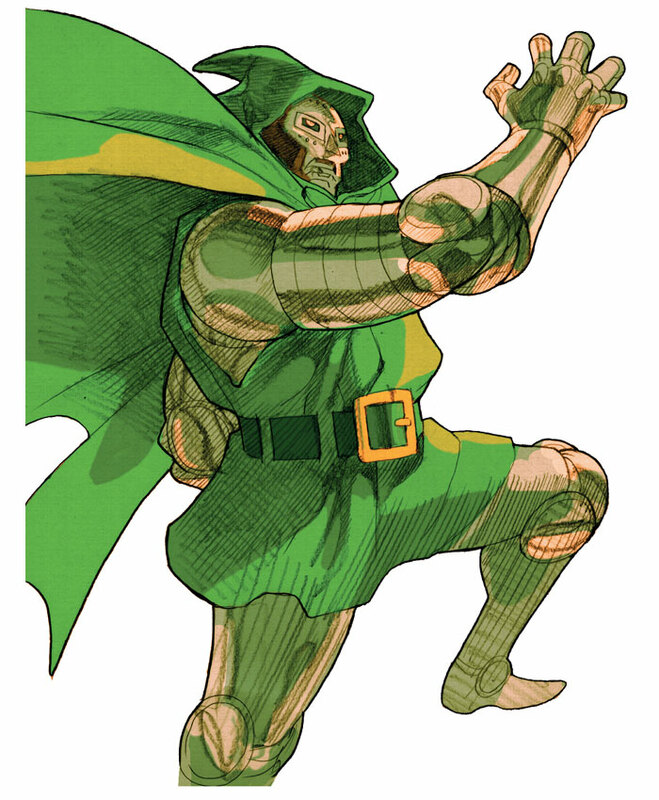 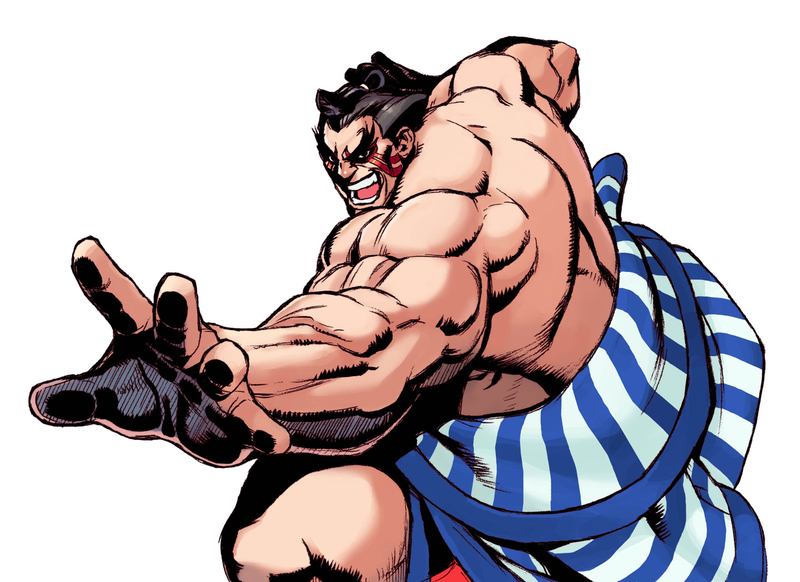 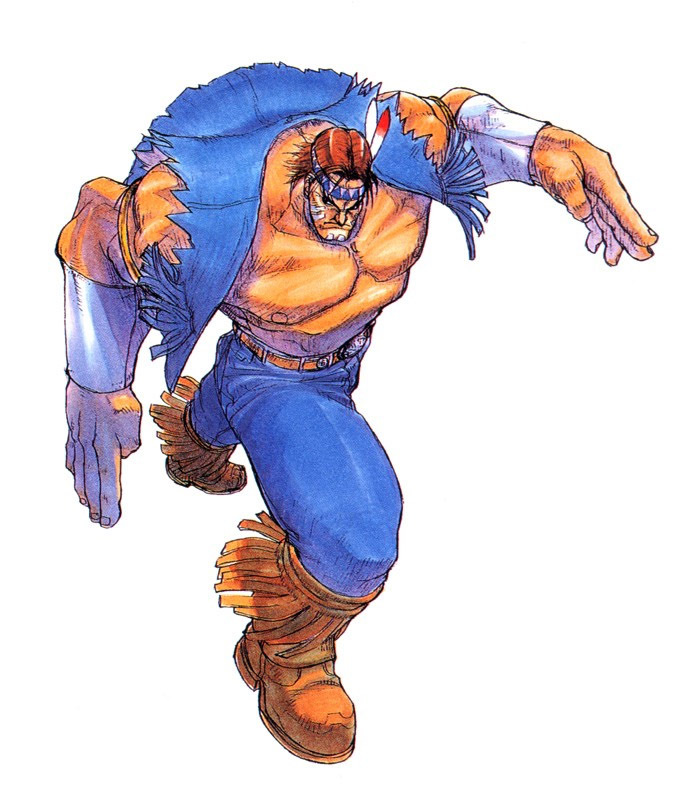 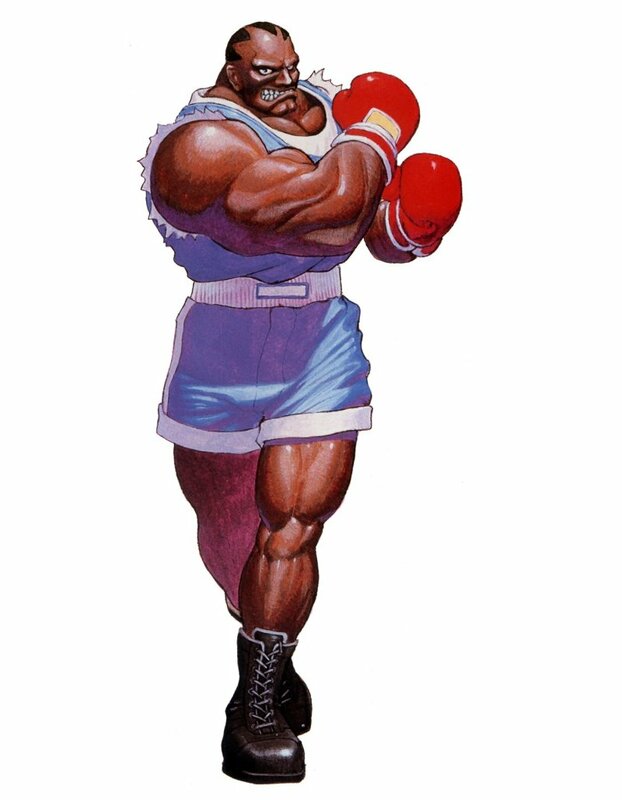 Bengus became known for drawing characters disproportionately with extra large, defined muscles and big hands & feet. 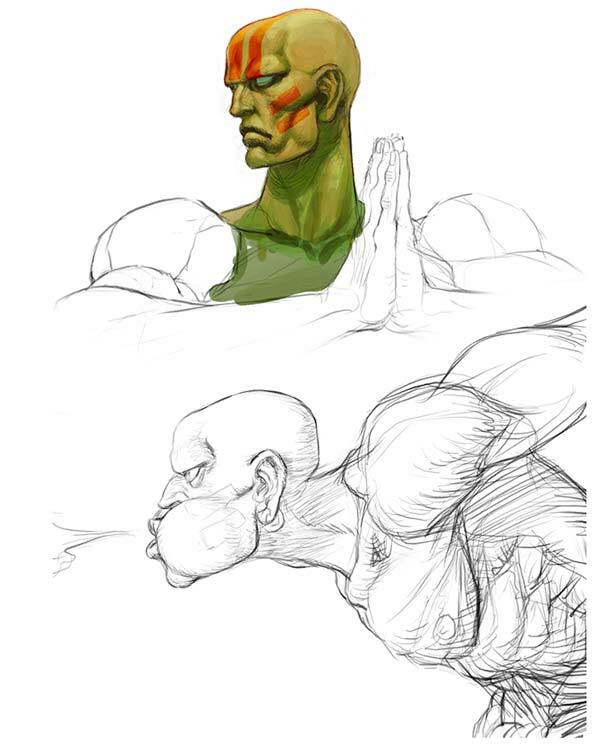 However, he can also draw in other, more " realistic" styles. 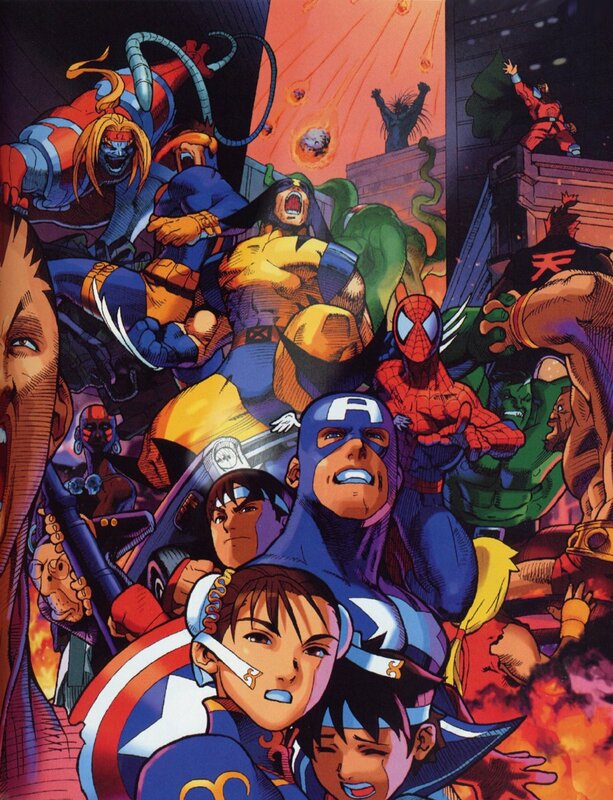 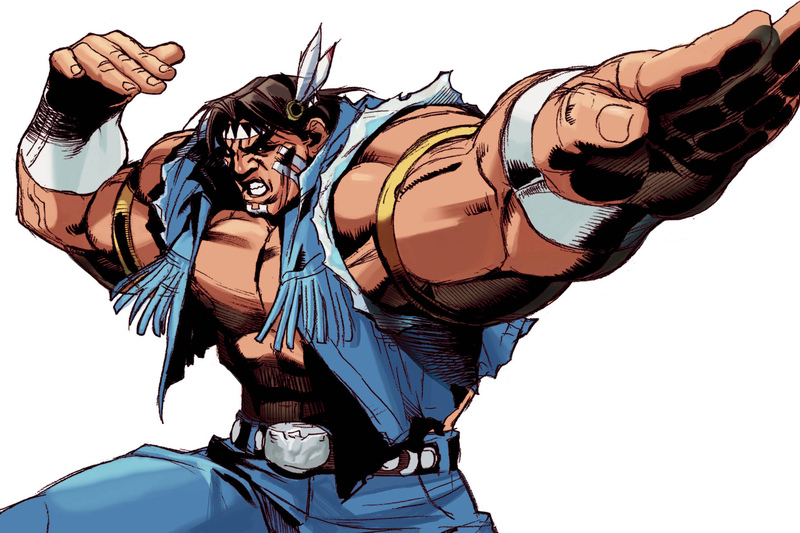 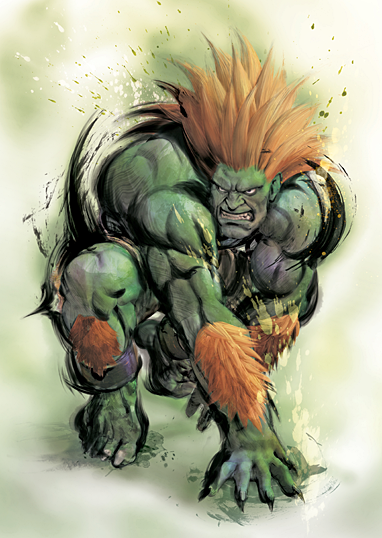 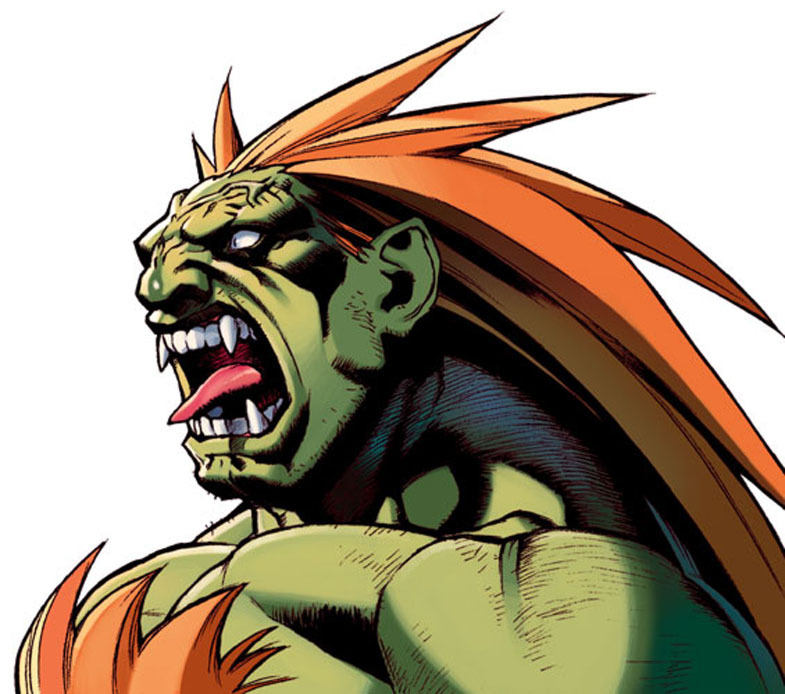 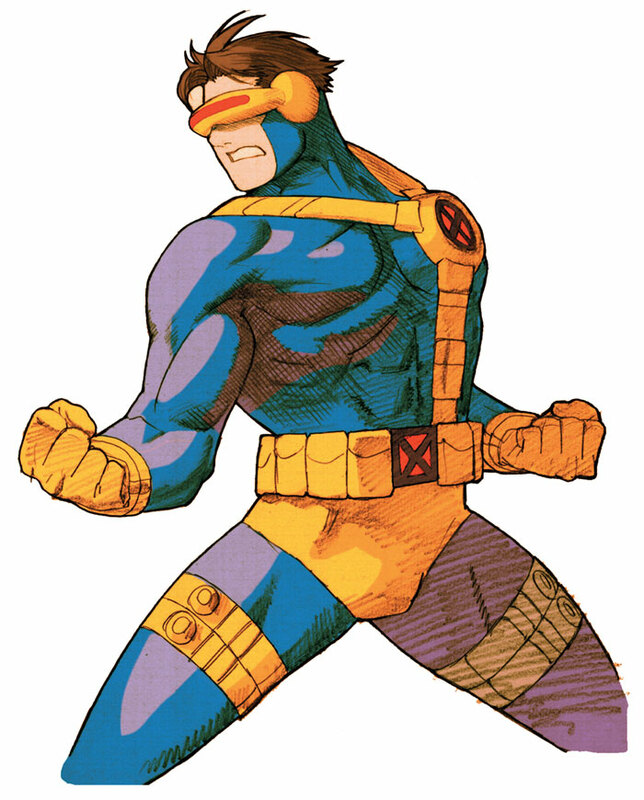 Popular comic book artists such as Joe Maduera, Jeff Matsuda and Humberto Ramos have also borrowed from Bengus' style. 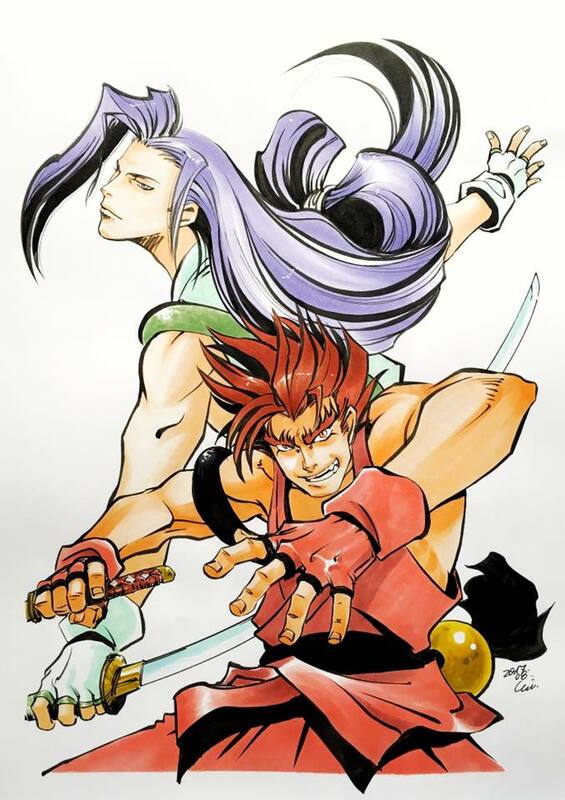 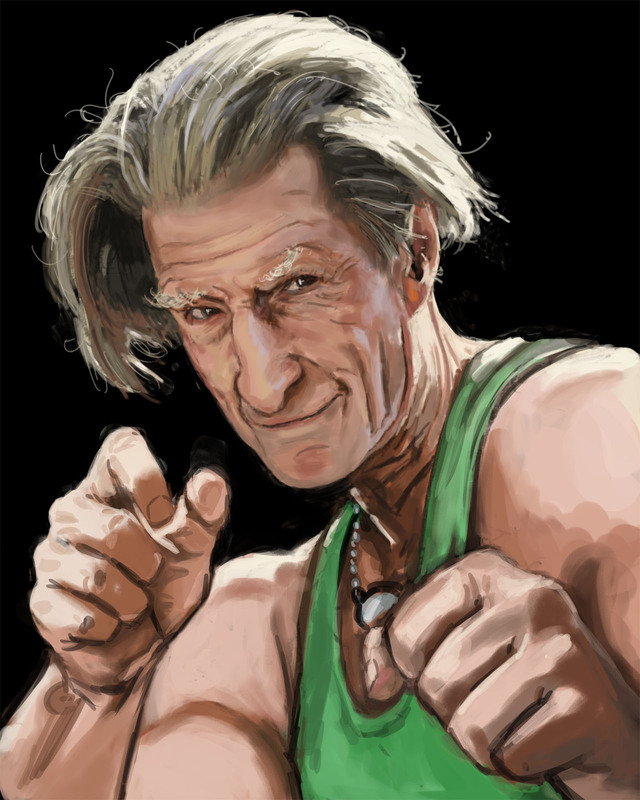 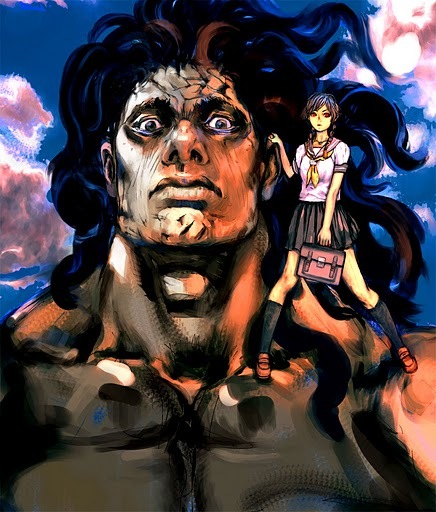 Professional illustrators Jason and Heather Martin have stated that Akiman and Bengus are some of their biggest influences. 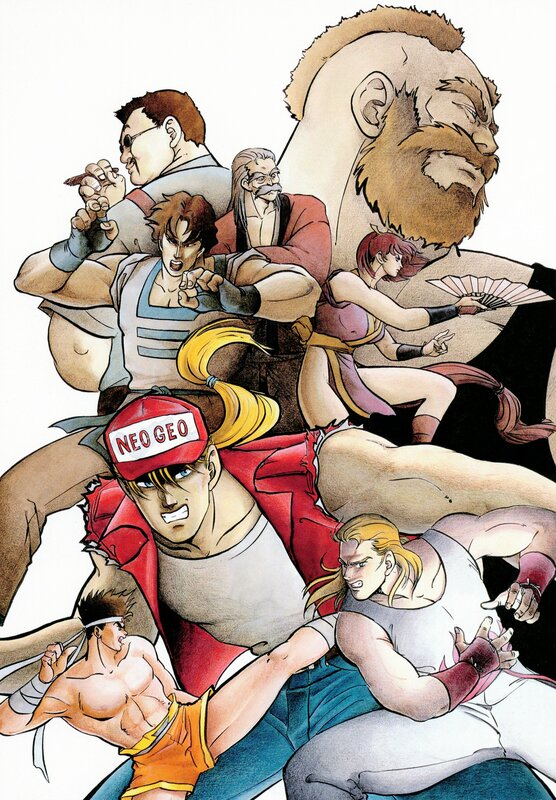 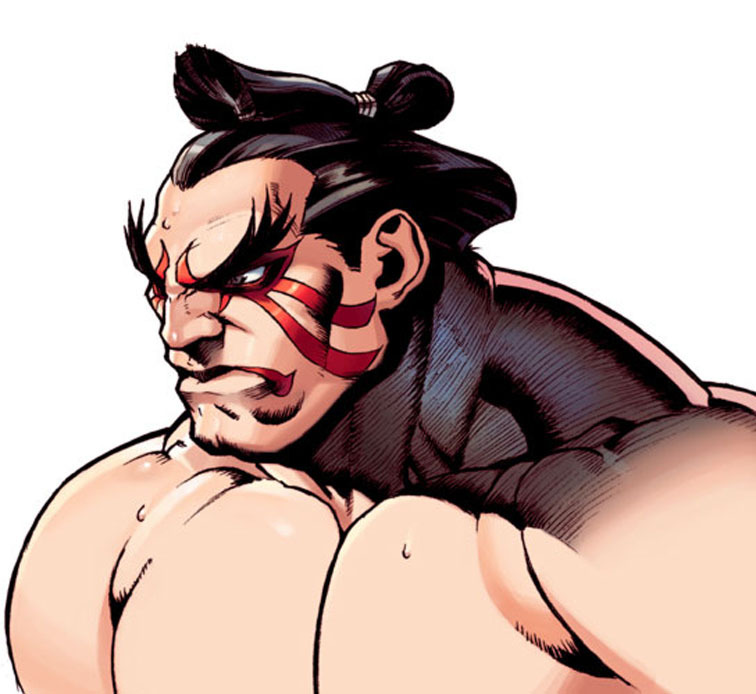 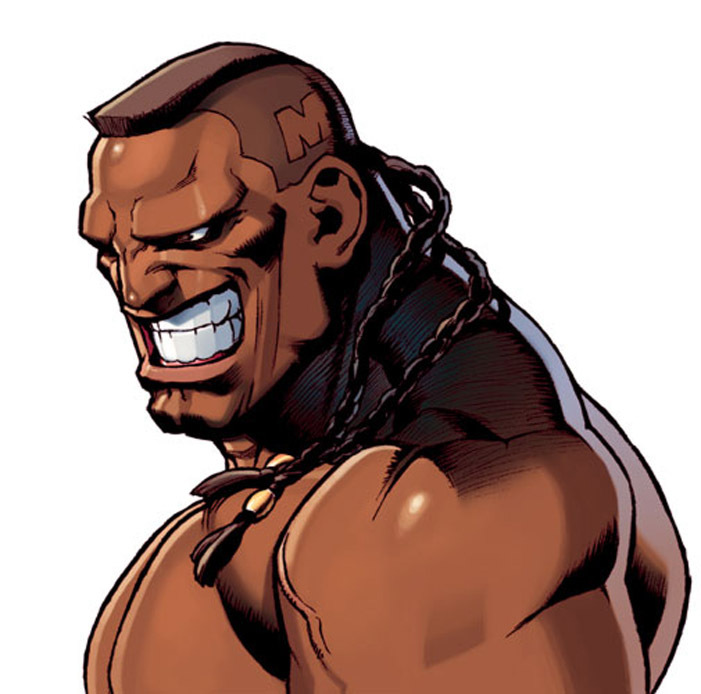 The artists at UDON Comics also model the Street Fighter characters closely to how Bengus drew them in his prime. 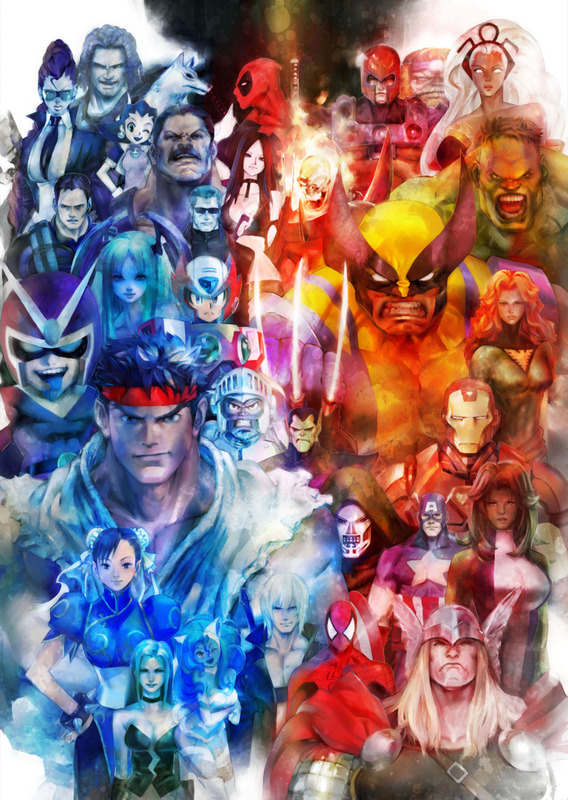 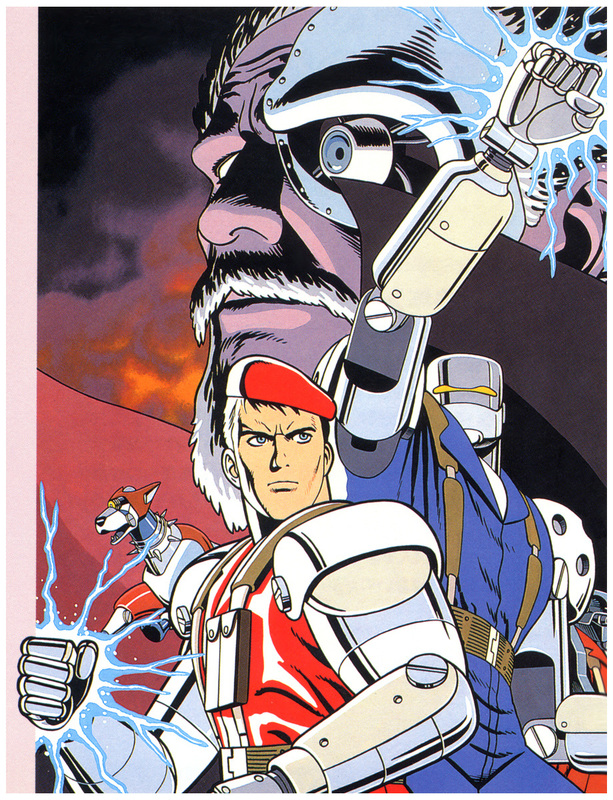 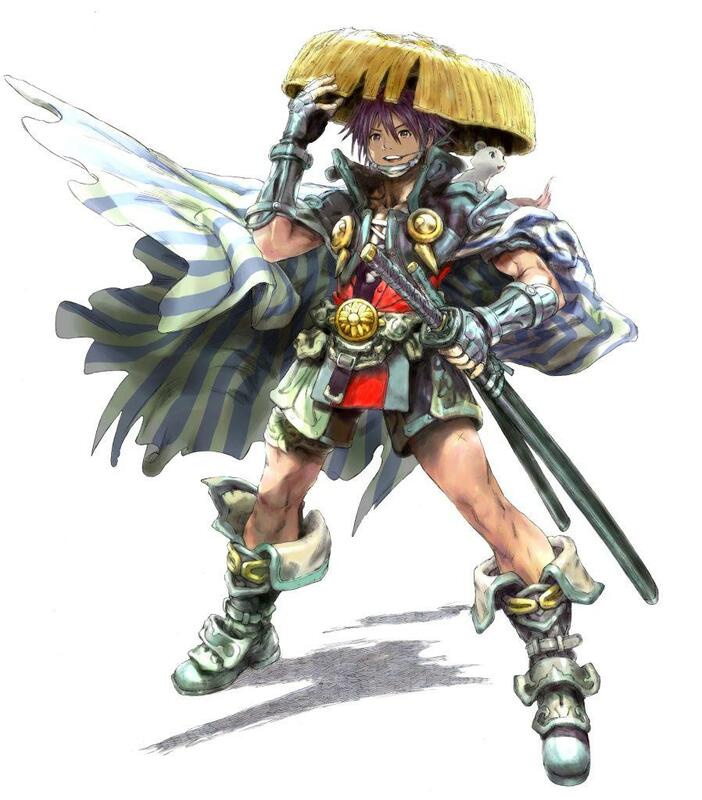 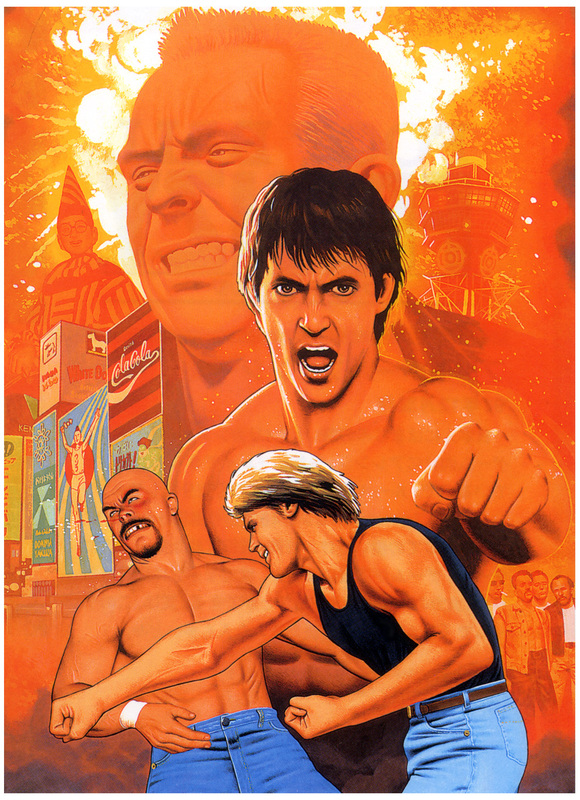 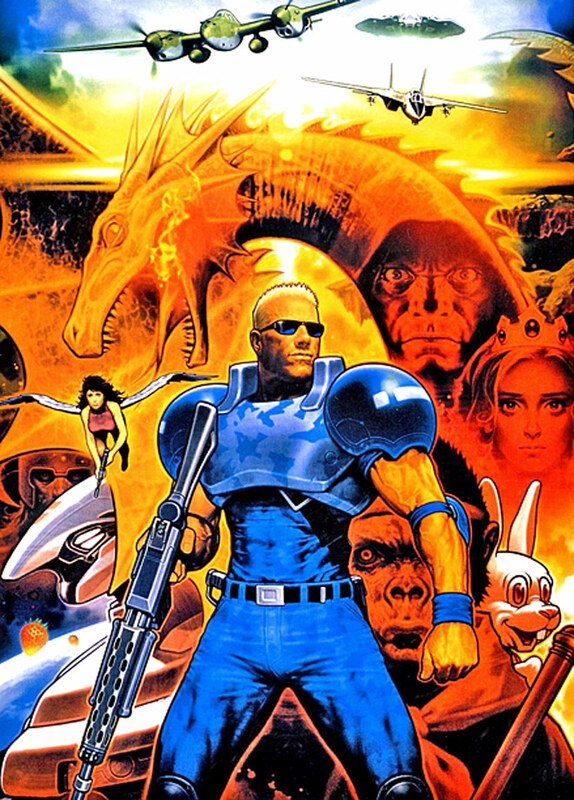 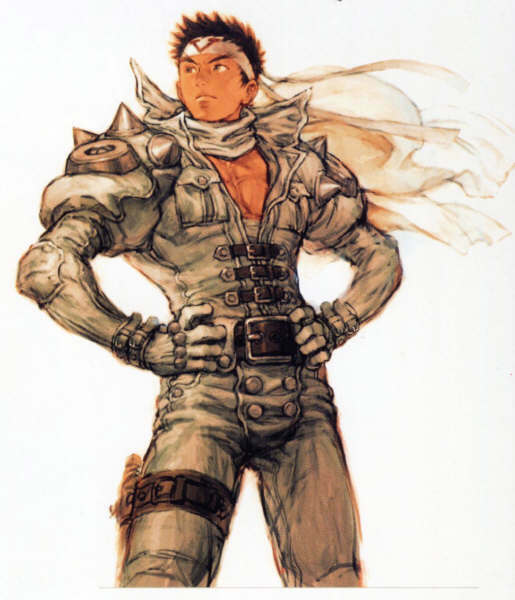 Bengus is without a doubt a legend and one of the best video game artists of all time. 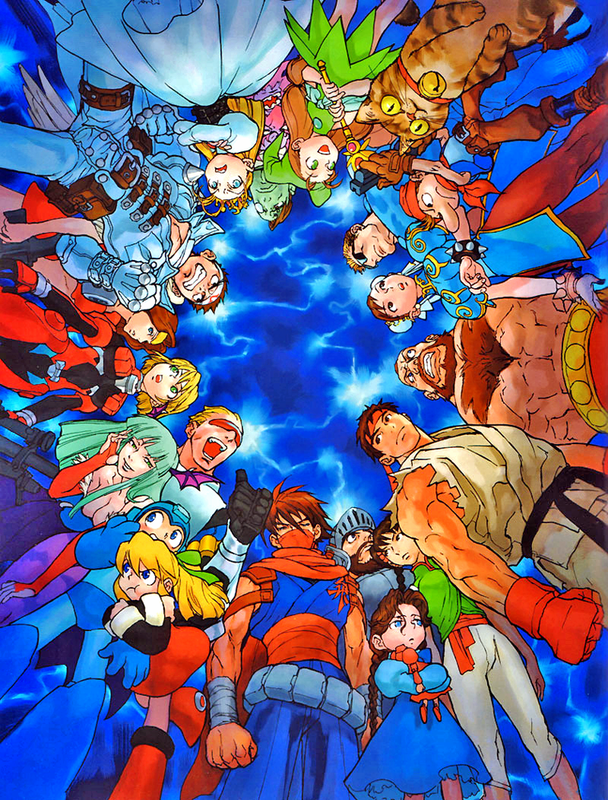 Capcom fighting games simply wouldn't have been such a huge success without the influence of Bengus. 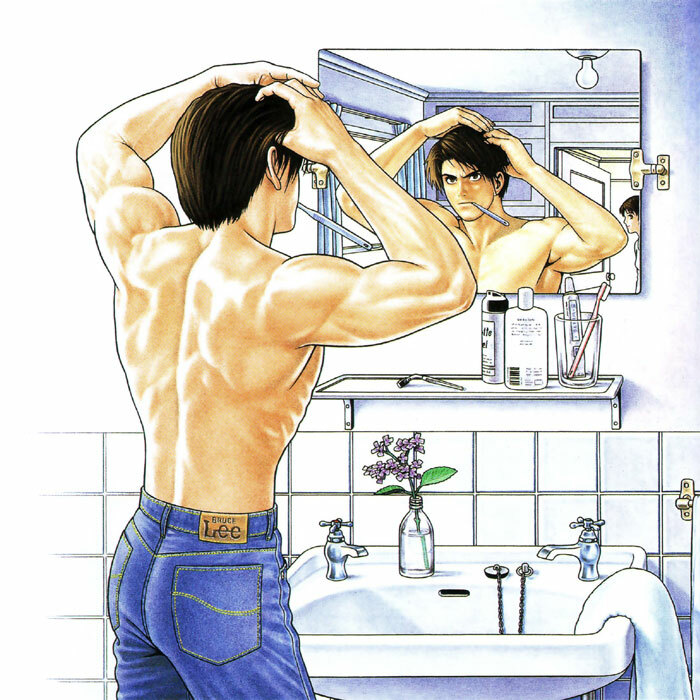 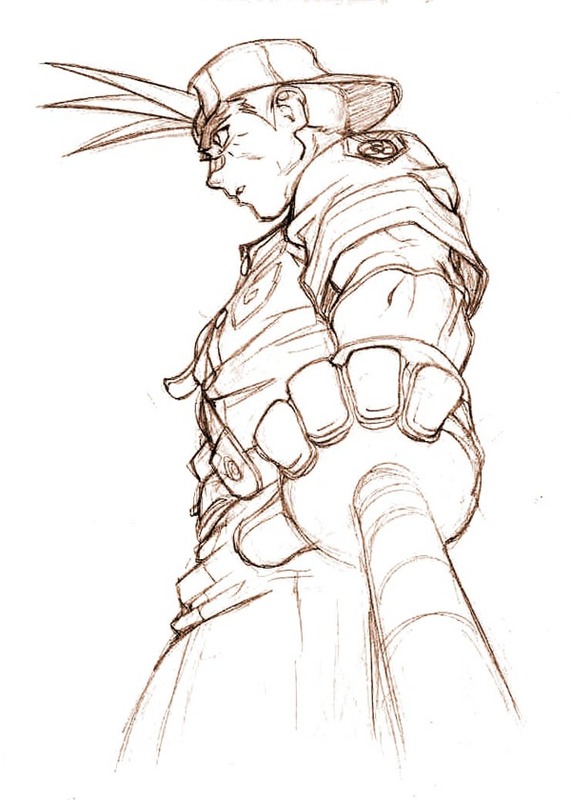 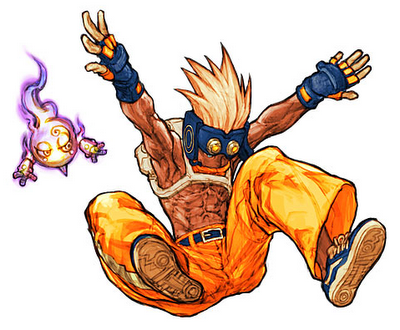 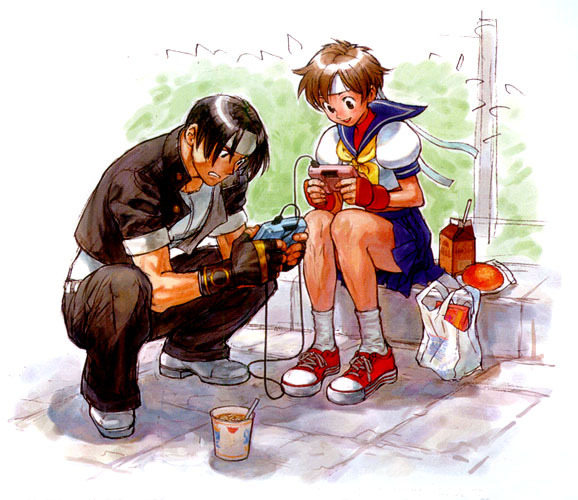 Daigo Ikeno (real name Ikeno Metaka) is a character designer and illustrator for Capcom since 1994 (to present). 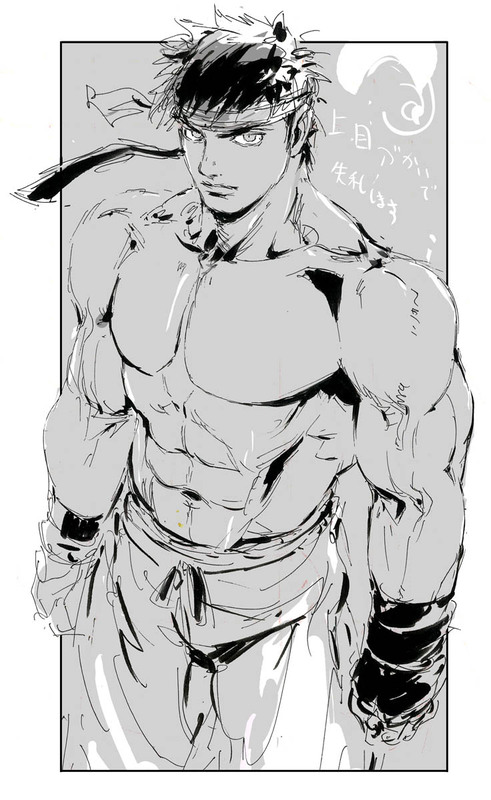 He was born on July 17th, 1973. 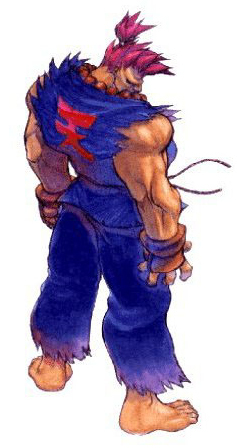 Early on, Daigo became known for his work on Street Fighter 2, Street Fighter Alpha, Darkstalkers, SFEX series, Super Puzzle Fighter II Turbo, SFIII: 3rd Strike, and Battle Circuit. 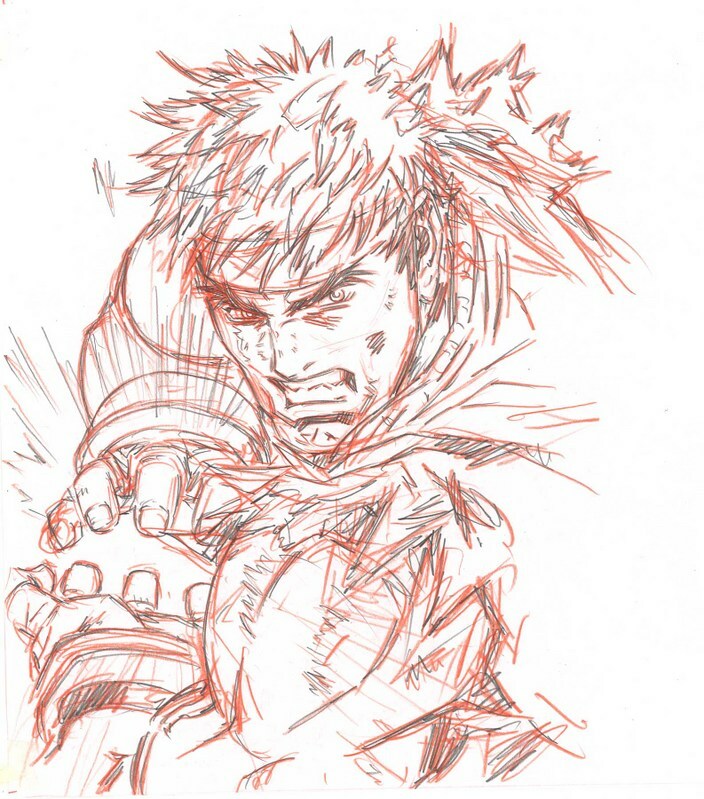 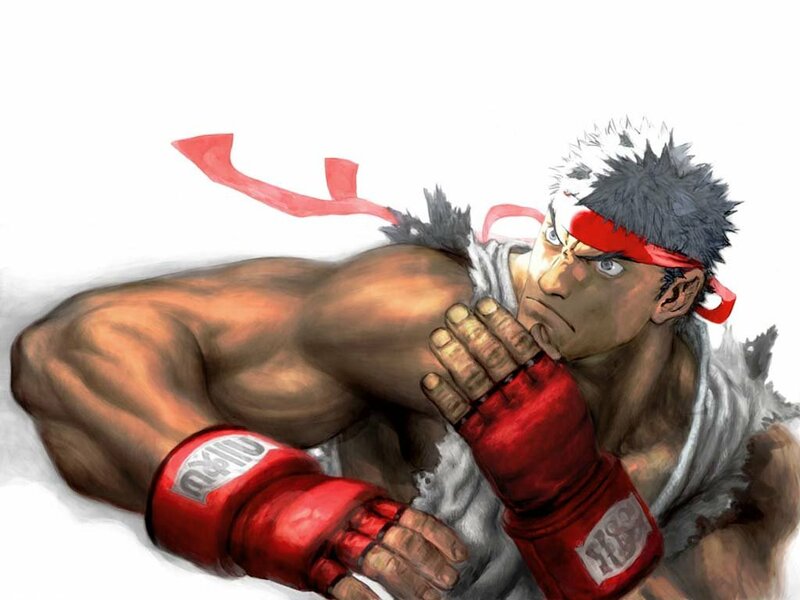 He was also the lead artist and character designer for Street Fighter IV and Super SFIV. 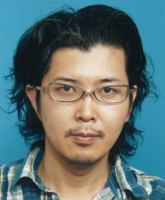 Ikeno also worked on Devil May Cry 3, Dead Rising, Onimusha 2, and Dragon's Dogma. 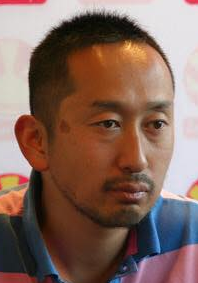 He currently resides in Osaka, Japan with his wife and two sons. 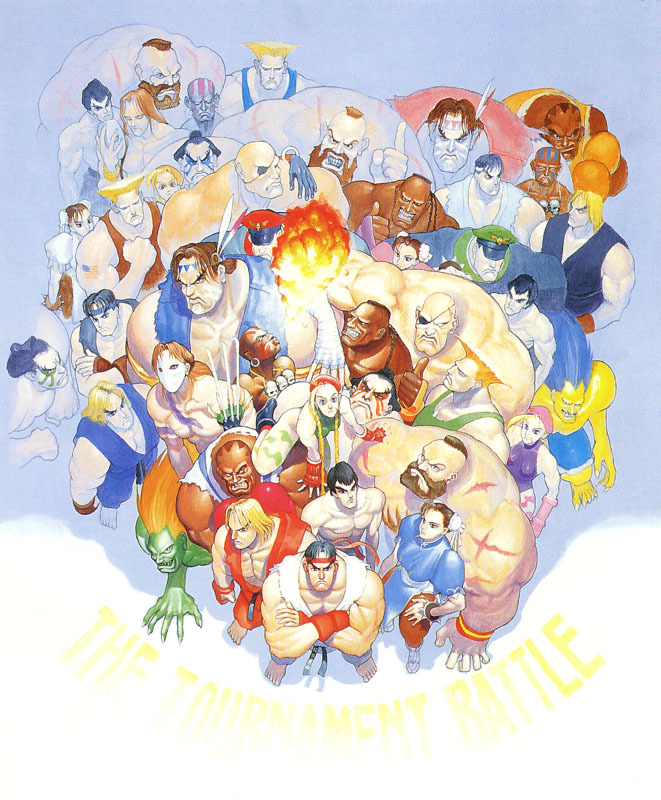 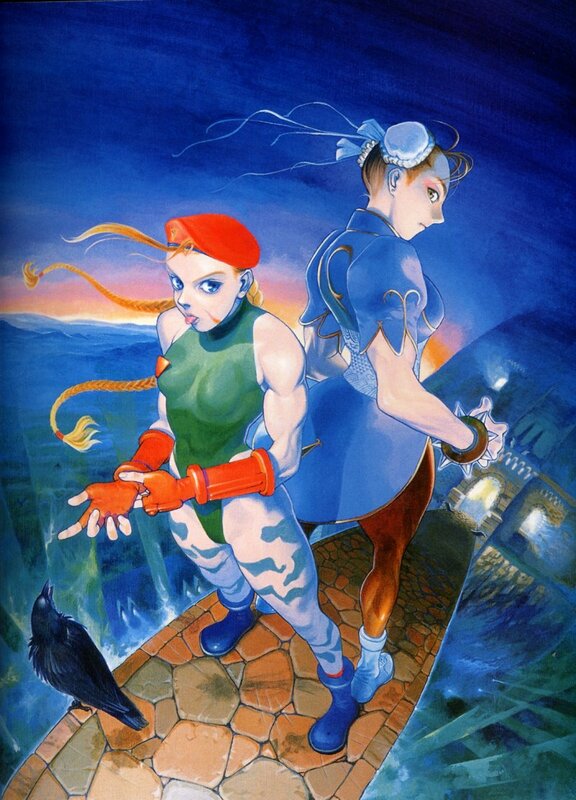 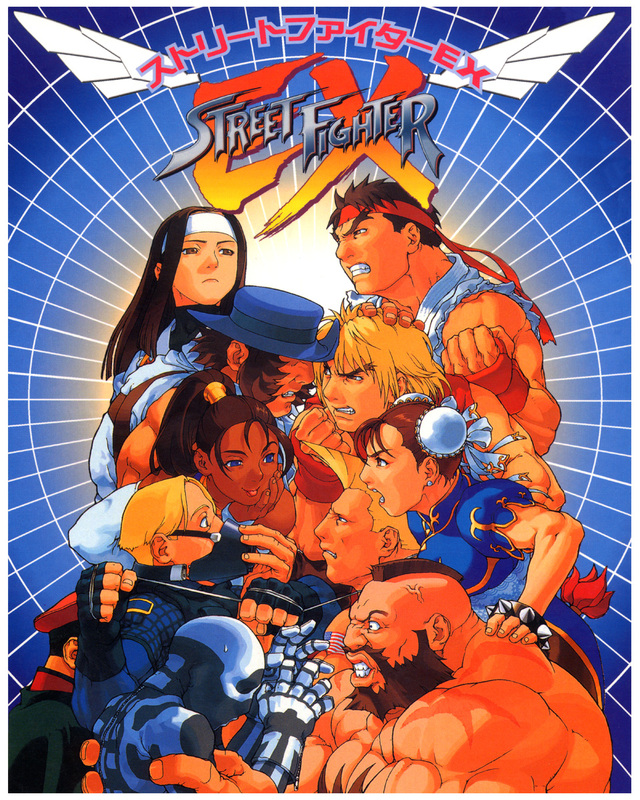 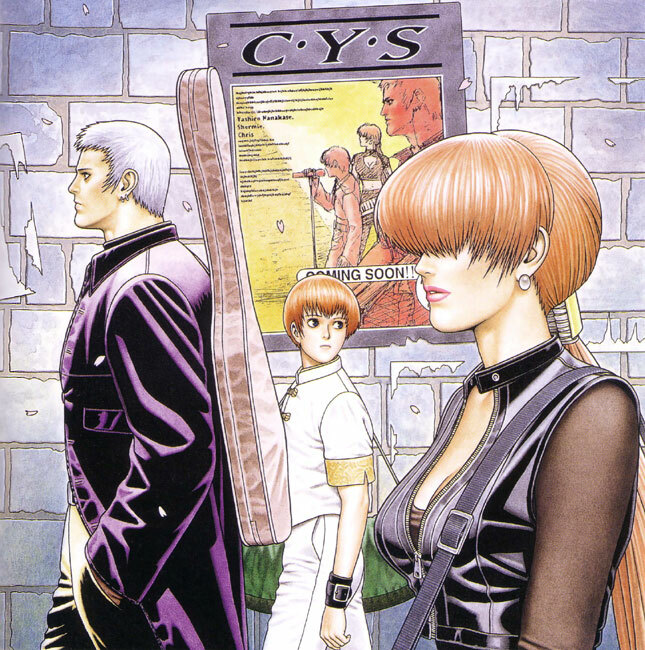 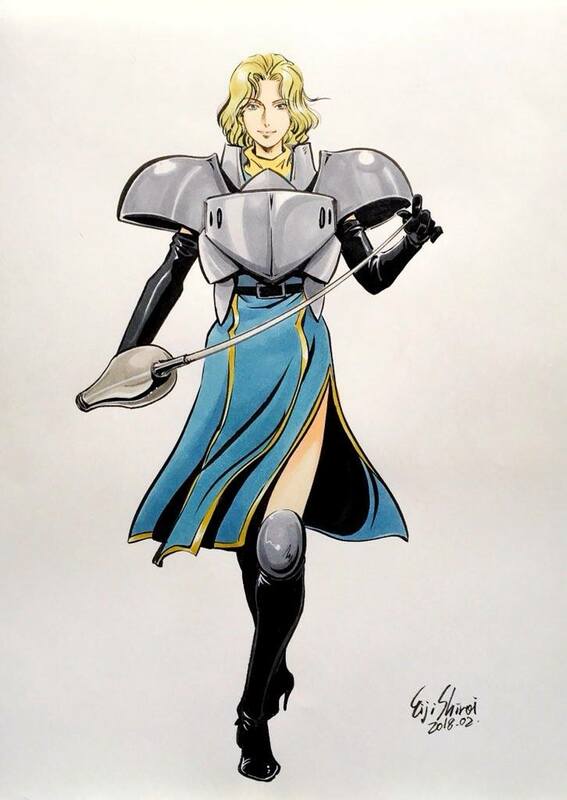 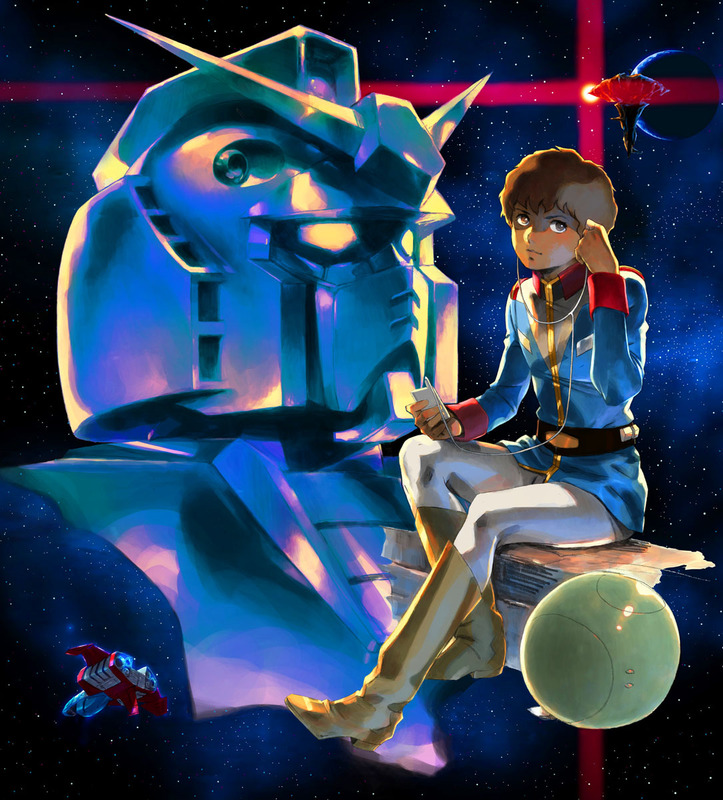 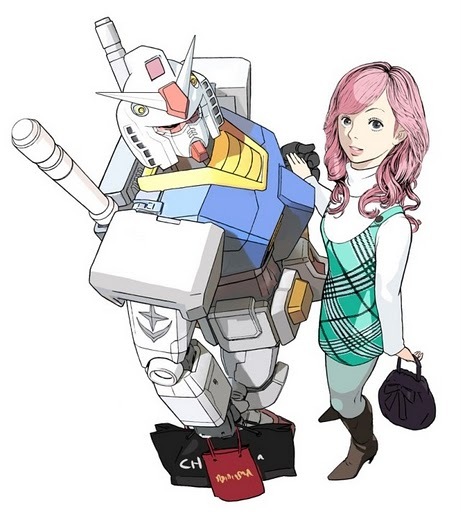 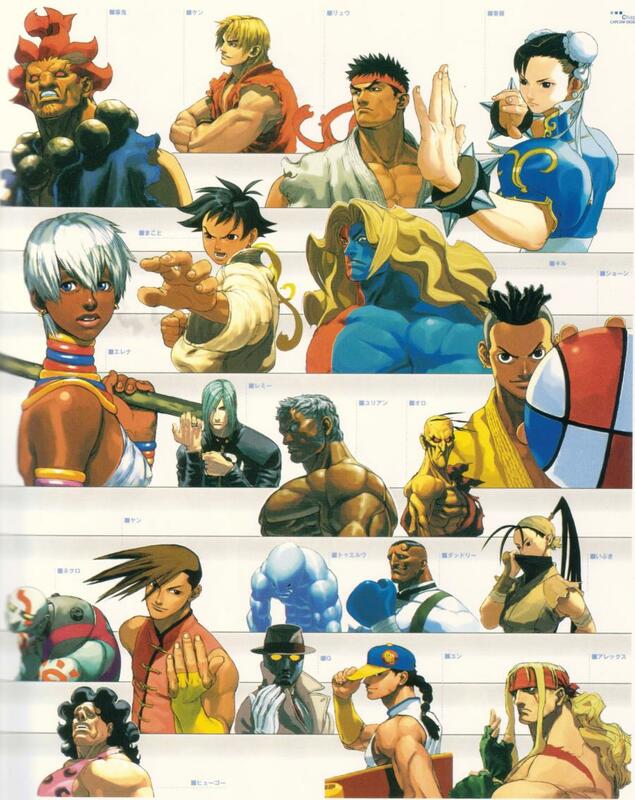 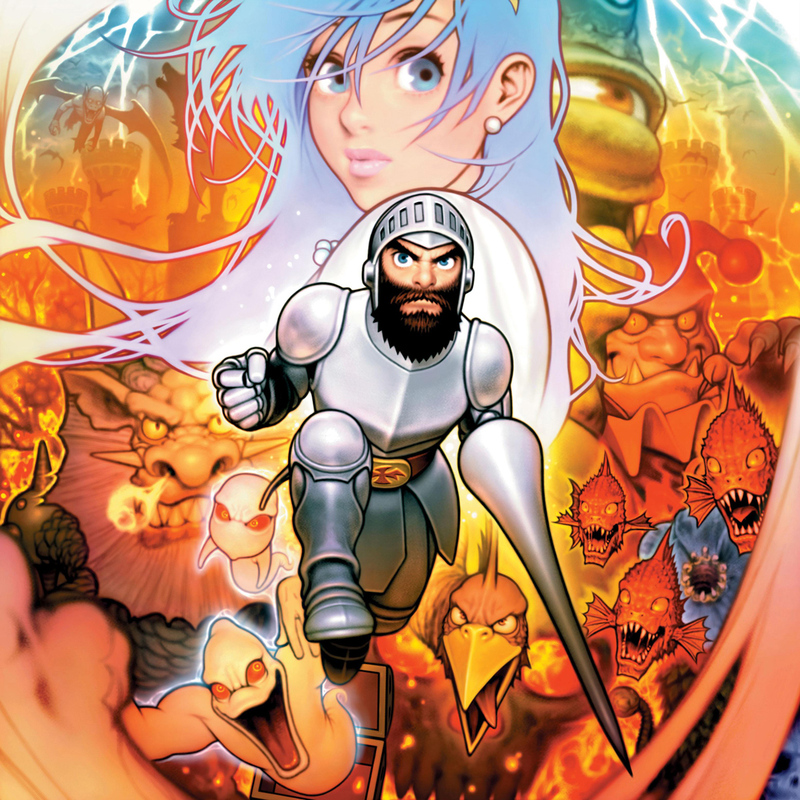 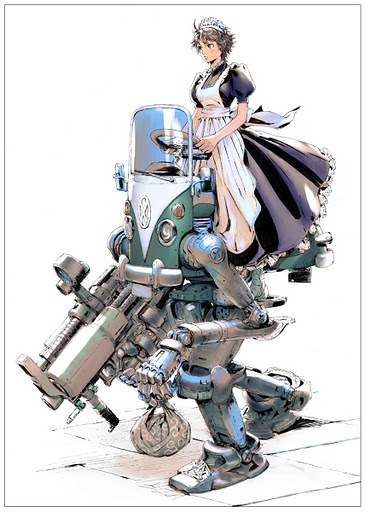 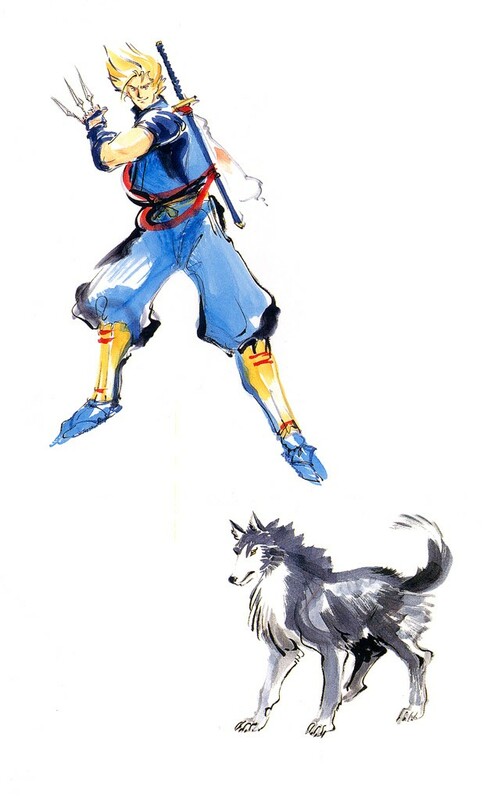 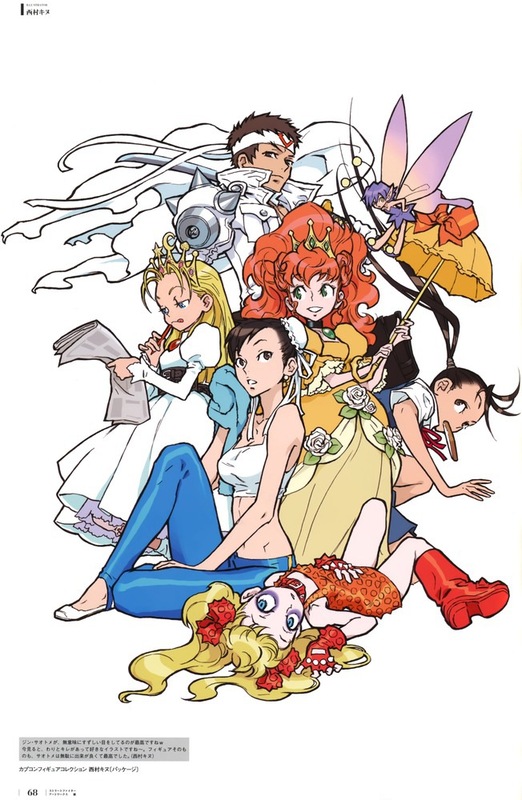 A female artist, Kinu Nishimura became famous for her work on various Capcom series, including: Street Fighter, Cyberbots, the D&D games, Gaia Master, and Cannon Spike. 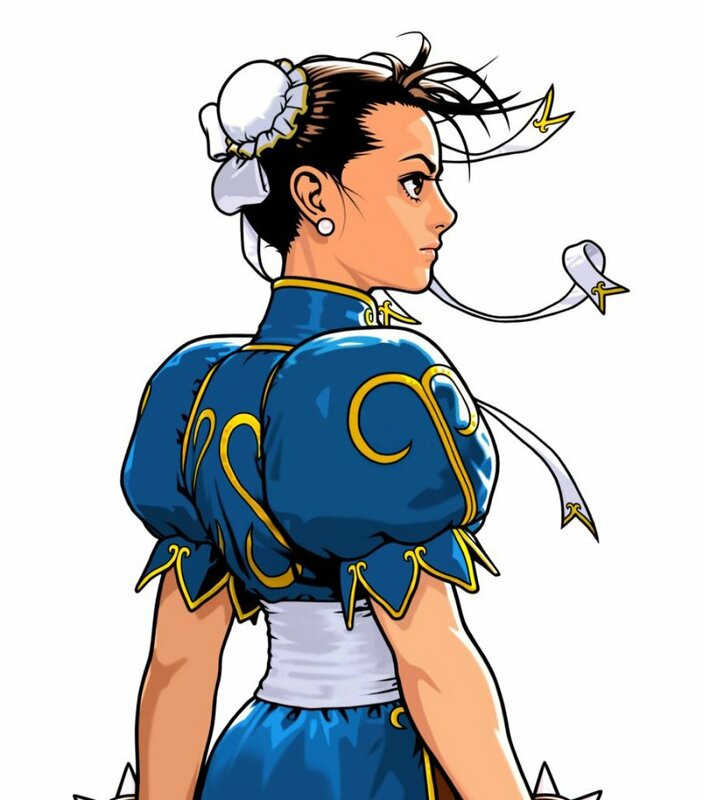 Some of her most iconic Street Fighter artwork include Street Fighter 2 Turbo's "in your face" character artworks, the Street Fighter III portraits with the sketchy lines, and SFIII's stylish win/lose character art. 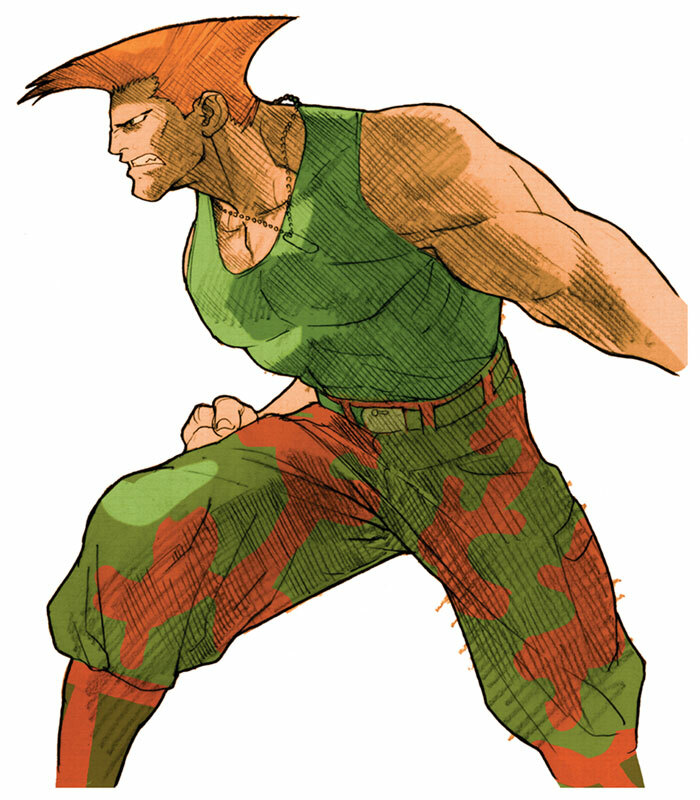 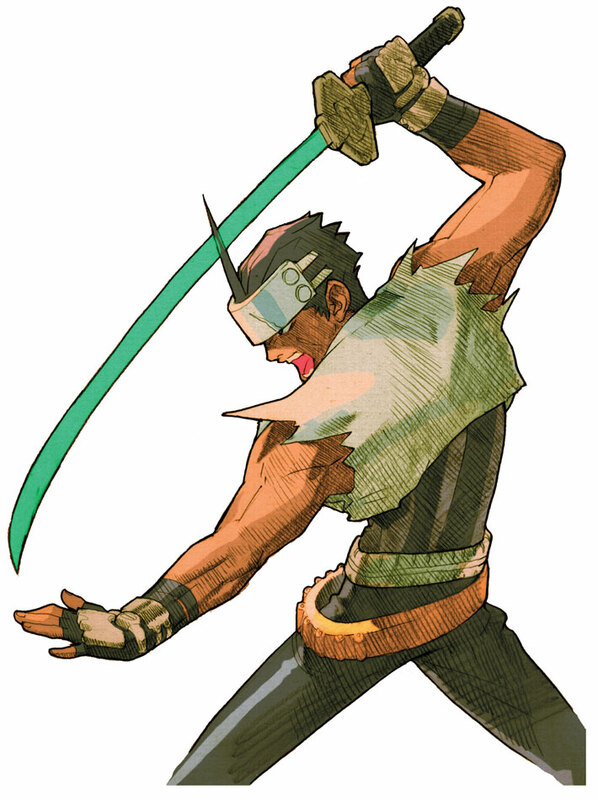 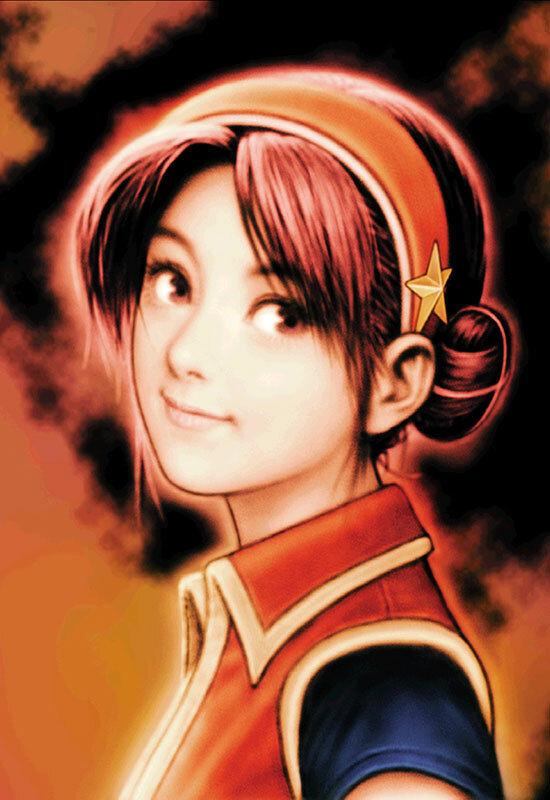 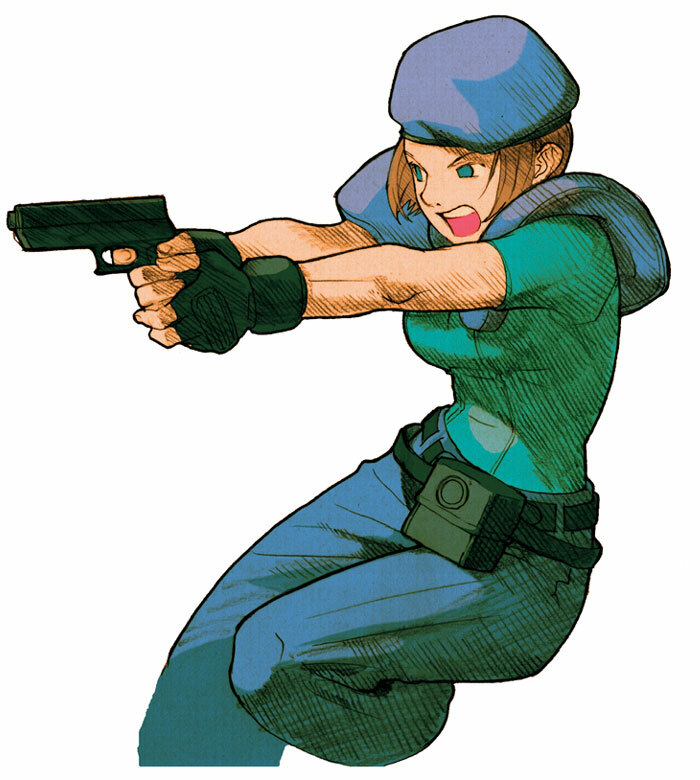 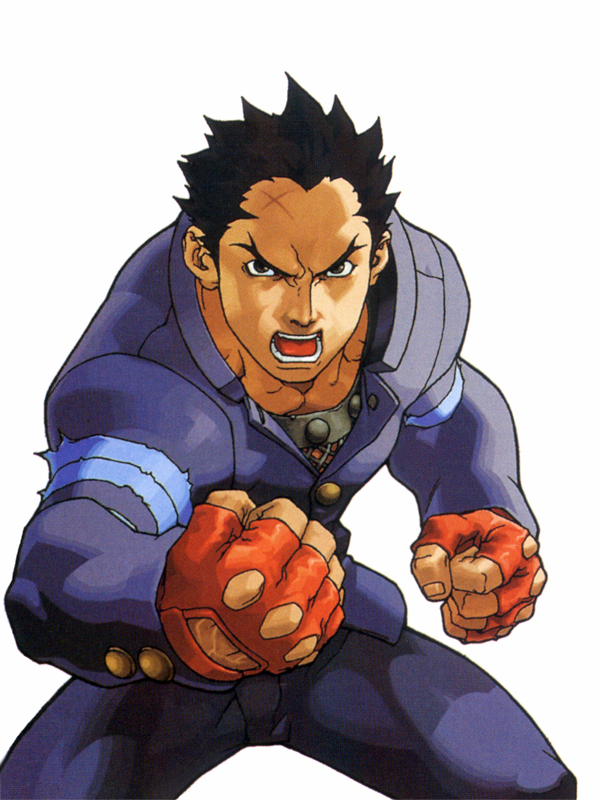 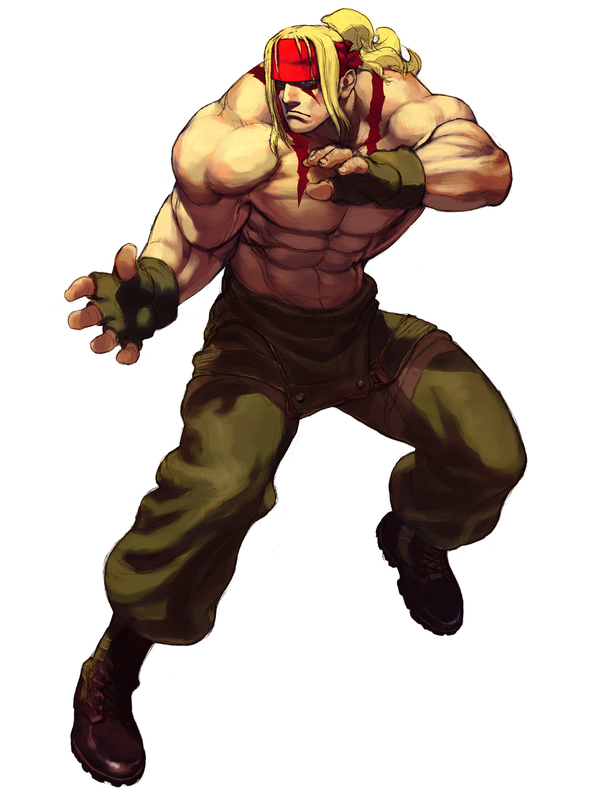 Kinu was also the main Capcom artist for Capcom VS SNK & Capcom VS SNK 2 character portraits. 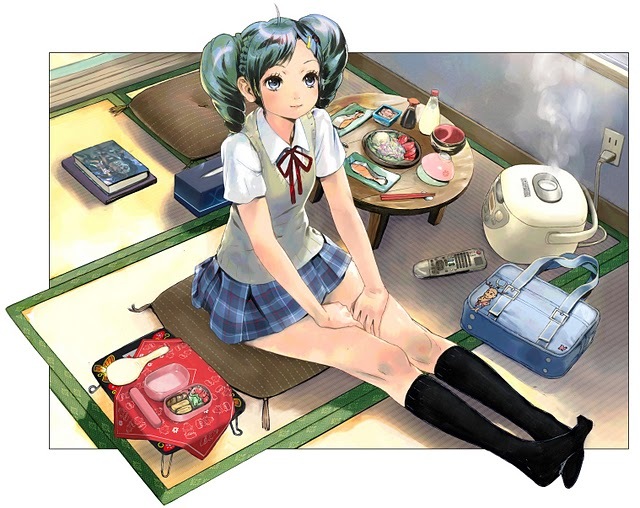 Kinu's gorgeously clean, yet sketchy art style is pretty easy to recognize. 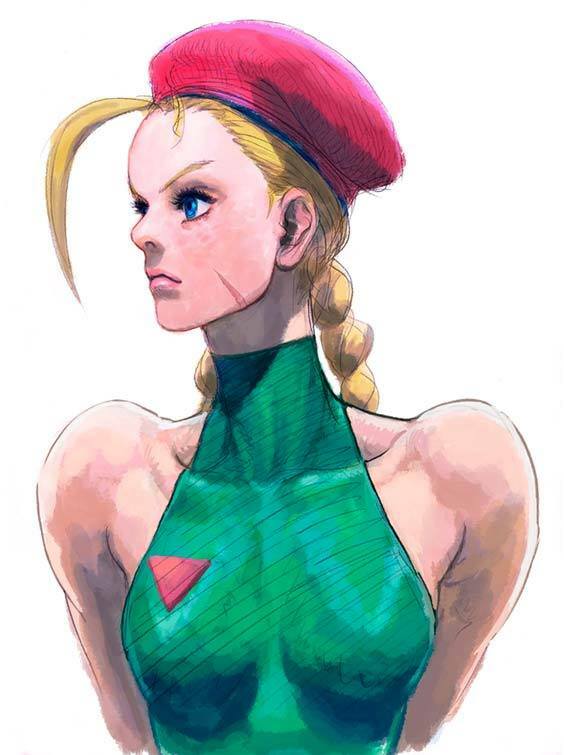 She often uses a painted style, as seen in the CVS portraits. 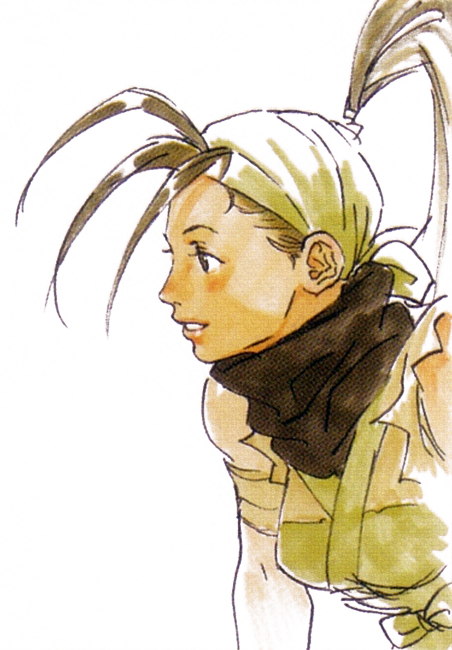 The way she draws female faces is one of her art style's most defining qualities. 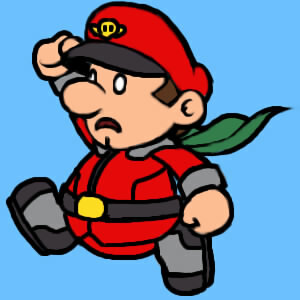 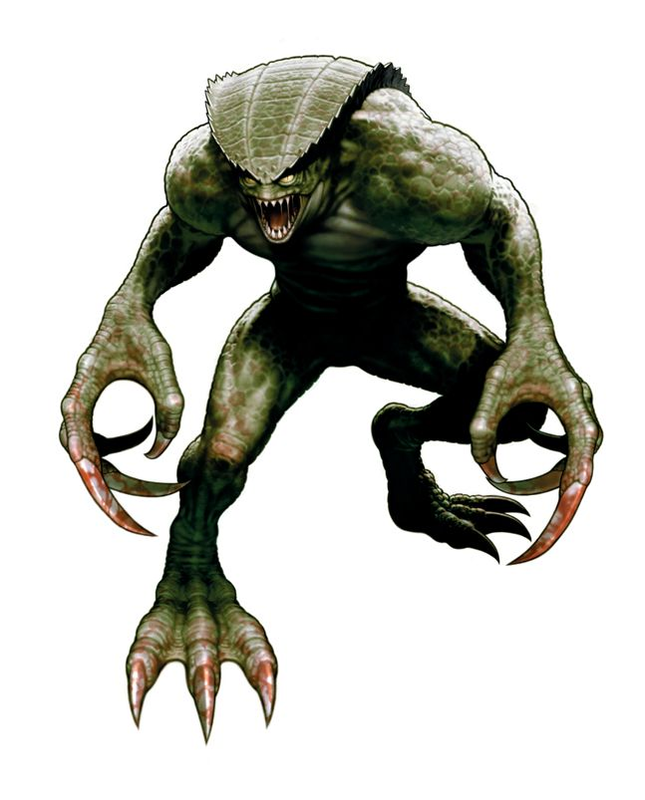 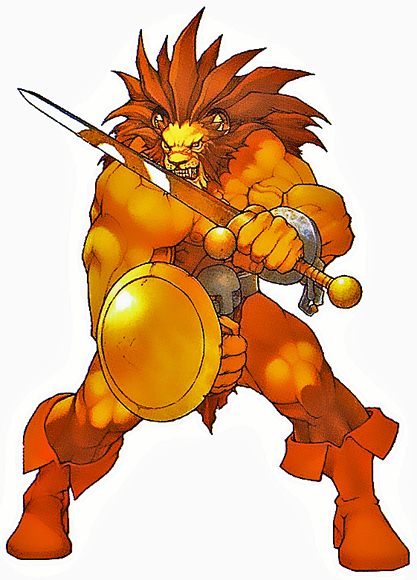 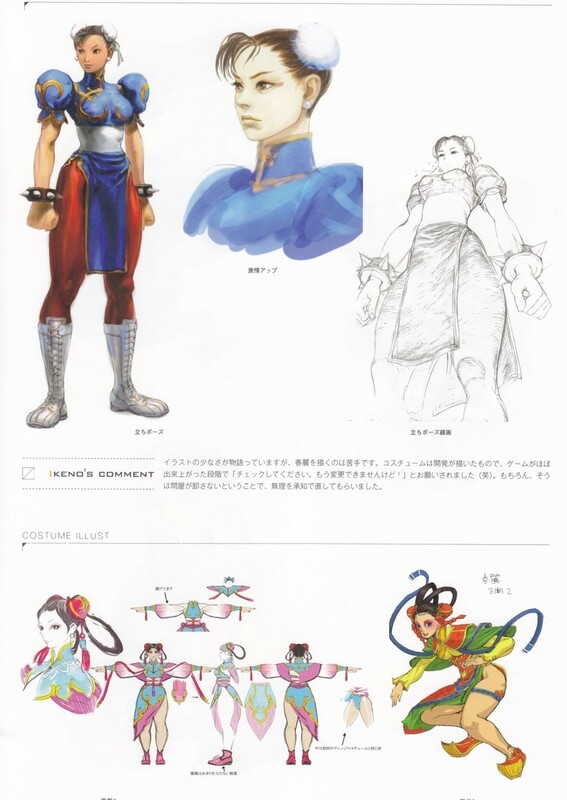 Many Capcom toys and statues were closely based on Kinu's original 2D artwork. 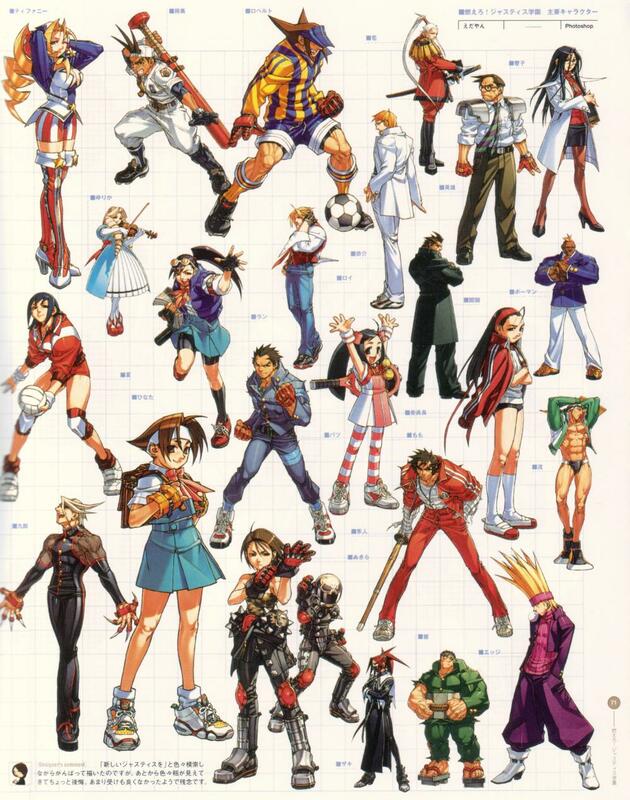 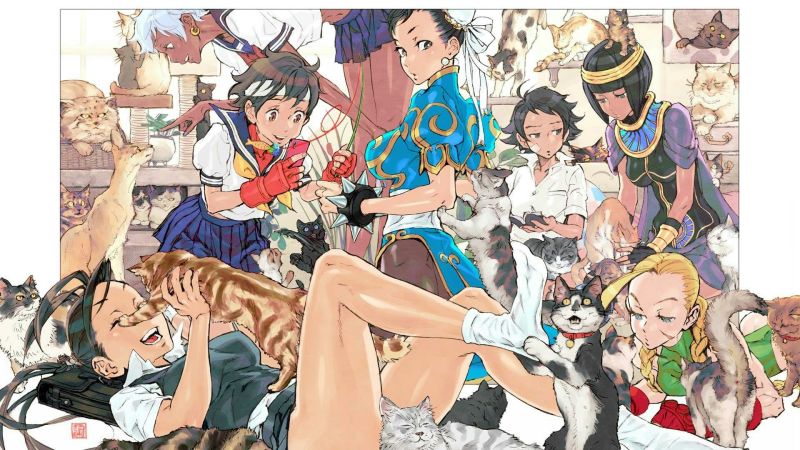 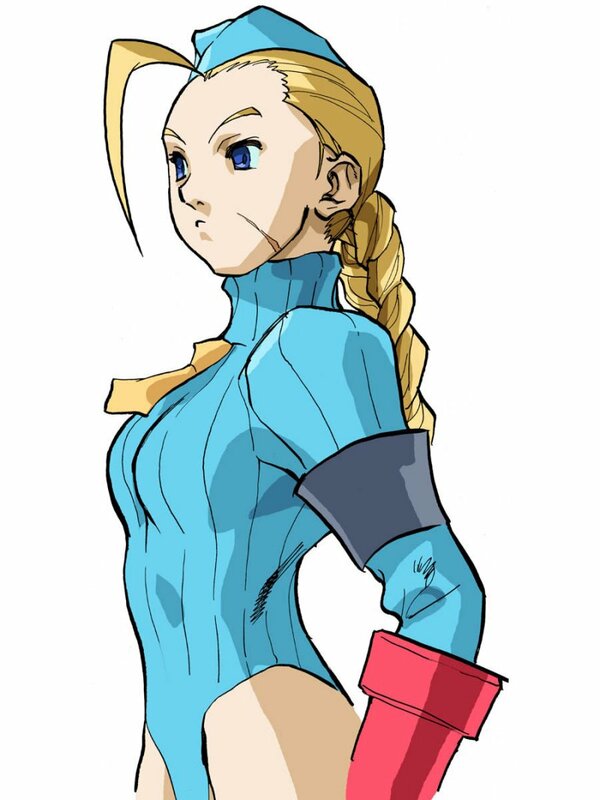 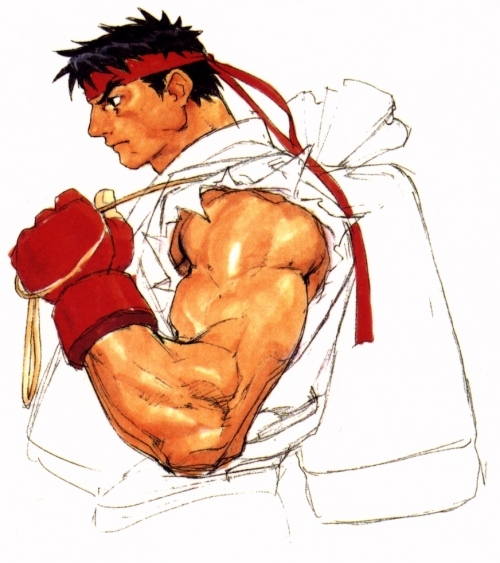 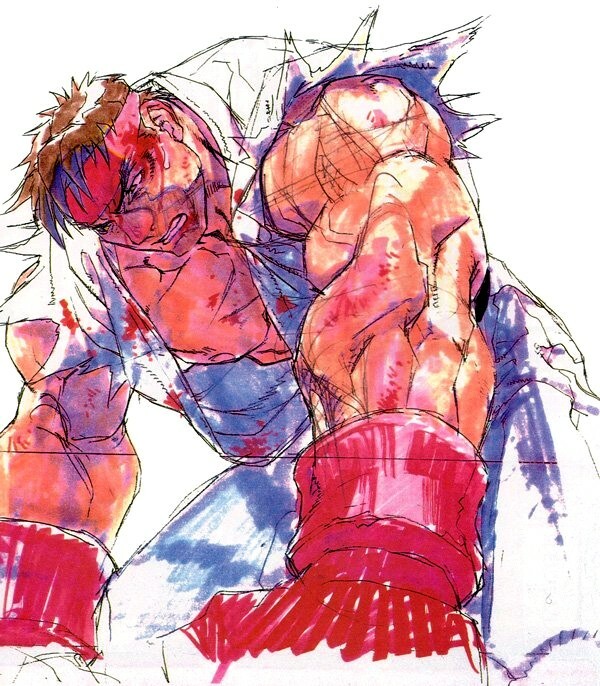 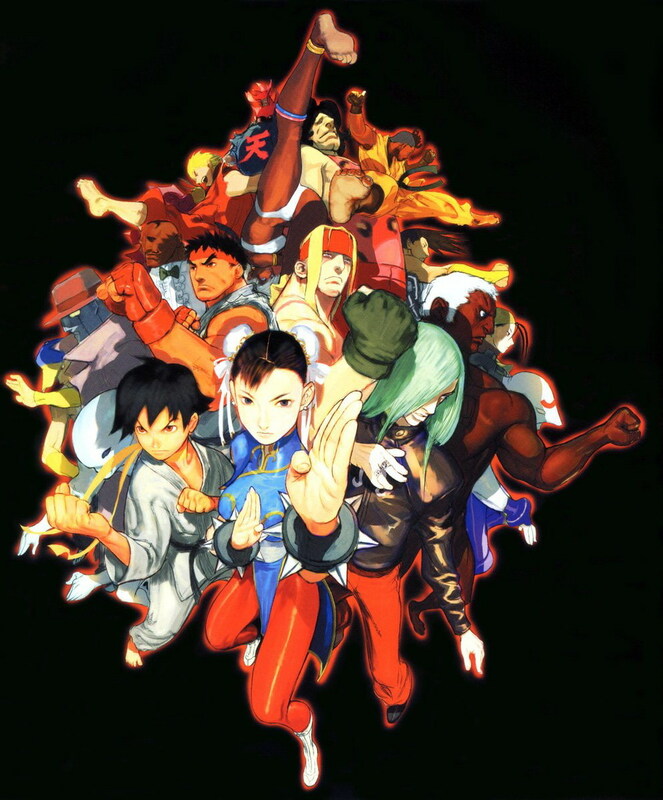 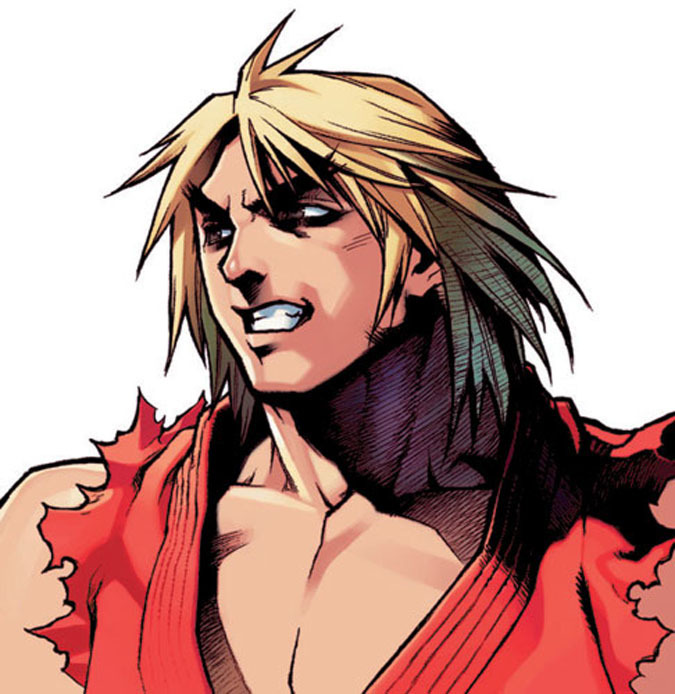 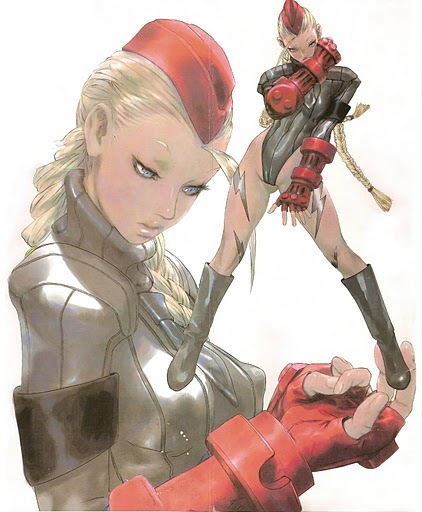 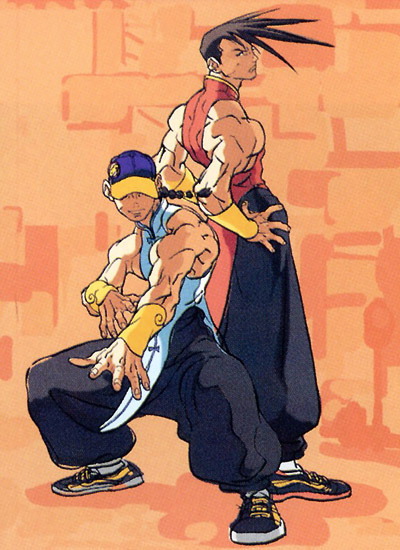 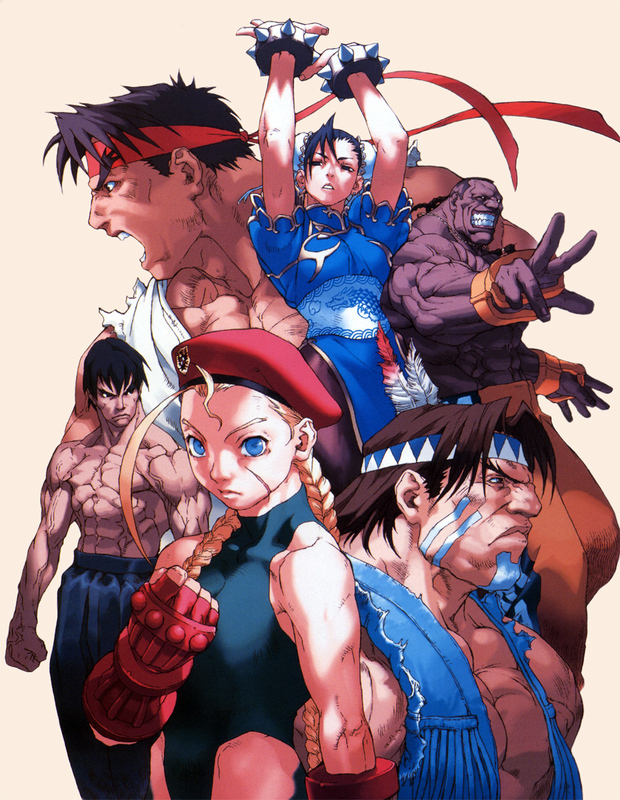 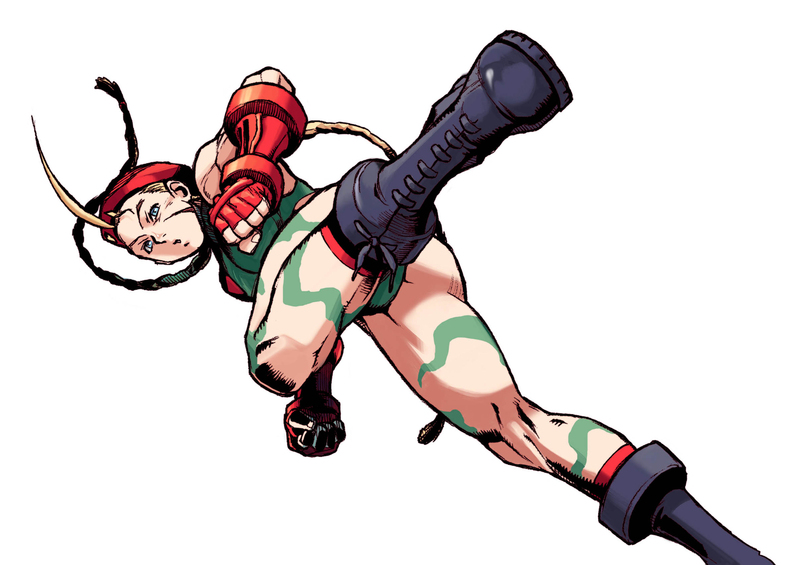 There's no doubt Kinu Nishimura is one of the greatest fighting game artists of all time! 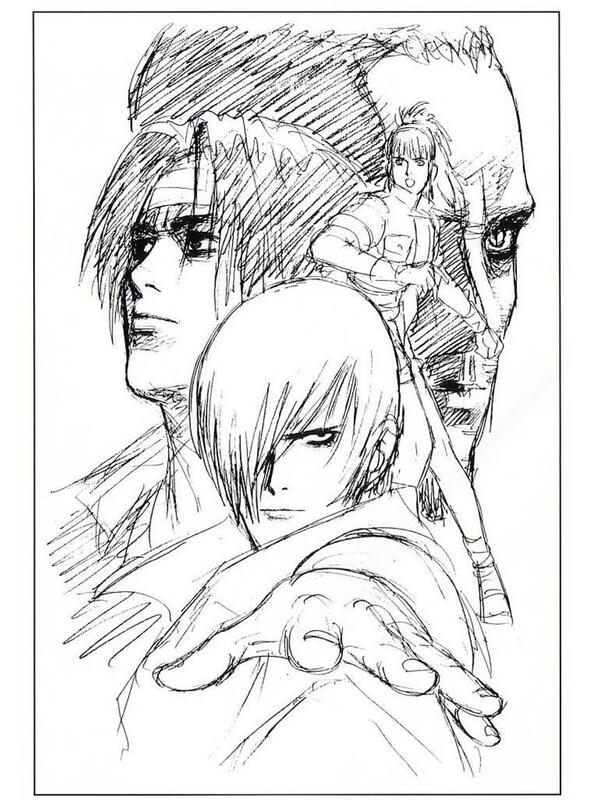 Eiji Shiroi (real name Jin Mera) is a female freelance artist and dessin drawing teacher who started working for SNK in October 1992. 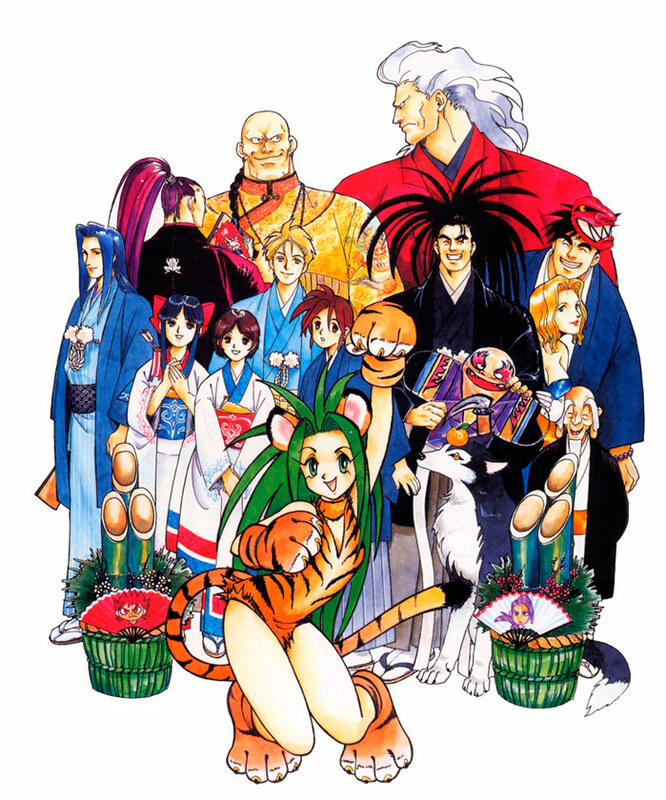 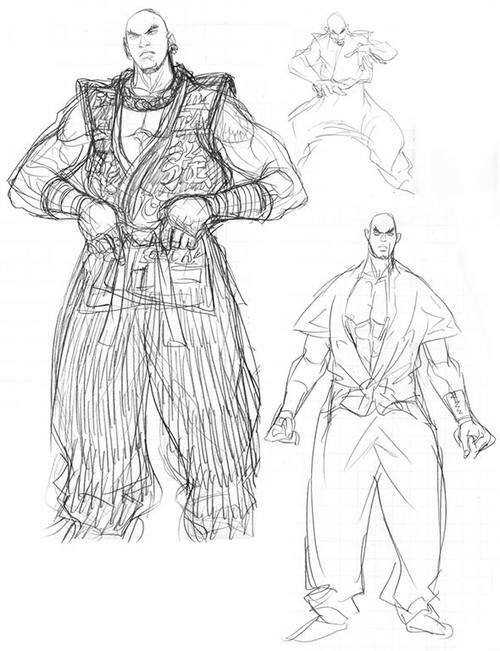 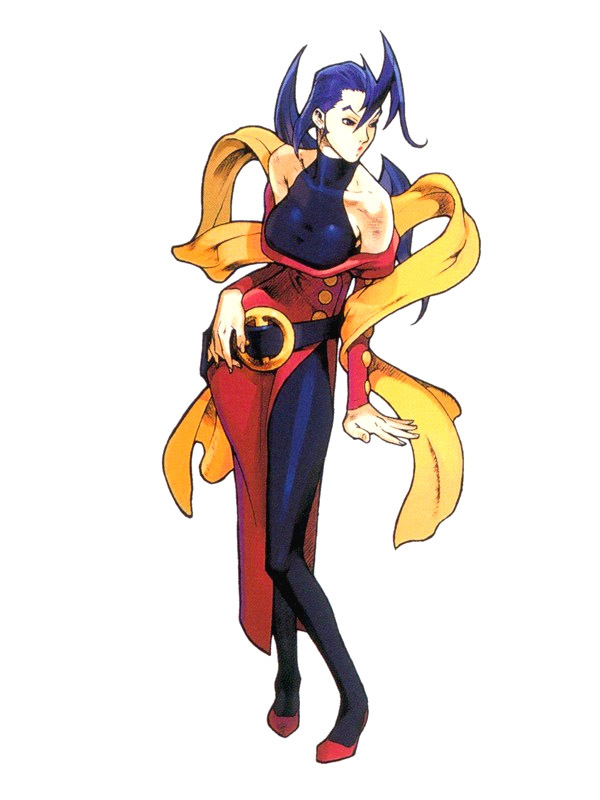 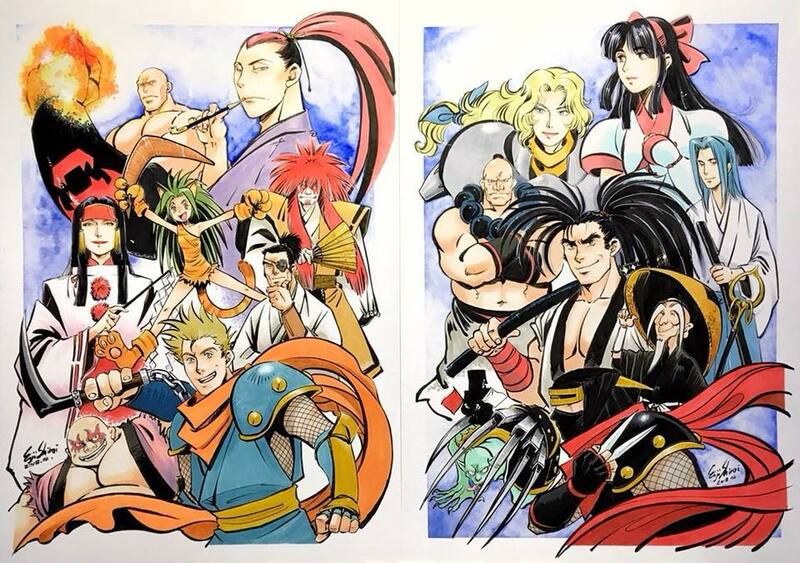 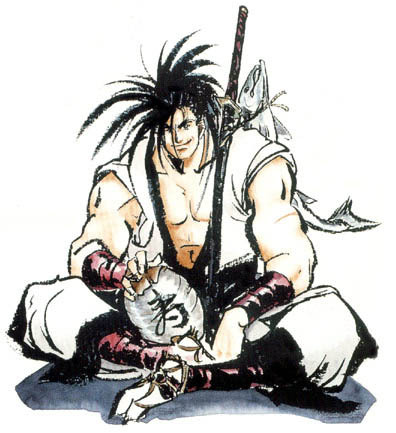 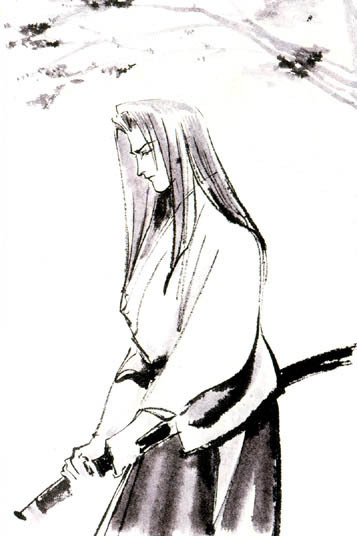 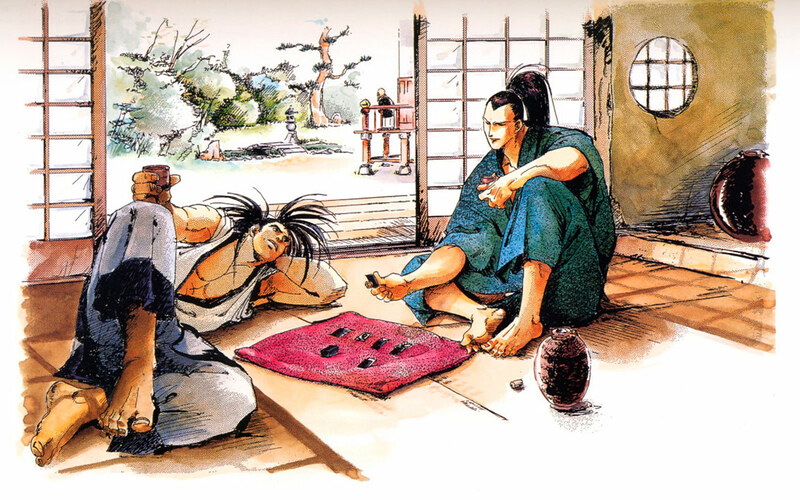 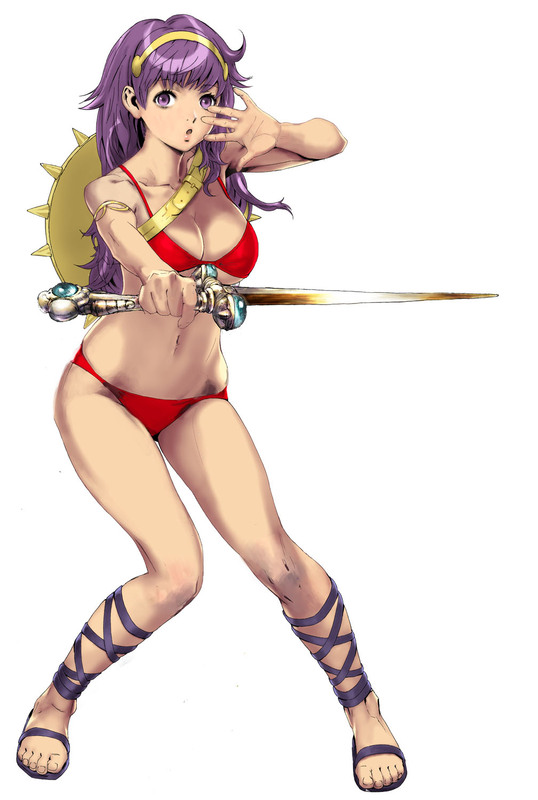 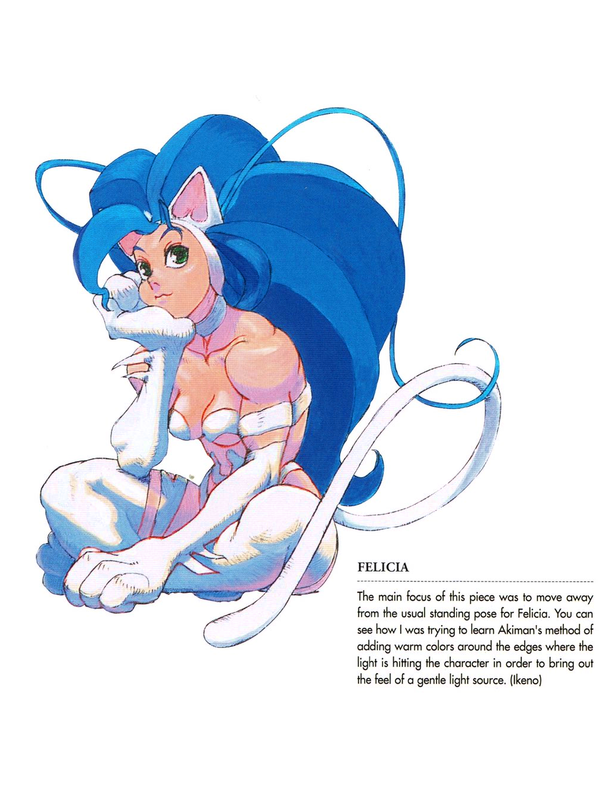 She was the main illustrator for the Samurai Shodown series (SS1 through SS4). 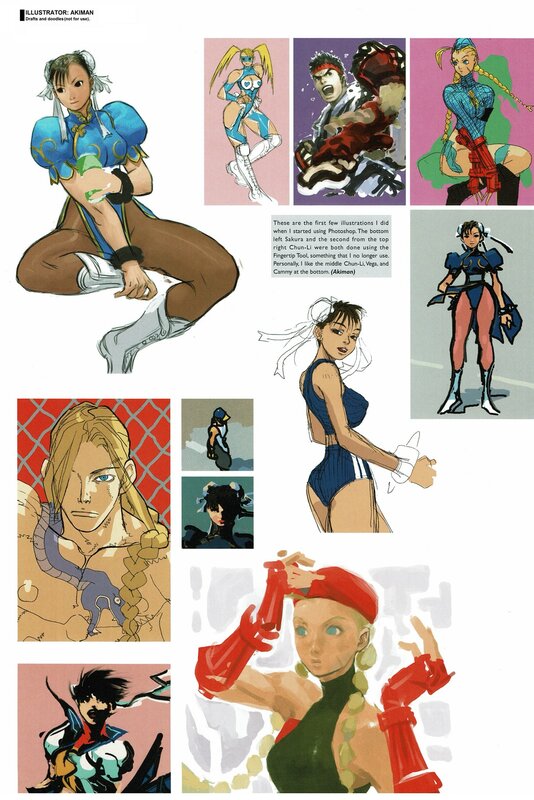 Her first official SNK project was doing character illustrations and several posters for Fatal Fury 2. 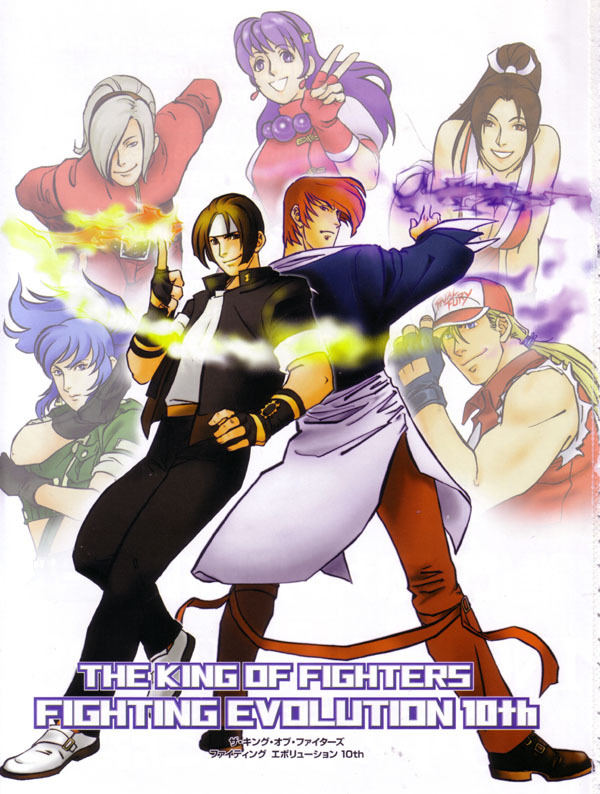 She also drew illustrations for Art of Fighting 2, Kizuna Tag Battle, KOF series and Card Fighters Clash. 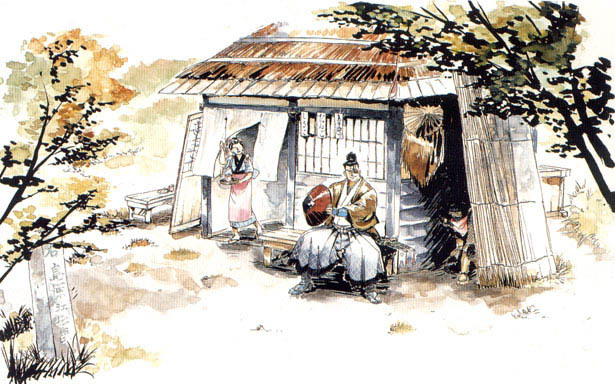 Shiroi's artwork has an "ancient Japanese look" to it, as she uses brush outlining and other traditional techniques. 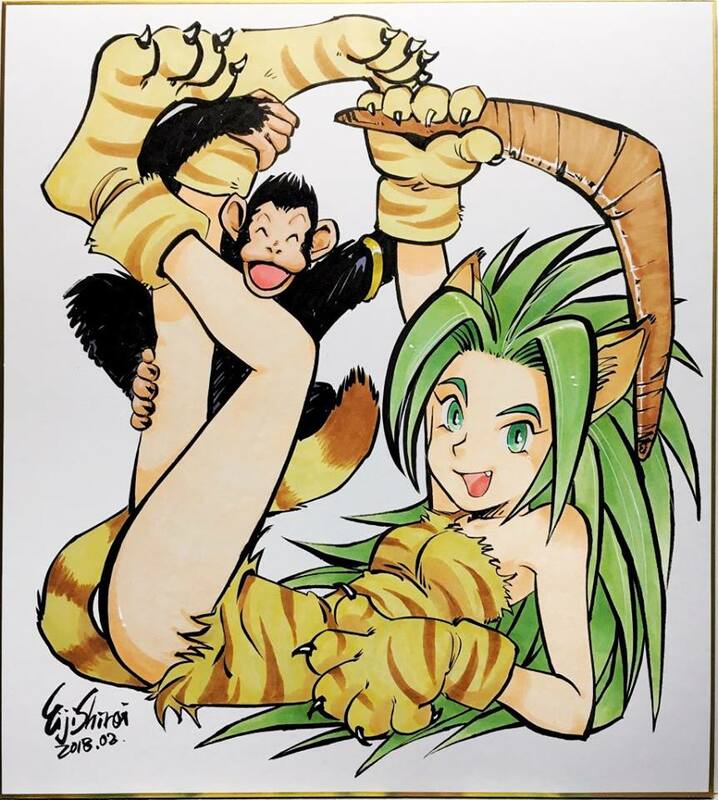 Shiroi's main drawing tools for her illustration is Japanese brush, ink, marker ink and pigment color. 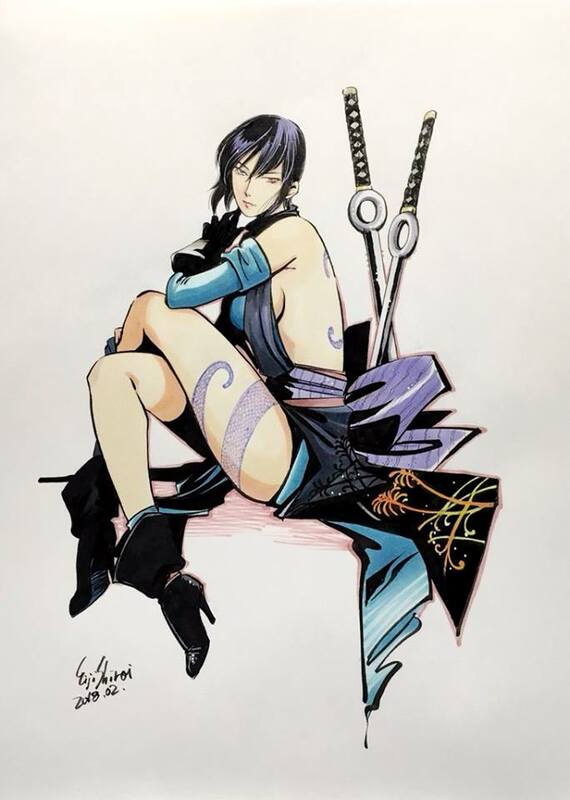 She generally outlines her work with ink and colored with marker ink or pigment color. 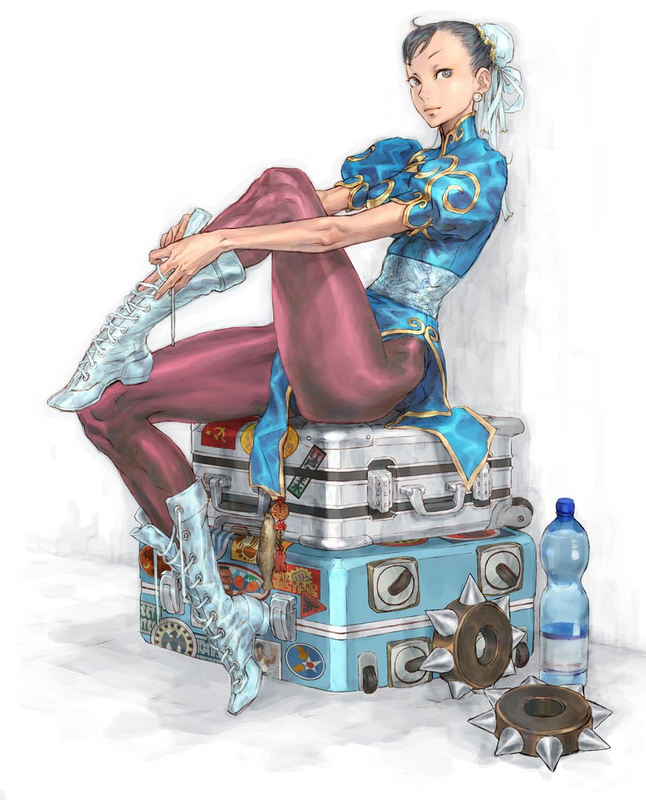 Other painting colors such as pastels, marker pens, oil color, acrylic gouache and air brush are also used to achieve her vibrant and charismatic character illustrations. 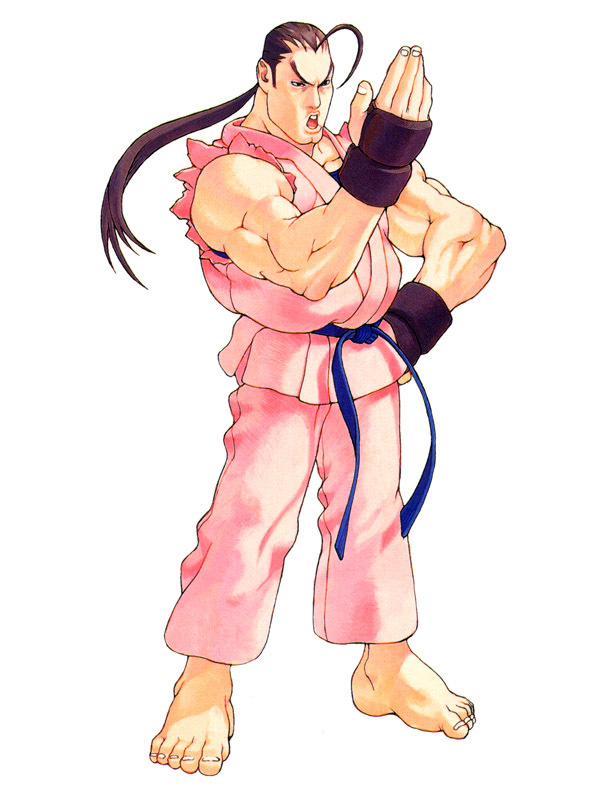 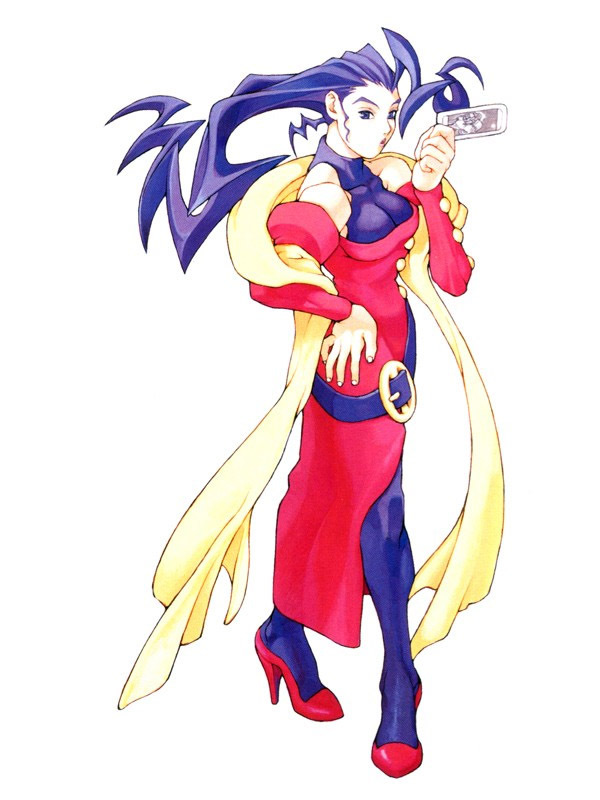 FUN FACT: Eiji Shiroi got her pen name by being known for playing Eiji in Art of Fighting 2, as she always picked Eiji's white alternate color. 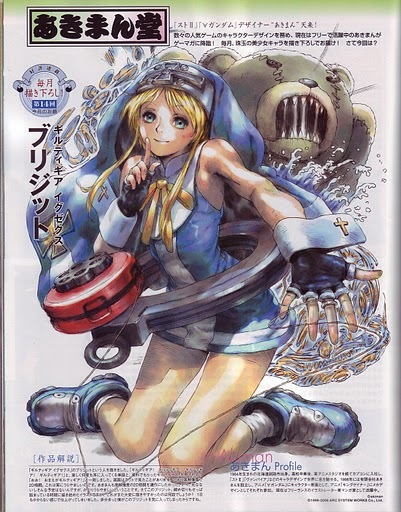 Therefore, her pen name was not read as "Shirai" but "Shiroi" (White). 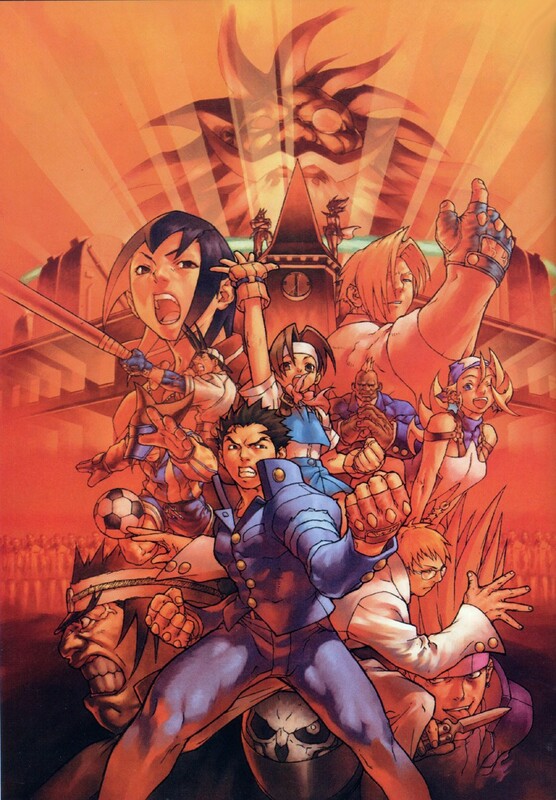 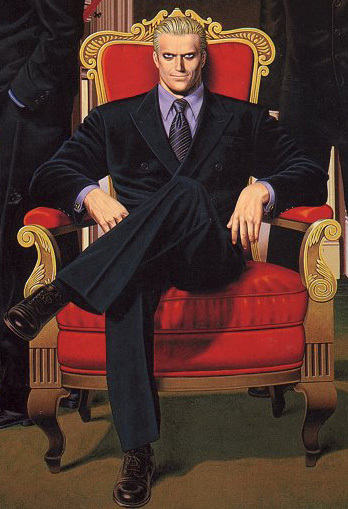 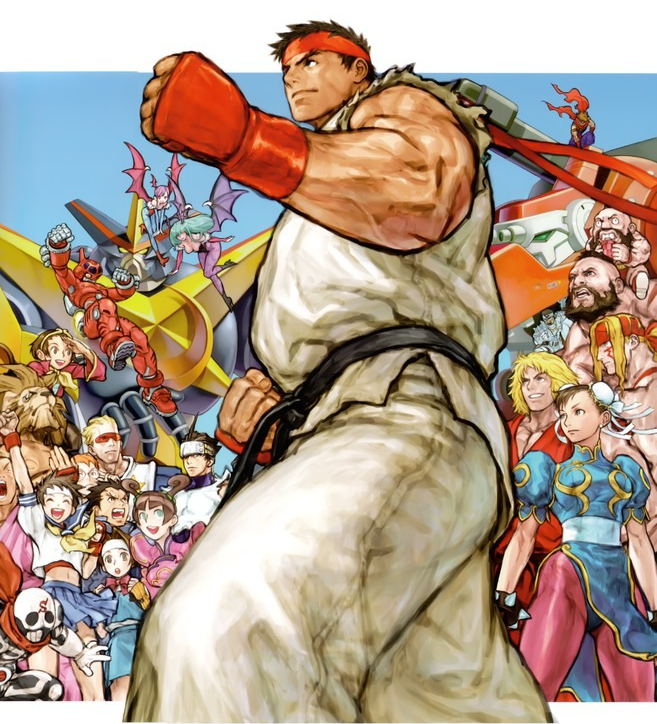 Edayan, known for his spectacular Rival Schools and Street Fighter series character illustrations, is among the most iconic (and perhaps underappreciated) Capcom artists of all time. 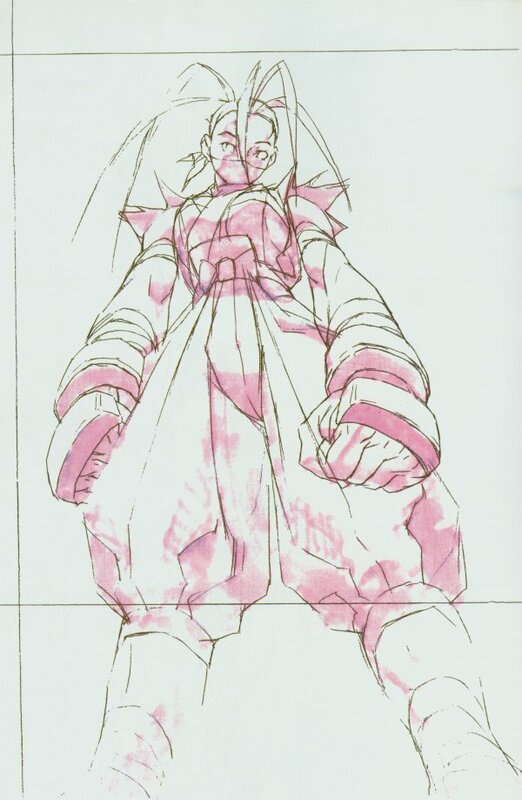 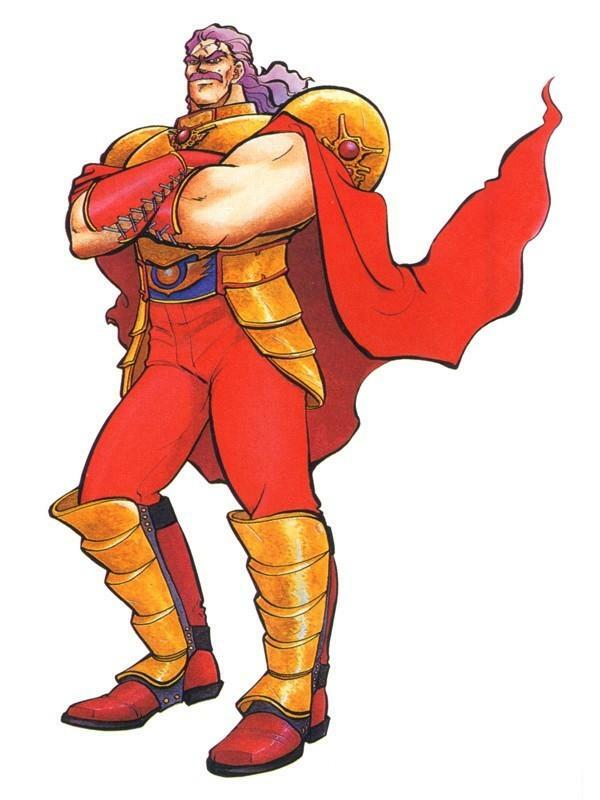 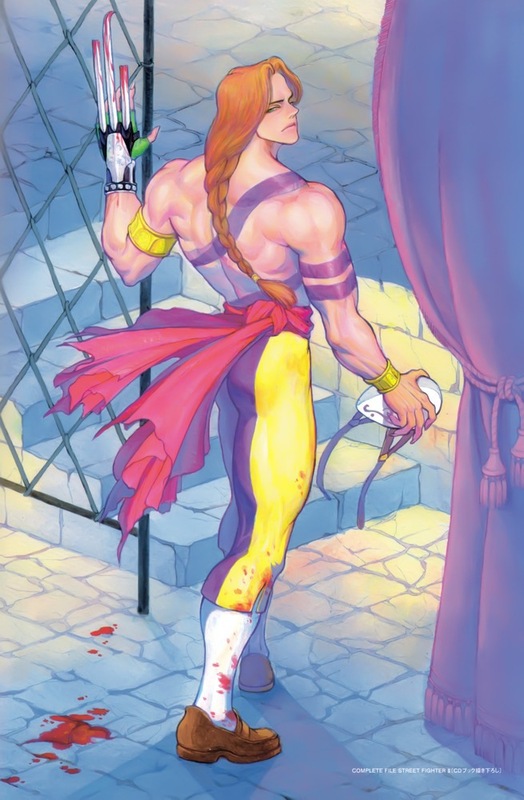 Edayan amazingly captured Bengus's Street Fighter Alpha art style when he drew the character artwork for Street Fighter Alpha 2. 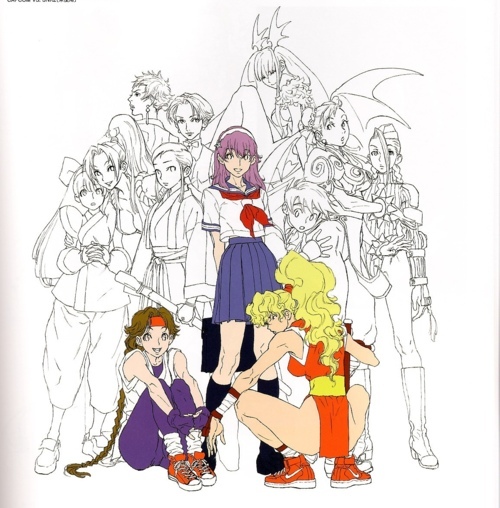 He drew SFA2's artwork so well in fact, that he even confused many fans (including myself) into thinking Bengus actually did the artwork for the game! 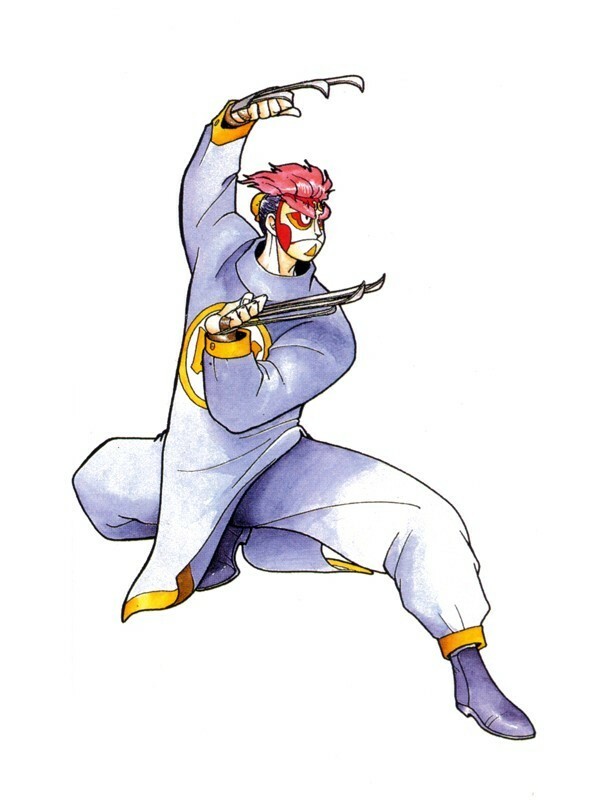 His pen name "Edayan" was a nickname used by his older brother when they were younger. 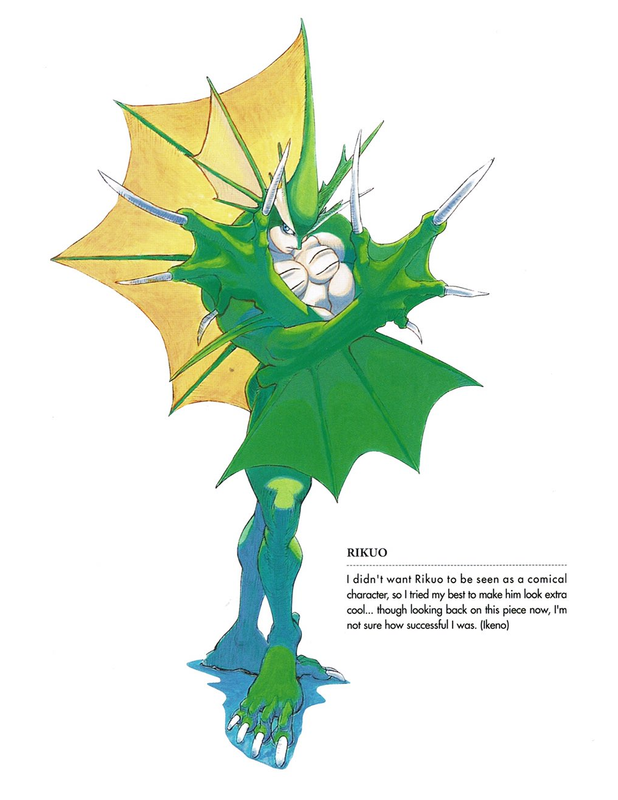 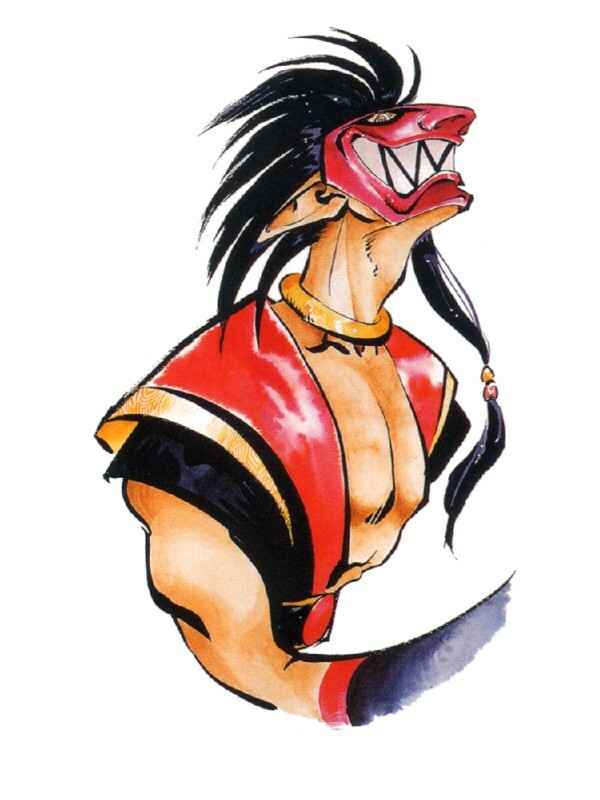 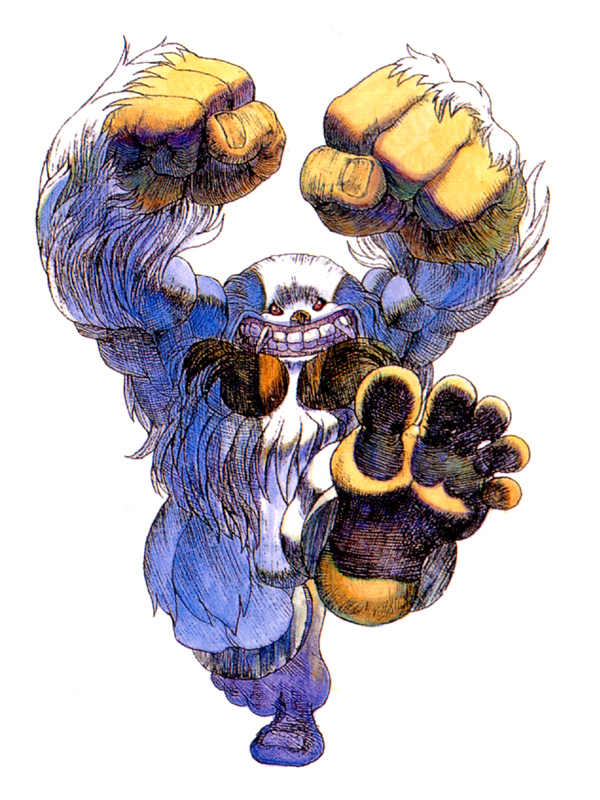 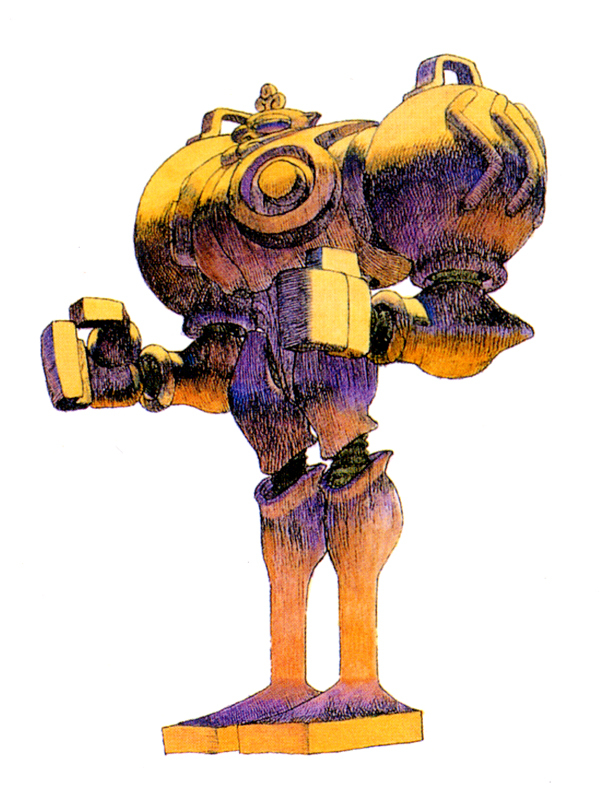 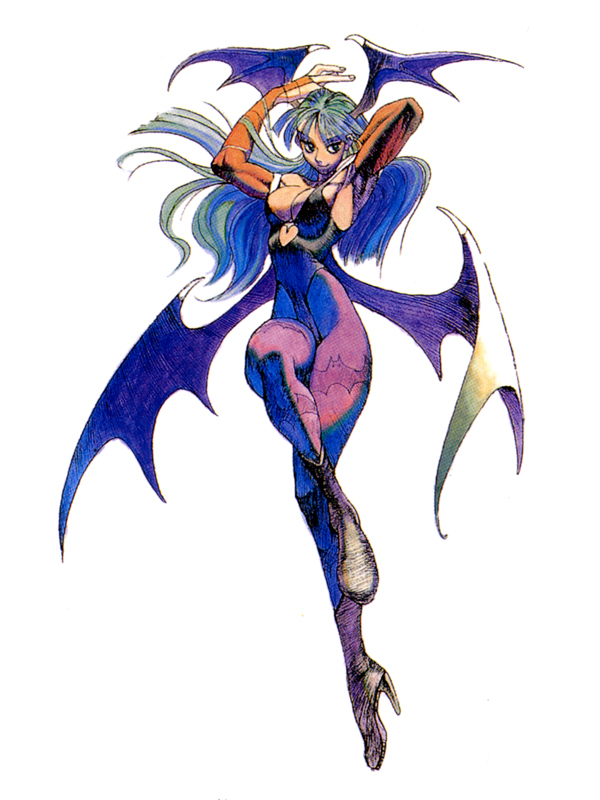 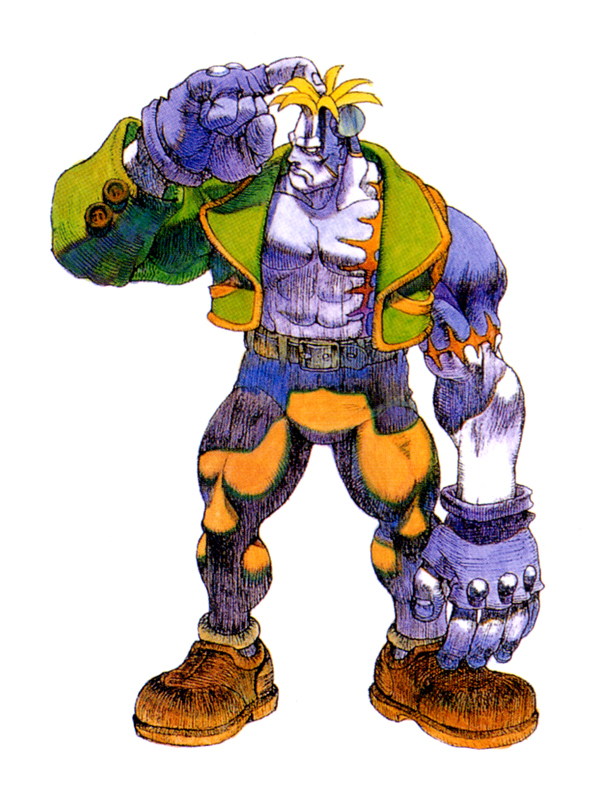 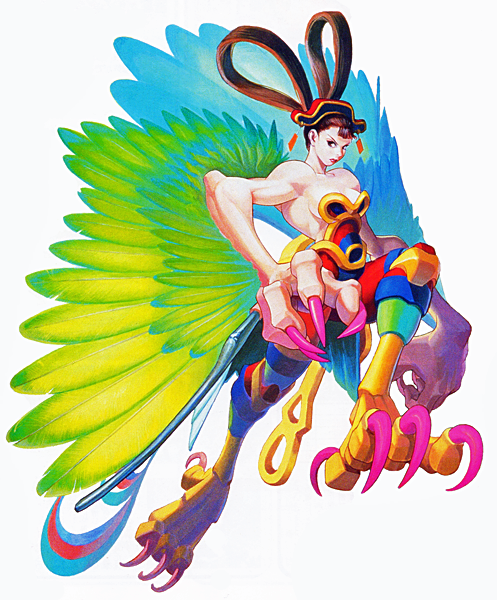 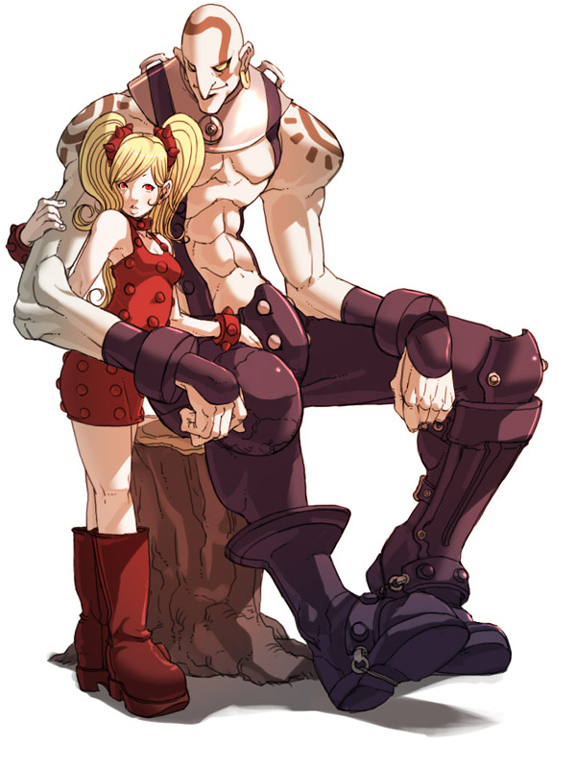 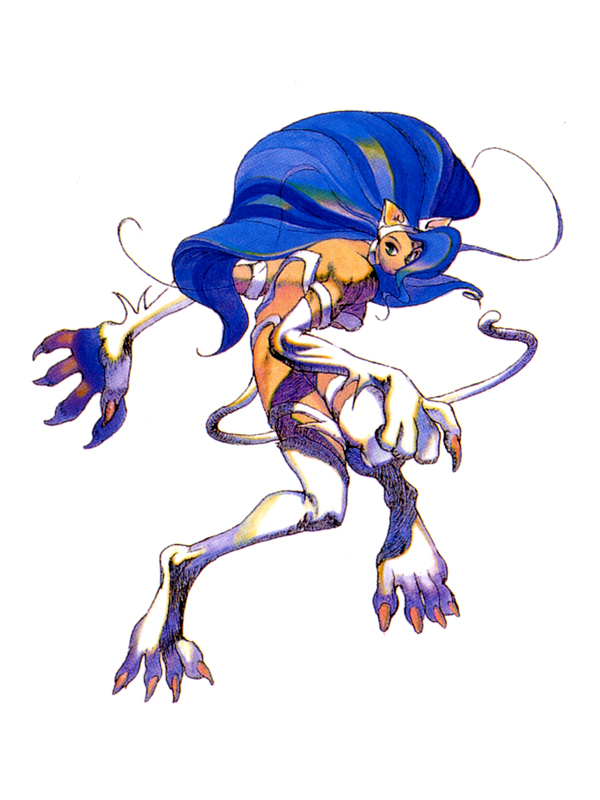 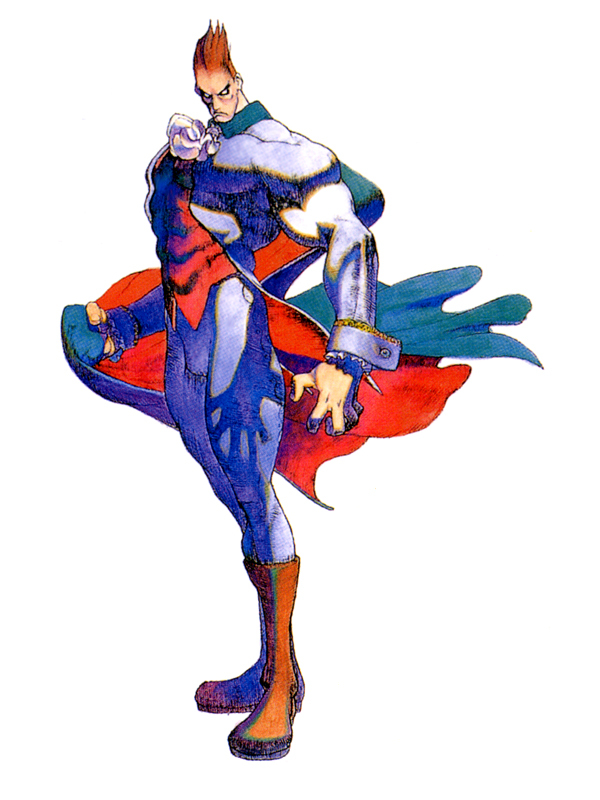 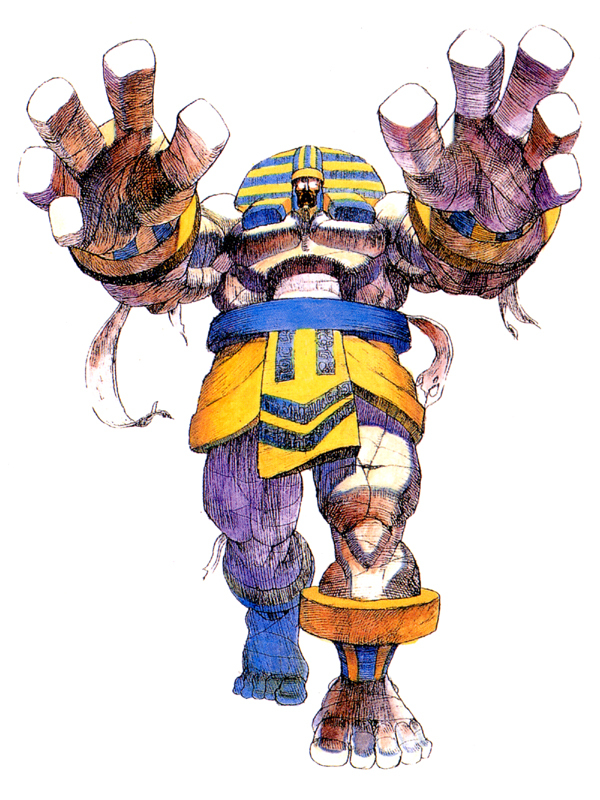 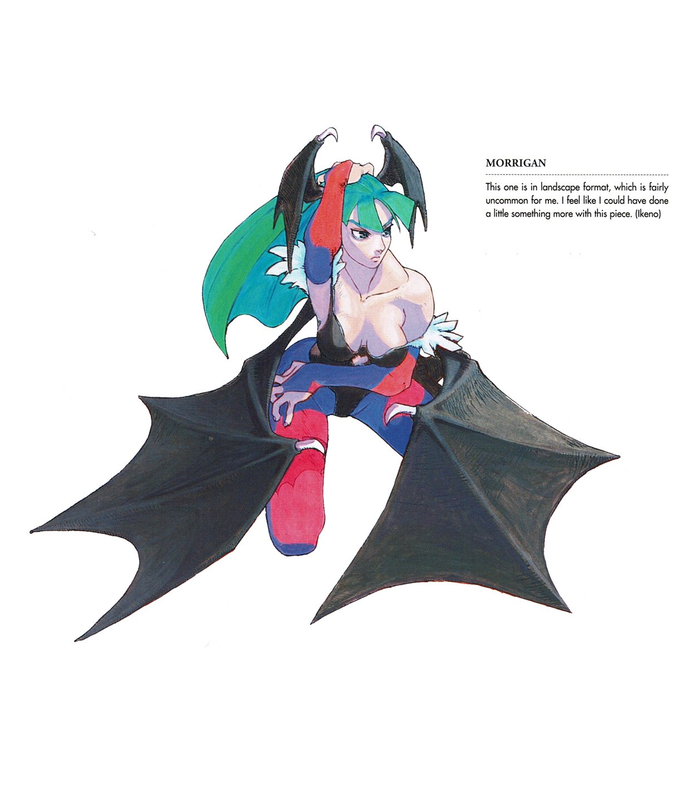 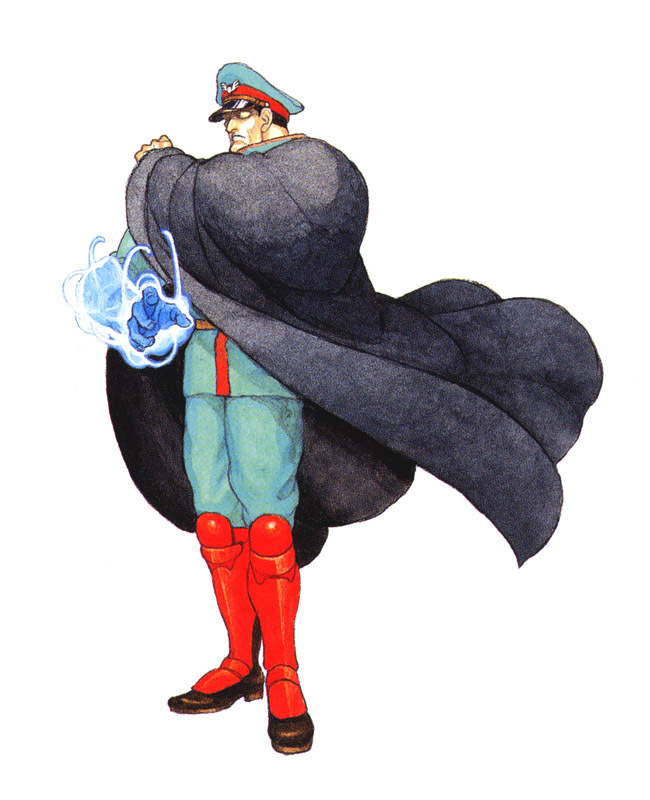 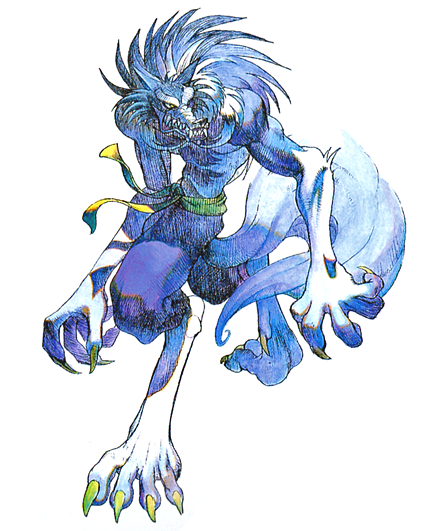 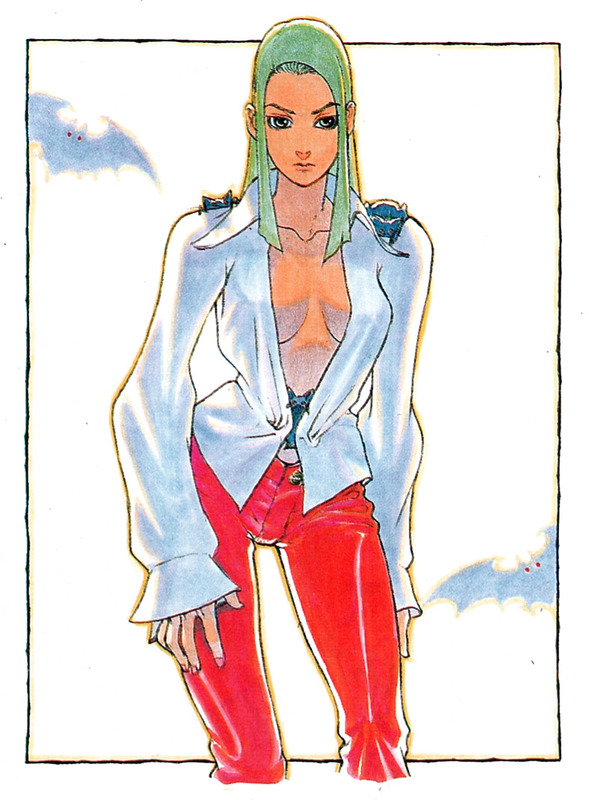 Edayan was hired by Capcom after entering a Darkstalkers drawing contest for Capcom (in the Gamest magazine). 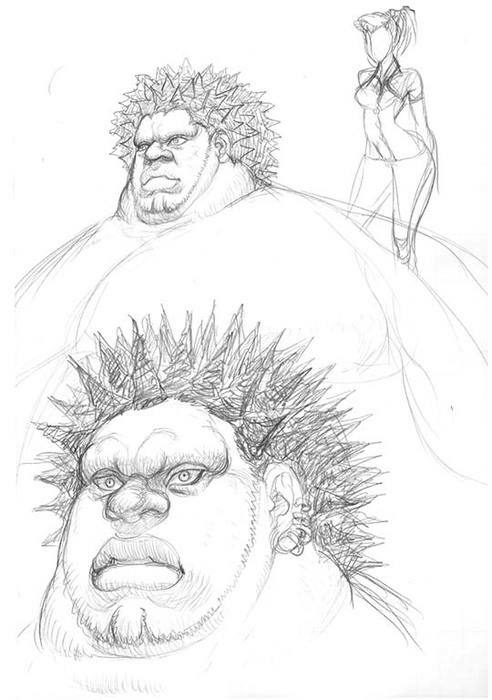 The way Edayan he draws faces and expressions really makes his characters come alive. 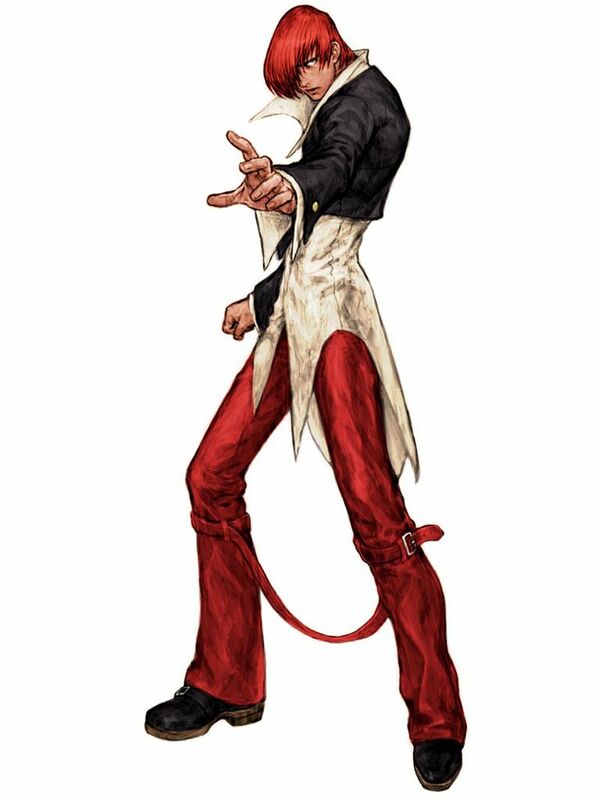 His characters always seem to be in a "dynamic" pose, even when simply standing upright. 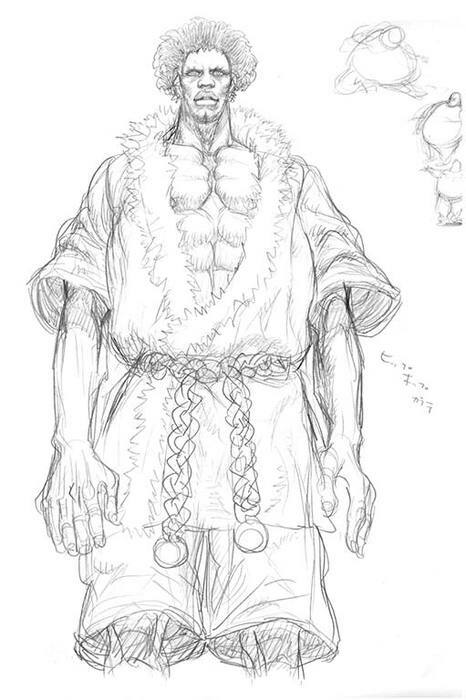 He's also a master at making clothing and other minute details stand out.